Cheeserland – Page 3 – Japan is my religion. Welcome to my cult. The kids are fine. They are happy. Tearing down the house as usual. Building spaceship stations and airports with sofa cushions and Champon in our bedroom. Stealing all the CNY snacks without asking me. Switching on Anpanman to watch by themselves (they know the remote control better than me now, Junya even taught me how to fastforward the programs). They also have not been sick (touch wood) since the change of new school for Junya. They are happy and fine. So, this month, this monthlyversary blog post, is about ME. 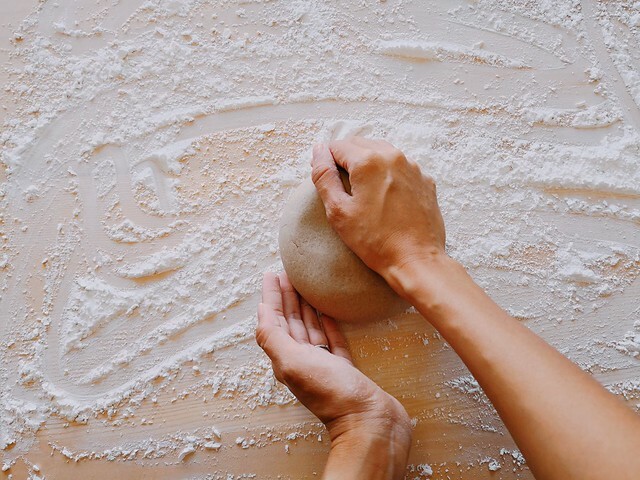 It is about me finding out who I want to be, finding small happiness in little things, and seeking healing powers. I went back to Japan. Or rather, Japan beckoned me back home. Twice in January for work. I’m back again now, for work. Again by the end of the month. I can’t get enough of it. Or Japan can’t get enough of me. Either one. Or better, both. We just can’t get enough of each other. I think I have found my true love. Japan saved me, over and over again. Japan saved my soul. In the darkest days, Japan called out to me who was hiding in a tunnel and whispered gently, it’s okay, you have me. You can always come back. You will feel better. I’m going to dedicate my entire body and soul to it. One day I’m going to die in this land, my body is going to return to the earth and fertilize its rich soil and help grow delicious daikon. I think that’s the meaning of my life. To turn into a delicious daikon, for Japan. I have said it before, in my blog post 7 years ago. 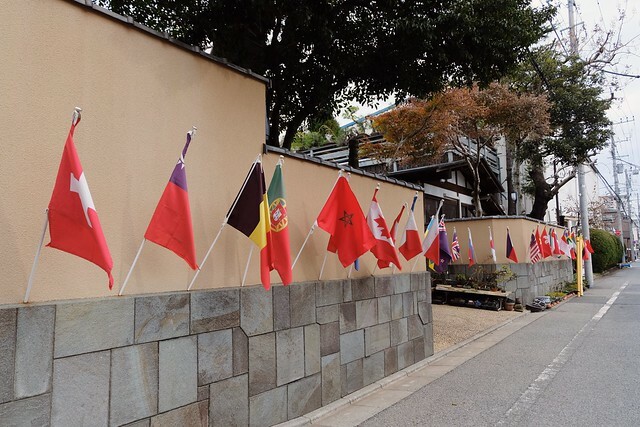 That I realized the one biggest reason why I love Japan is that… it makes me a person I like. I can be the person I like when I am in Japan. I am emotionally stronger, I have better patience, I have unlimited gratitude. 我慢も強くなり、感謝もできるようになります。I wonder why I cannot feel the exact same anywhere else. I am still learning and trying to be the person who can always stay positive, strong, and thankful no matter where I am. But Japan makes it easy for me. No, Japan makes it natural for me. These two trips, I feel like I am shining. Kira Kira. Like the sparkles on the back of trending iPhone cases. People noticed me, they showed a special fondness for me, they tell me I’m kawaii, amazing, kind. It was a startling revelation. That I am amazing and kind. Haha. And a little bit kawaii, just maybe. Am I really? I don’t care. I decided that I am. And I want to be that person. The more I work hard towards becoming that person, the more people notice me and tell me I am her. It’s crazy. Japan is my positivity drug. I’m seeing everything in Sakura-tinted contact lenses. I owe my next daikon life to Japan. 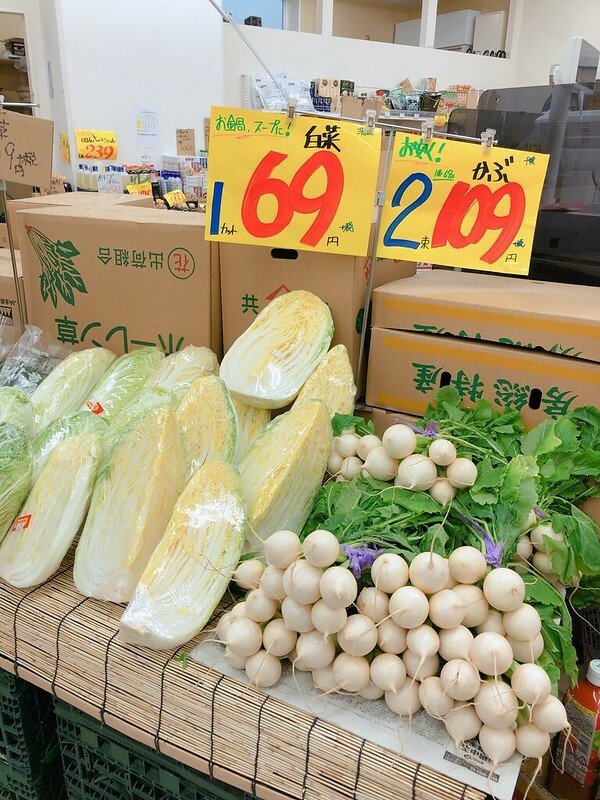 Speaking of daikon, I re-stock my Japanese vegetables to bring home at a very local grocery stores near the taiko dojo I went to, waaaay out of town. 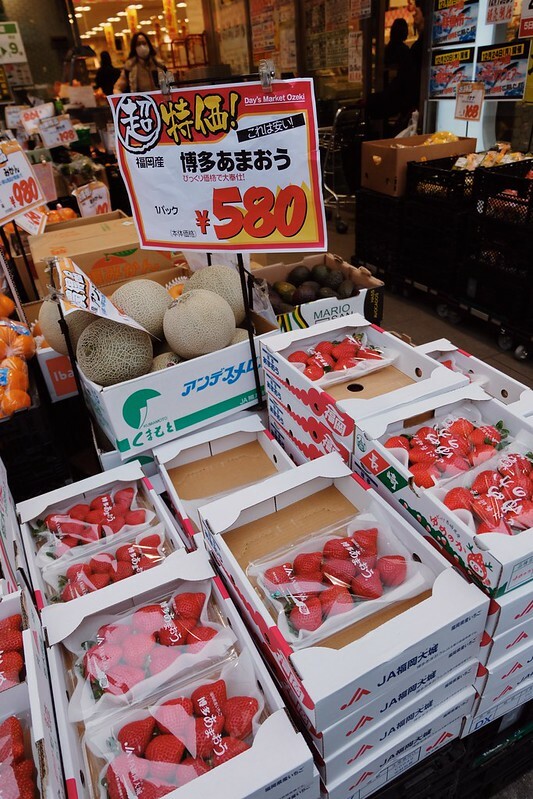 I thought instead of buying it from chain supermarket, it would be better to support the local ojiichan and obaachan running their own stores in the suburb Tokyo. 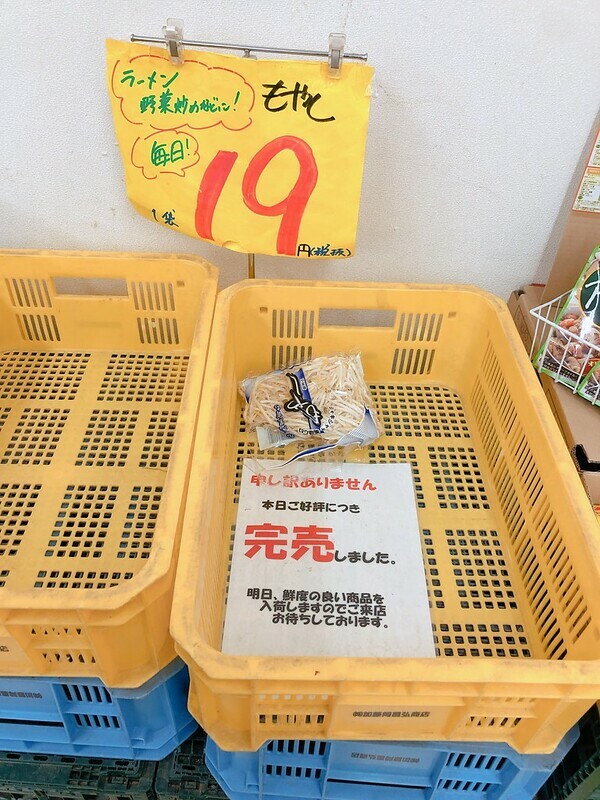 This is how cheap groceries are in Japan – a pack of beansprout for ¥19. That’s like SGD0.24. Beautiful hakusai and radish for a fraction of the price you see in Shibuya/Roppongi. 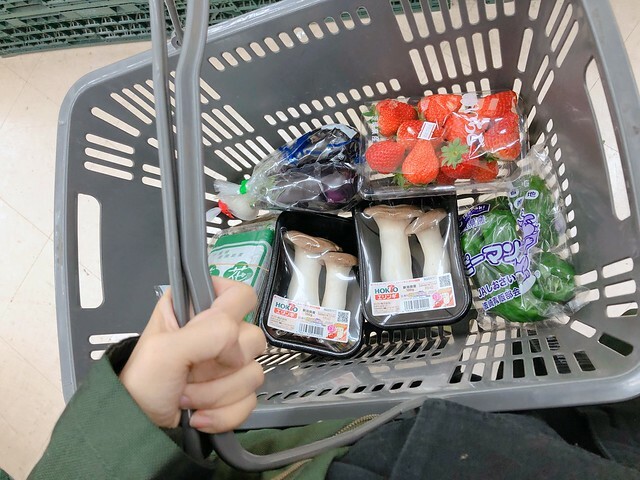 That pack of Ichigo I bought was merely ¥289, and Eringi mushroom for ¥68. How crazy cheap is Japan getting?? So I picked up wadaiko (Japanese drum) since December. After I tried hitting a taiko awkwardly for the first time in my life during my trip to Kojima, I wrote that my new resolution was to learn taiko. I really did. The ryokan staff would be so proud of me. 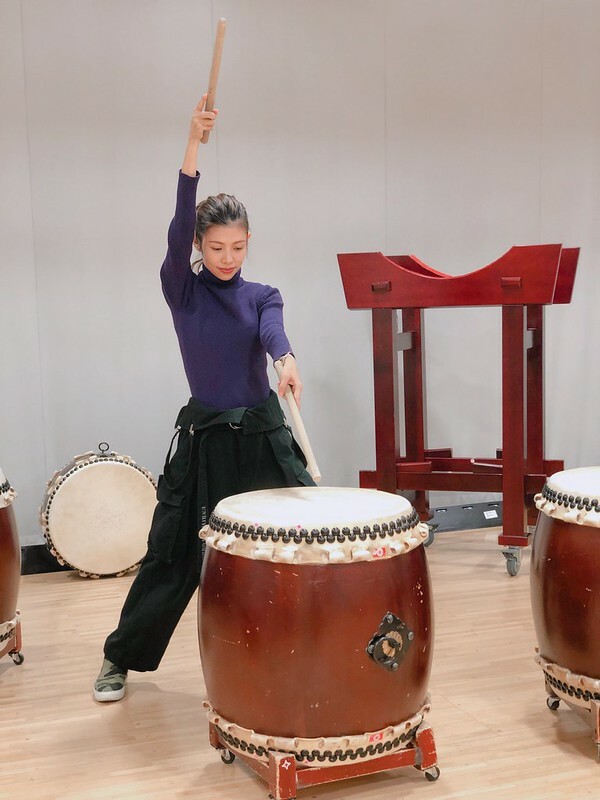 And I was extremely lucky because a dear friend in the traditional Japanese martial art scene happened to know a super taiko master whom she introduced to me without any hesitation. I owe part of my daikon life to her too. And then I am hooked ever since. Spiritually soothing, soul-healing… I once had a 3-hour practice and it felt like 30 minutes. My arms almost fell off but I received so much healing power from it. The resounding percussion of each strike on the drum, has a special effect in calming my mind. I can let go of the hurt in me, and embrace nature’s healing. Time really does fly when you are doing something you love. Time is forgotten. Taiko in ancient times is used in warfare to motivate troops and intimidate enemies, and it is also used in folk traditions to dispel bad spirits and demons. Maybe that’s why I always feel awaken, confident and powerful after each taiko session. With also fuller biceps lol. 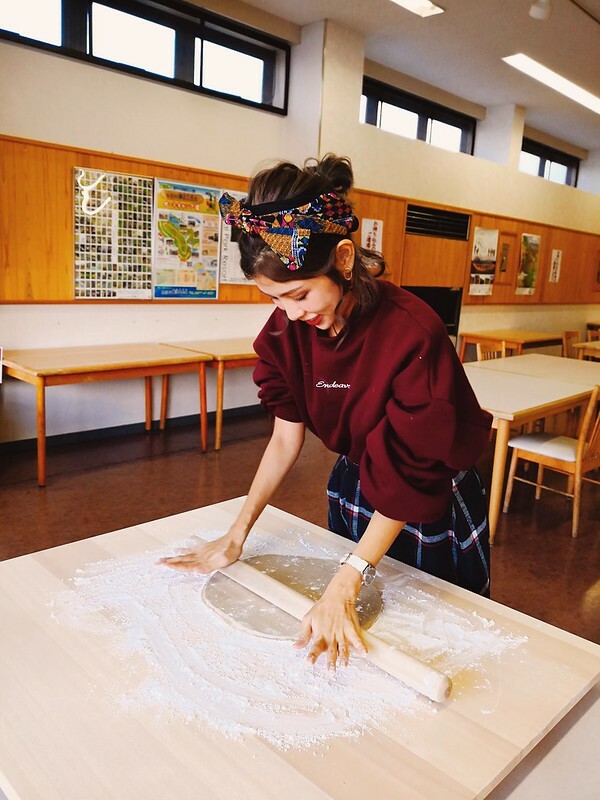 I never thought that I would ever pick up a new hobby other than… well, touring Japan – because I have no patience for nifty crafts, hate any sort of sports and am musically retarded (I used to play violin and could even read the score but 100% give back to teacher liao). But it must have been fate that I chanced upon taiko. Forever I’m grateful. People who made these beautiful drums. People who dedicate their whole life protecting traditional Japanese cultures and keeping them alive. Anyway, I am as addicted to Japan as I was yearssss ago (since the start of this blog), if not more. But it’s also a little dangerous. It made me want to be alone again. I have way too many dreams and missions to settle for the life of a full time mother. I want to do all these before I die (and turn into daikon). I want to keep shining so bright you guys are gonna need freaking solar eclipse glasses. These days I don’t leave Japan feeling heavy hearted anymore. Because I know it will summon me back. 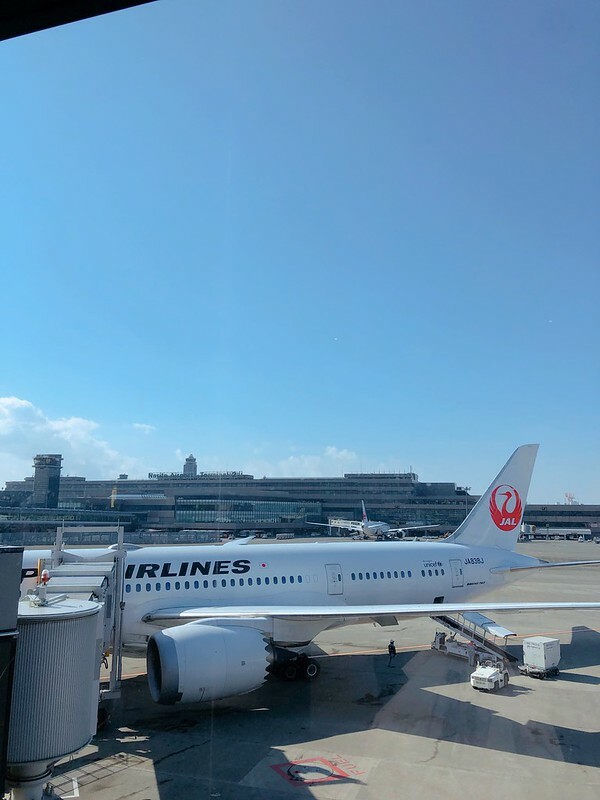 Before I flew back home from Narita this time, a very pretty ground staff told me that the flight is full, so they will have to send me to business class. Japan, really??? Are you sure it’s ok to love me so much? 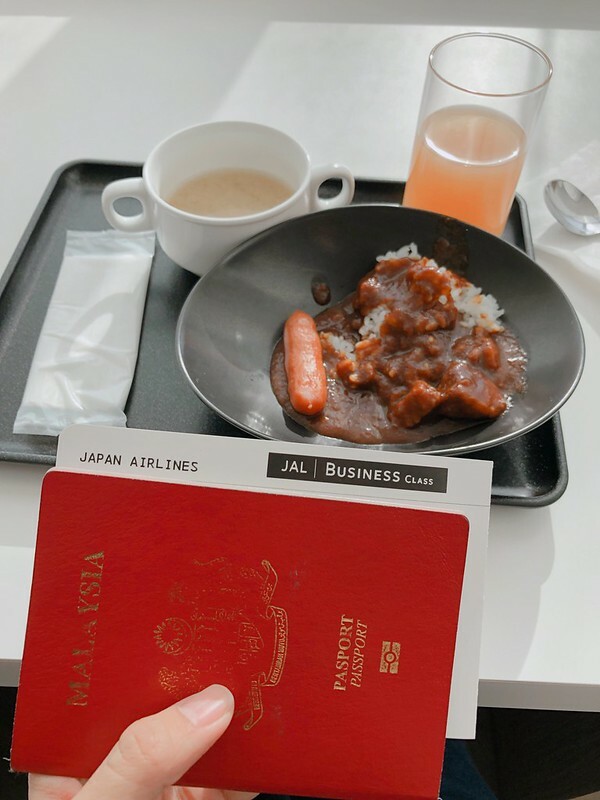 Thank you, JAL, you are totally, absolutely worth the extra money I didn’t save taking LCC. So this post is not about how much I love Japan, but how much Japan loves me. That it has to surprise me even the very last minute before I leave its precious land. If you give your pure, honest love to Japan, it can love you back thousand times as fiercely. End of sermon of the day. So now, sample itinerary time! 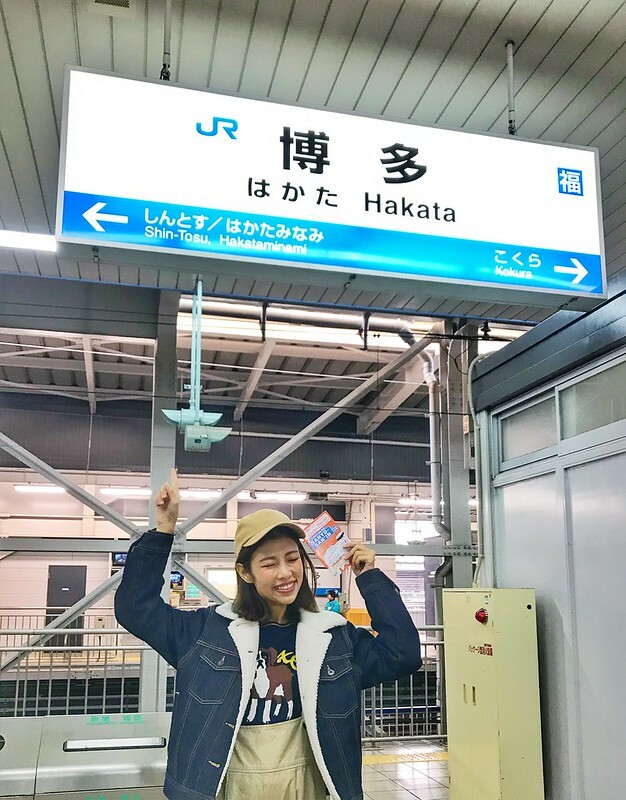 What I did to maximize the prefectures to cover (if you are as crazy as me to want to join my #47PrefectureMission) was to fly in to Fukuoka and exit from Osaka. You may exchange your JR West Pass at the JR Ticket Center in Hakata Station. Don’t forget to bring along your exchange order (which you can purchase prior to your trip to Japan!) and passport for identification! The start of my #CheesieConquersWestJapan journey, yay! Did you know? 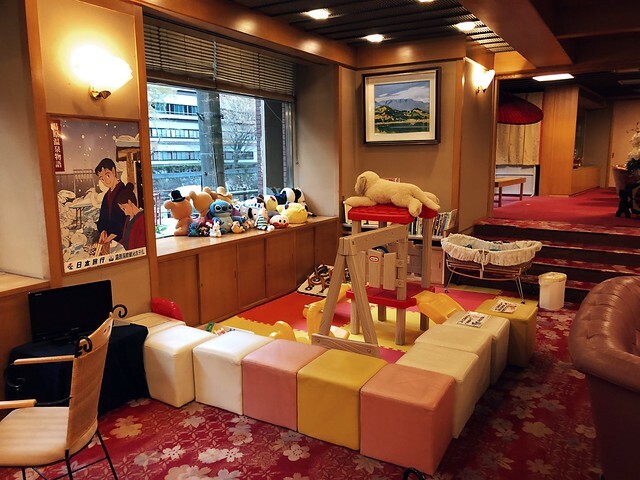 There’s not only a Hello Kitty Shinkansen, but also a Hello Kitty Shinkansen cafe! 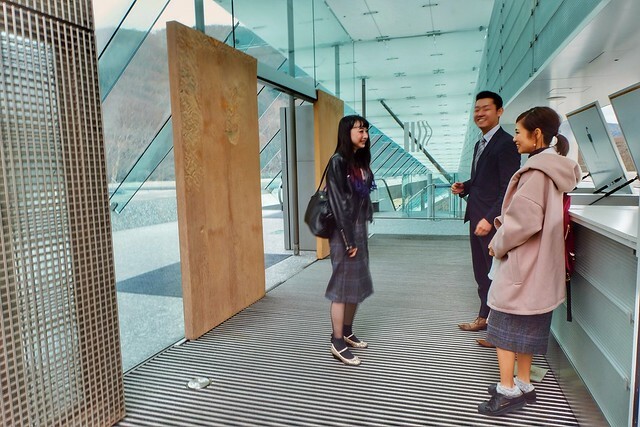 It’s located inside the shinkansen station, so you will have to use your pass to enter the station first. What an adorable, super kawaii meal to start your day with! From Hakata Station, I took shinkansen Kodama 854 bound for Shin-Shimonoseki, it takes about 25 minutes. Yamaguchi is my 43rd prefecture! I kept my luggage in the locker at Shin-Shimonoseki, and waited for the themed train – Maru Maru No Hanashi (◯◯のはなし). Like I mentioned in my previous post, the train was supposed to come at 9:59am. It came at 9:59am. The view is really stunning when it’s crossing the sea from Kyushu over to the main island of Japan. Get your camera ready! Love how spacious and exclusive the interior is too. After about an hour’s ride on Maru Maru no Hanashi, I have arrived at Kawatana Onsen to hunt for their famous Kawara Soba for lunch! It was totally worth the ride just to visit the Kawara Soba restaurant “Takase”, absolutely delicious. Do check them out! If you have some spare time (I did! 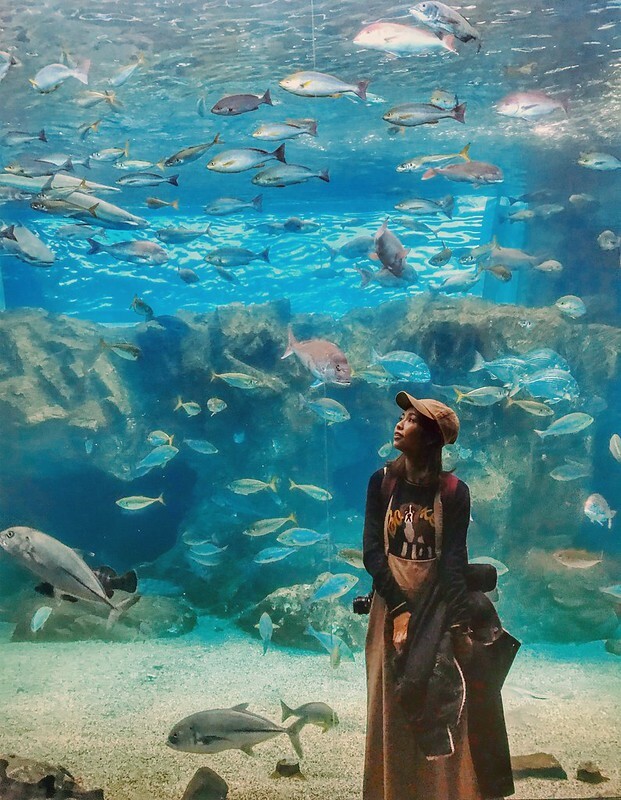 ), visit the aquarium just a short walk from the fish market. If you travel with kids they are gonna love it!!! Sooooo many adorable penguins! After that, I returned to Shin-Shimonoseki, retrieved my luggage from the coin locker and took Kodama 756 bound for Hiroshima. Day 1 accommodation: Hotel Granvia Hiroshima. 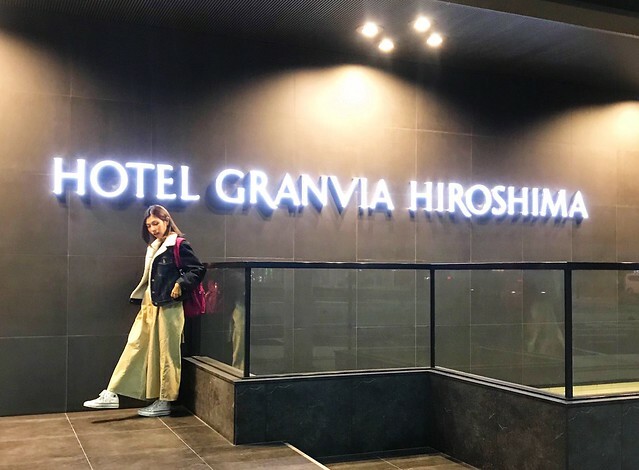 Hotel Granvia is a chain-hotel run by JR West group, and you can be assured that it will be at the best, most convenient location as they are mostly connected with the main station! 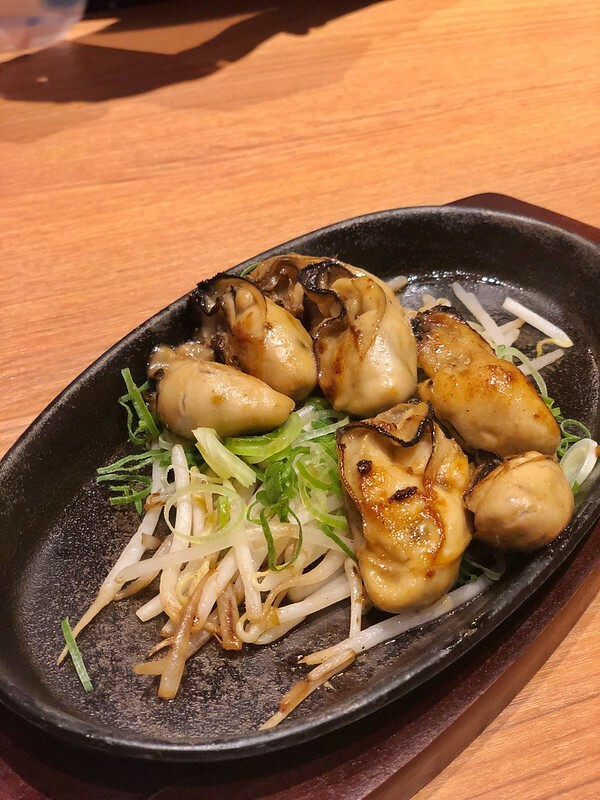 There are lots of shopping in the area, check in to your hotel and spend your evening eating Okonomiyaki and grilled oysters (there are a few famous restaurant located within the train station itself!). 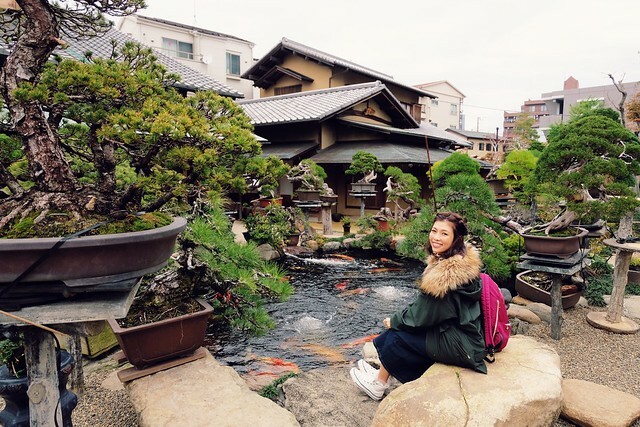 Hiroshima has too many great places to visit! 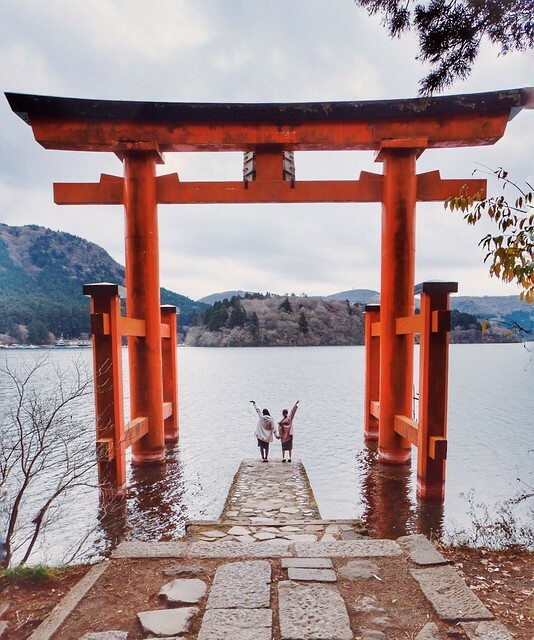 On day 2, you can choose to either do a city tour, or visit Miyajima Island, or even both if you like! Shishi Iwa Observatory in Miyajima Island. This was a trip back in 2017! You can view this link for all my blog posts on Hiroshima. Day 2 accommodation: Hotel Granvia Hiroshima. Return to Hotel Granvia and spend another night. Please pop by their main bar – May Flower just for… ikemen. Haha. 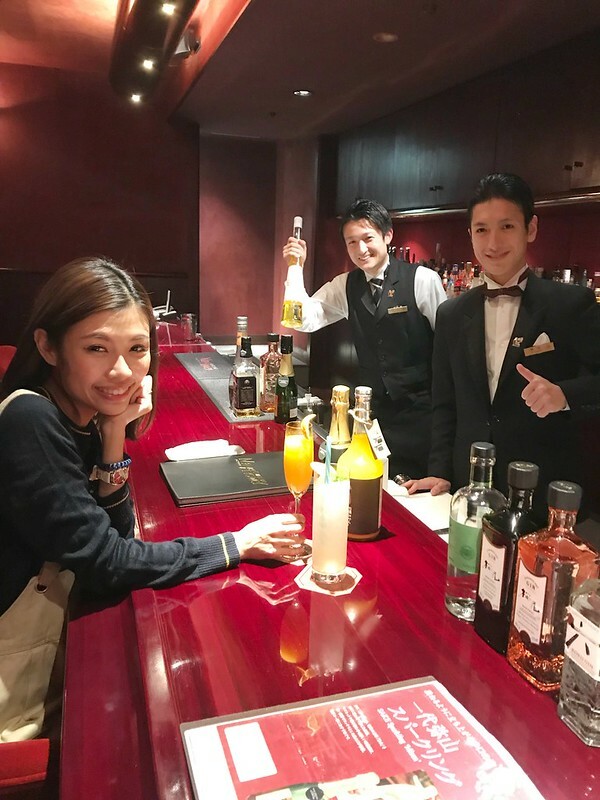 I think I was slightly tipsy, I mean, how often do you get served delicious cocktails by not one, but TWO ikemen bartender? When I posted videos of these gentlemen on IG Story, I got loooooooots of DM, some even asked if they have Instagram account so they can stalk them lolol. One also said they look like beautiful vampires HAHA. The next morning I had a great breakfast spread too. I don’t know why but even if you don’t like greens, do try the salad in Japan. Japan has extra delicious salad haha. It’s worth spending at least 2 days in Hiroshima. 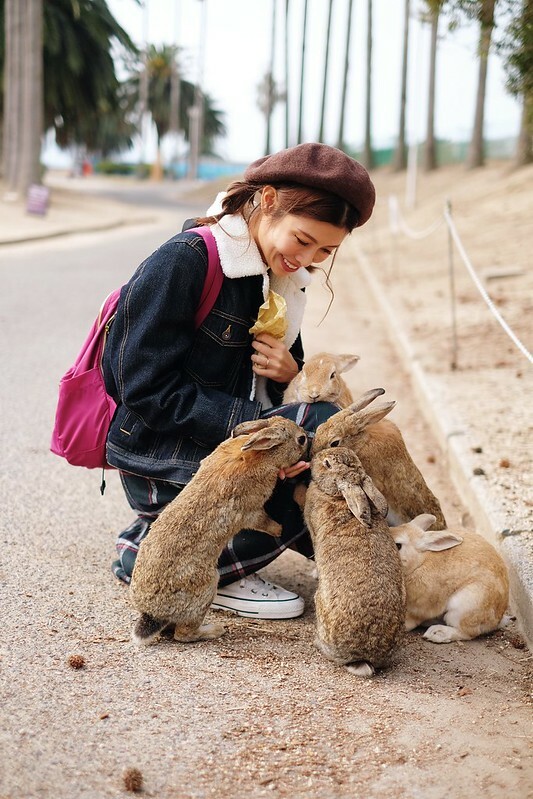 This time around I visited the super adorable Rabbit Island – Okunoshima! Before that, we gotta take the Hello Kitty Shinkansen! It is an elusive Kodama 730 and it runs only once a day – From Hakata to Shin-Osaka and then back from Shin-Osaka to Hakata. So be sure to take note of its schedule so that you can plan your itinerary accordingly! For more details, you can read my blog post on Hello Kitty Shinkansen here. 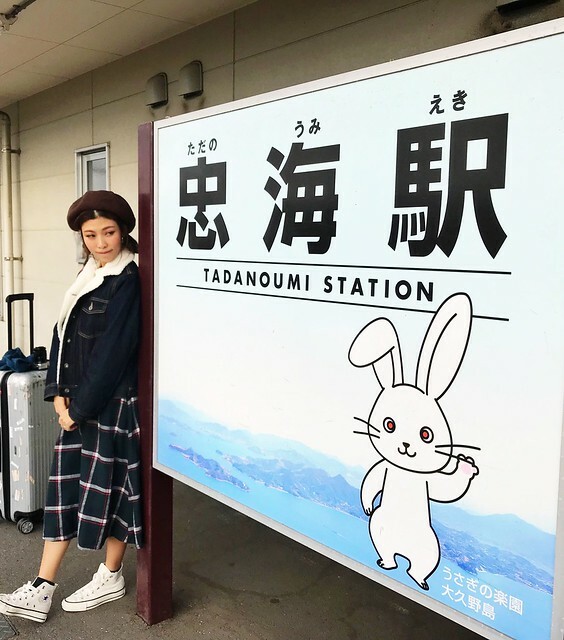 A transit at Mihara Station, I have arrived at Tadanoumi Station, and from here you will take a short walk to the “Gateway to Rabbit Island”, a small shop where you can purchase the ferry ticket and some bunny snacks. 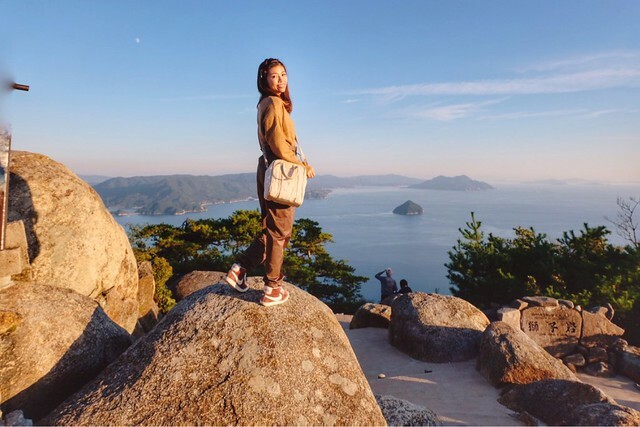 Take the ferry to Okunoshima – the Rabbit Island! And have lots of fun with your furry pals. 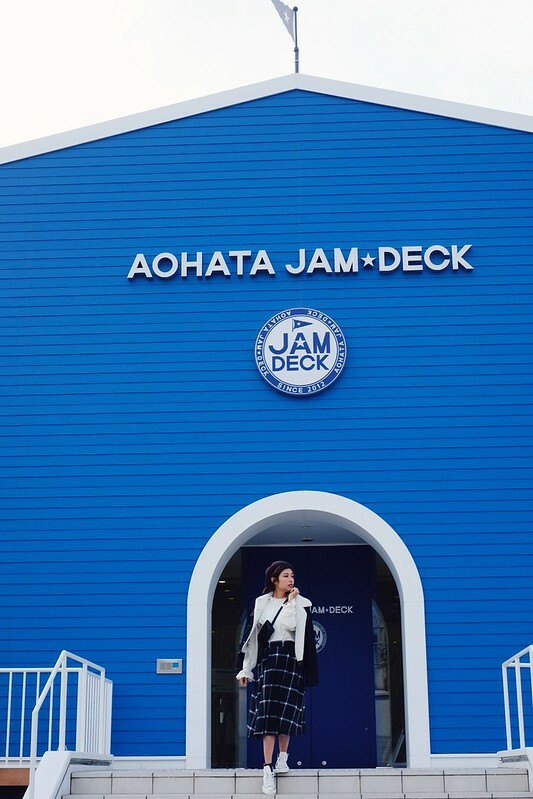 If you are already in the area, I’d recommend you to also visit Aohata Jam Deck, one of Japan’s top jam maker. Take the ferry back, and this factory is near the “Gateway to Rabbit Island” store. The factory itself is super chic, pop by for some Instagenic photos and buy some of the best jams for souvenirs! Return back to Mihara Station, and take Kodama 748 bound for Okayama. The stay of the night! 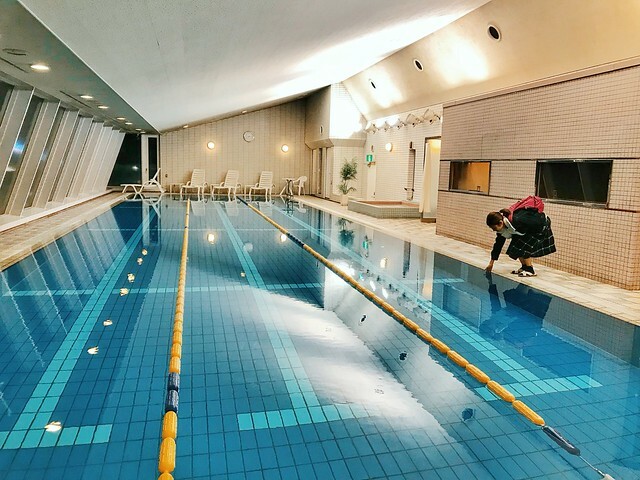 It is the best hotel in Okayama – directly connected to the train station, lots of shopping around the area, and top-notch facilities! 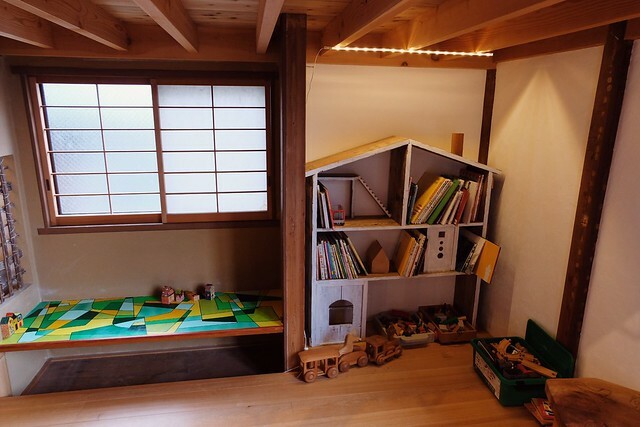 First of all, they have options for really spacious rooms so if you are tired of Japan’s confined spaces, you can be sure that you will have a relaxing time unwinding your night here. Are you loving the itinerary so far? 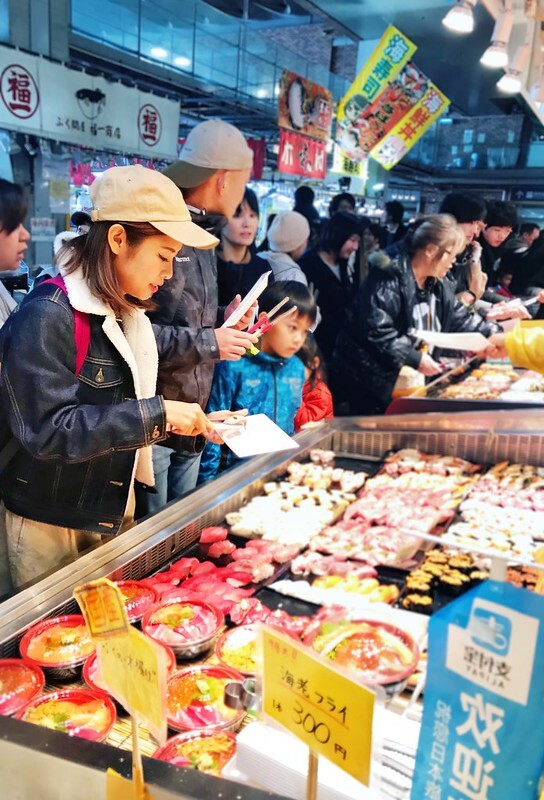 Not only it brings you to visit Instagenic, off-the-beaten path attractions, you also get to have your dose of city convenience by the end of the day in case you miss shopping! I have written FIVE posts on Okayama yet I’m not even done with it yet. 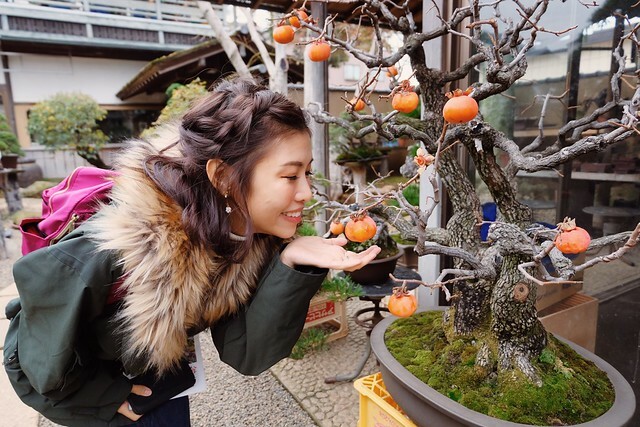 You can pick an itinerary from one of these blog posts on Okayama – Kurashiki, Kojima, Yubara Onsen, Okayama City (which I have yet to blog about haha). 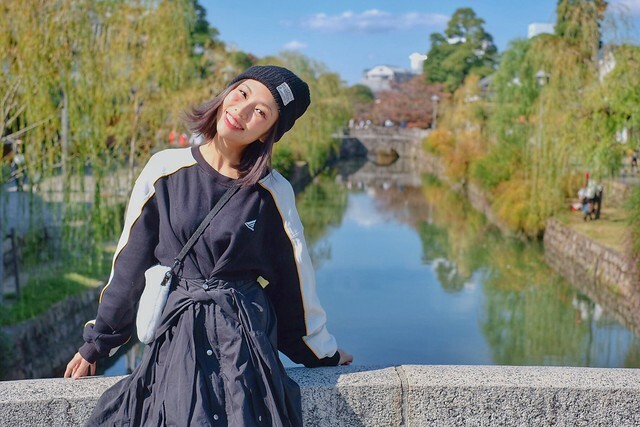 If I must pick one, I’d recommend you to visit Kurashiki city in Okayama as I really enjoyed the scenic walk and there are lots of cultural experiences to explore in the area! Return to the very gorgeous Hotel Granvia Okayama from your day trip. Please do enjoy dinner here at one of their restaurants! 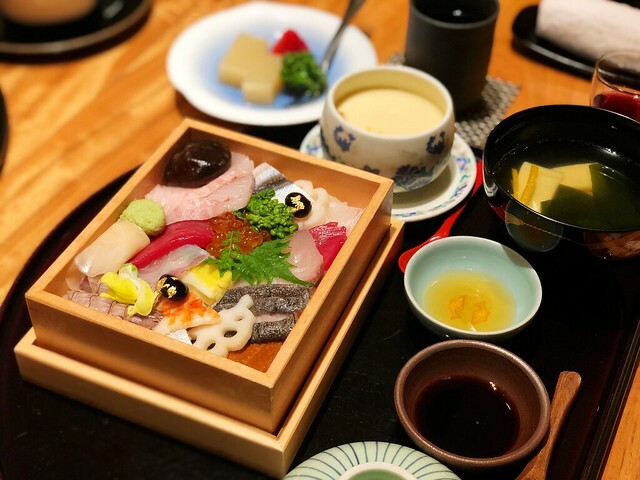 This is the super unique “Hidden Sushi” box, the original creation from Hotel Granvia Okayama! I mentioned earlier in my blog posts on Kojima that I was sooooo close to conquering Kagawa Prefecture when I was on the cruise touring around Seto Ohashi Bridge. 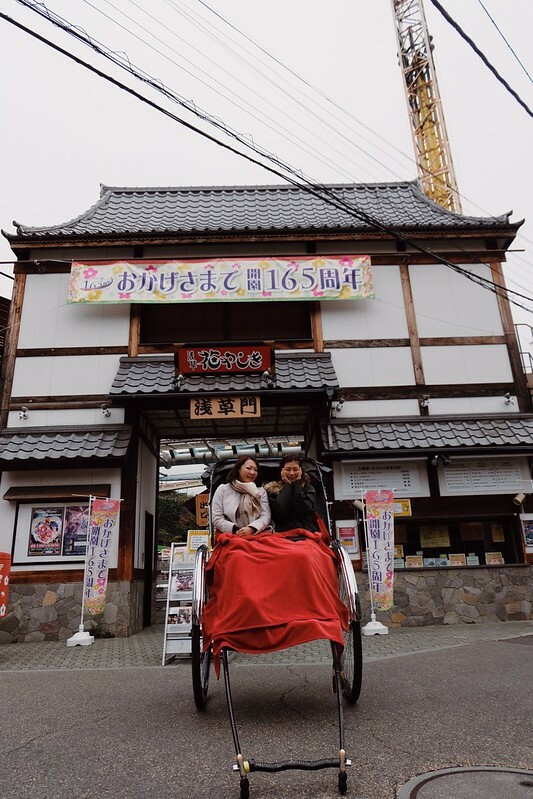 My 44th prefecture conquered – Kagawa!! Takamatsu is Kagawa’s capital city. 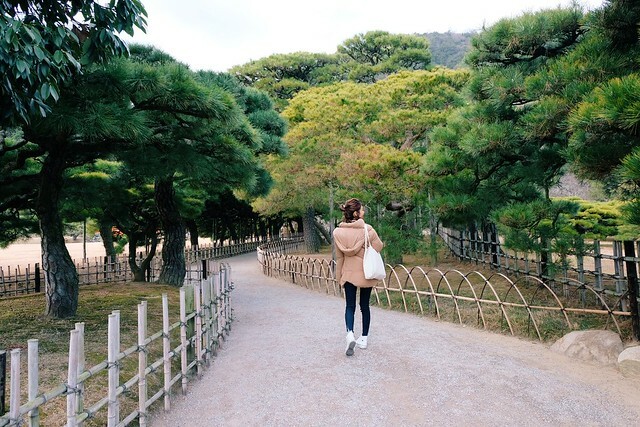 Just like Korakuen of Okayama, Ritsurin Garden is Takamatsu’s main attraction. It’s not very well-known outside of Kagawa prefecture, but it was one of the most beautiful Japanese garden I’ve been!! I have been to Korakuen of Okayama and Kenrokuen of Ishikawa, and I think Ritsurin Garden is just as spectacular! Please do take the 20-min boat ride cruise so that you can get to enjoy some of the hidden views of the garden, I recommend it! If you follow my IG, you will see me dancing to PPAP while making my own udon for lunch lol. I can’t wait to blog about all these! 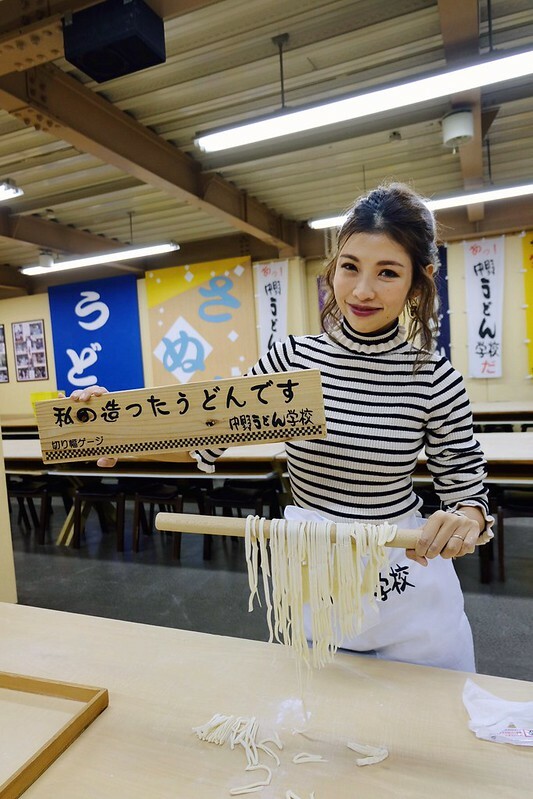 The udon-making experience was 1500 yen INCLUSIVE of lunch (the one you make lol). Is that not too cheap???? I kept telling the shop manager it is too cheap and they should raise the price so quickly go there before they do lol. 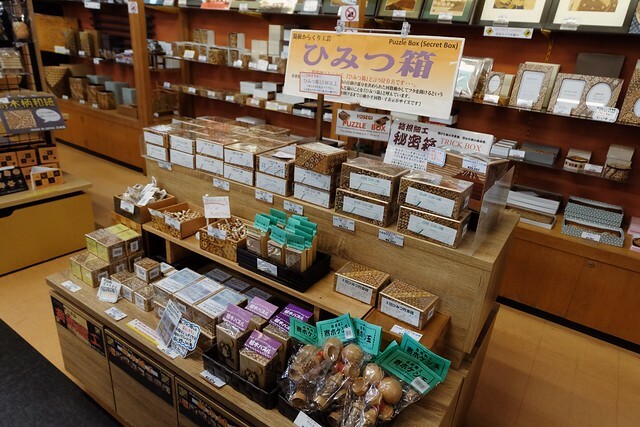 To make your time in Kagawa extra sweet, let’s go to Mamehana for some fine sugar! 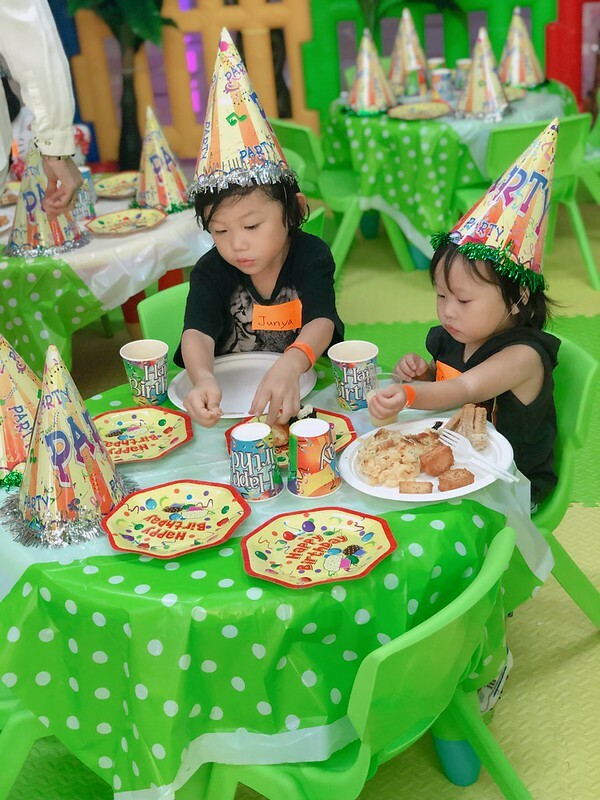 This Japanese sweet makign experience is super fun and easy, I think it’s very suitable for even young kids too! Omg all these Japanese cultural experience is really way too cheap. 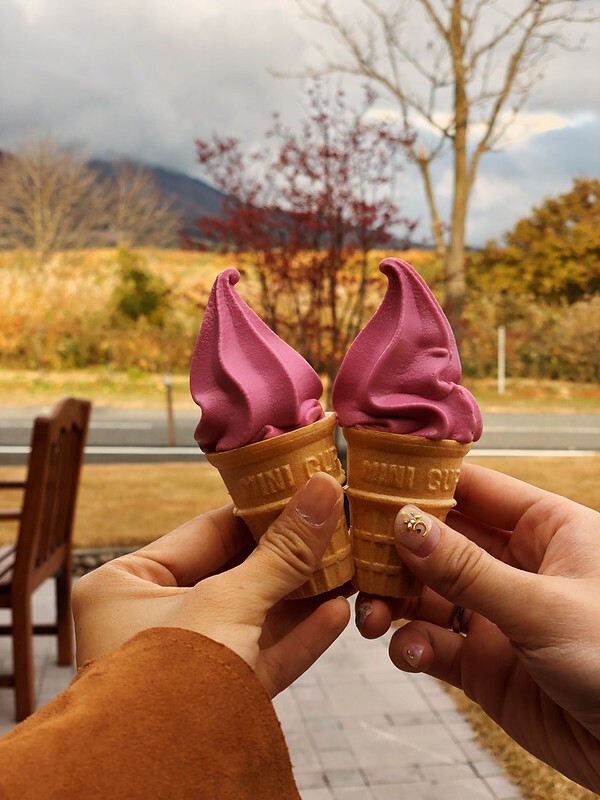 You pay just 1000 yen and you get to enjoy them on the spot served along with hot tea, and also bring back ALL the sweets that you make! Super recommended! 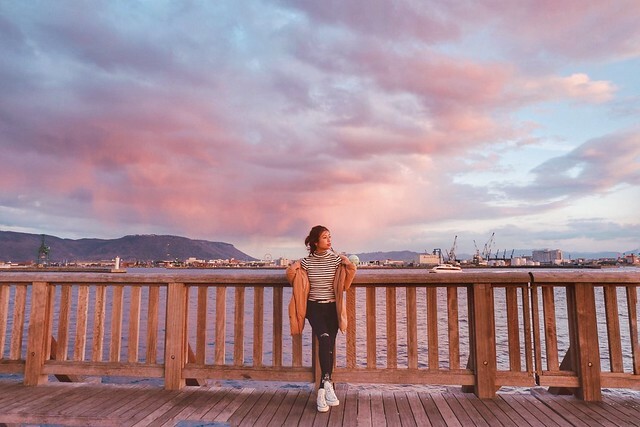 Before you leave Kagawa, enjoy a stunning sunset at Takamatsu Port. 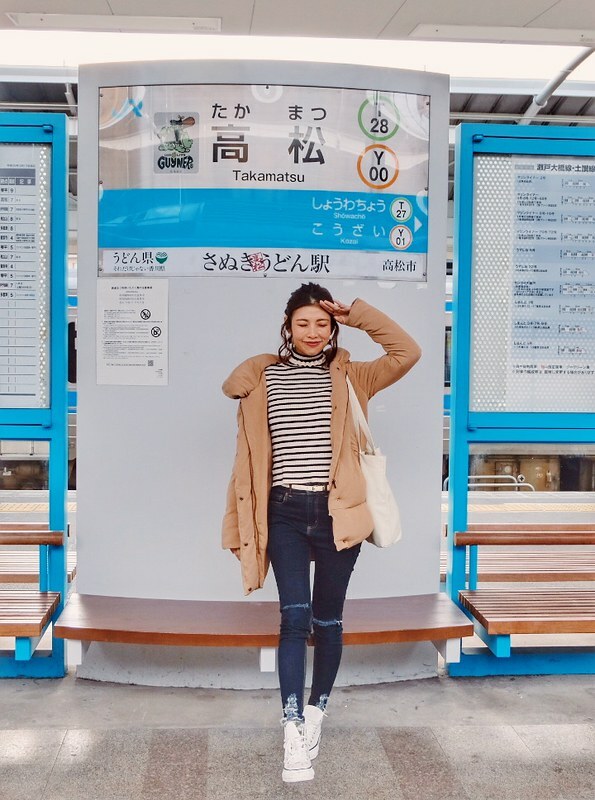 You can catch a ferry to Naoshima from here! I really wished I had the time T__T (That’s why I always say, one lifetime is not enough for Japan!!!). 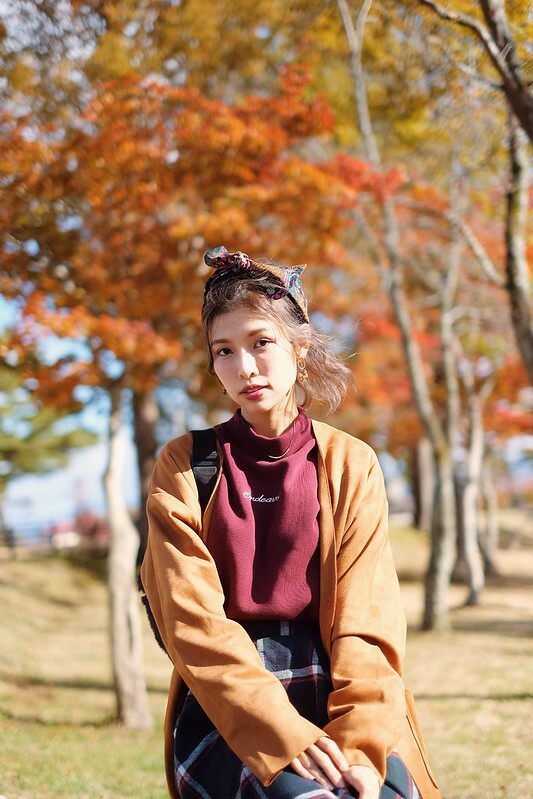 Naoshima is where the famous pumpkin sculpture of Yayoi Kusama is located, it’s also an island of art, people who can appreciate contemporary art and architecture in resonance with the pristine nature of Seto Inland Sea. You can visit Naoshima with JR West’s Setouchi Area Pass to access Naoshima from Takamatsu Port! 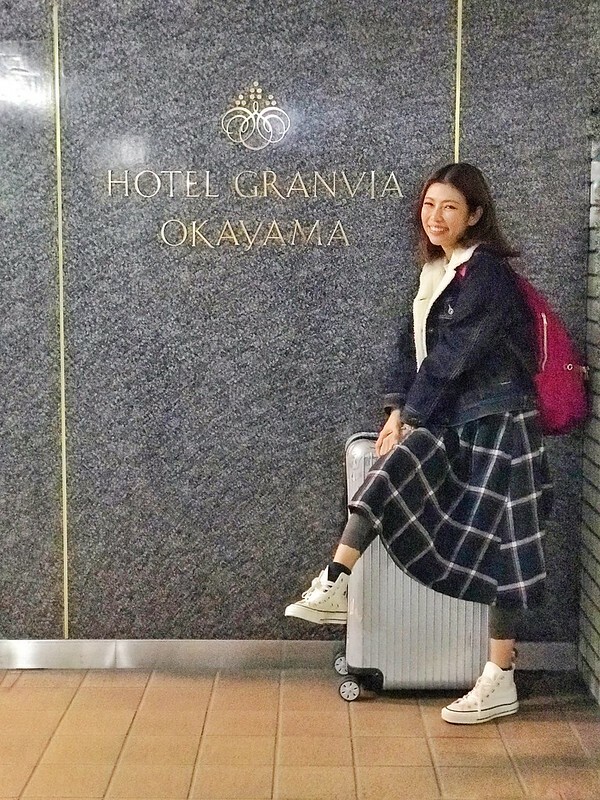 Since Kagawa is just an hour’s train ride away on Marine Liner, you can return to Hotel Granvia Okayama right away after a tiring day when you alight from the train with minimum walking. I loooove the ultimate comfort and convenience of this hotel so much! See what I did there? Lol. 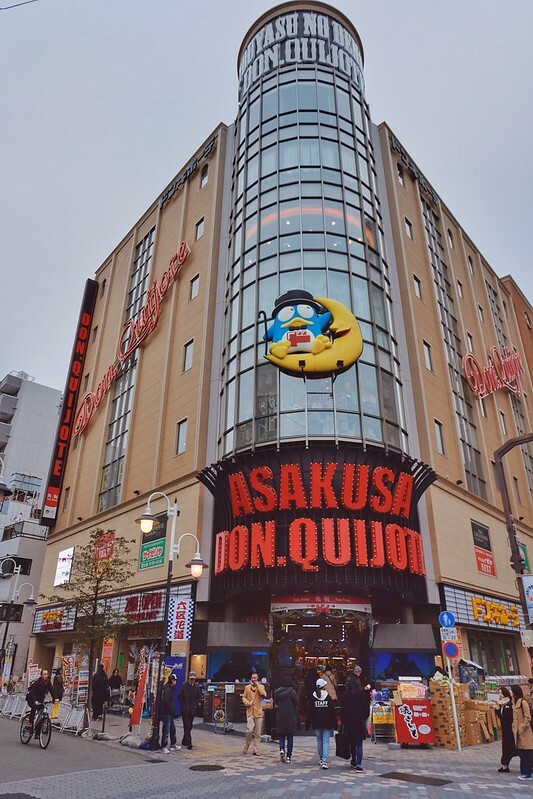 To show you how close Don Quijote (Donki) is from the hotel! Get allll your shopping done here! Please make sure you start early on this day as it’s a long journey today! 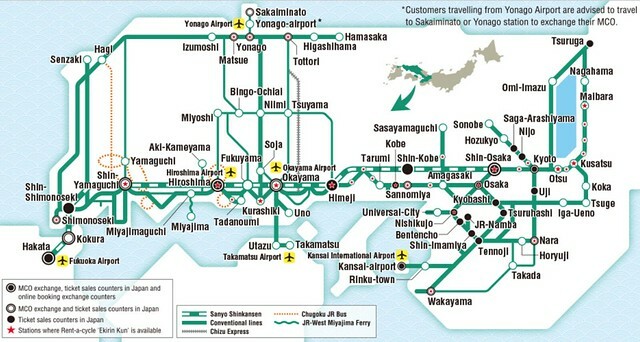 To access Biwako Valley from Okayama, you will get down at Shiga Station. 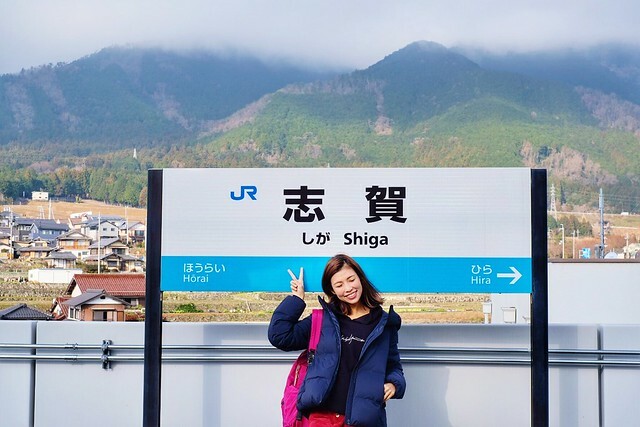 Do take note, the prefecture is called Shiga (滋賀), and Shiga (志賀) is a small town in Shiga prefecture. The Japanese kanji is different but romaji is the same. Don’t get mixed up! 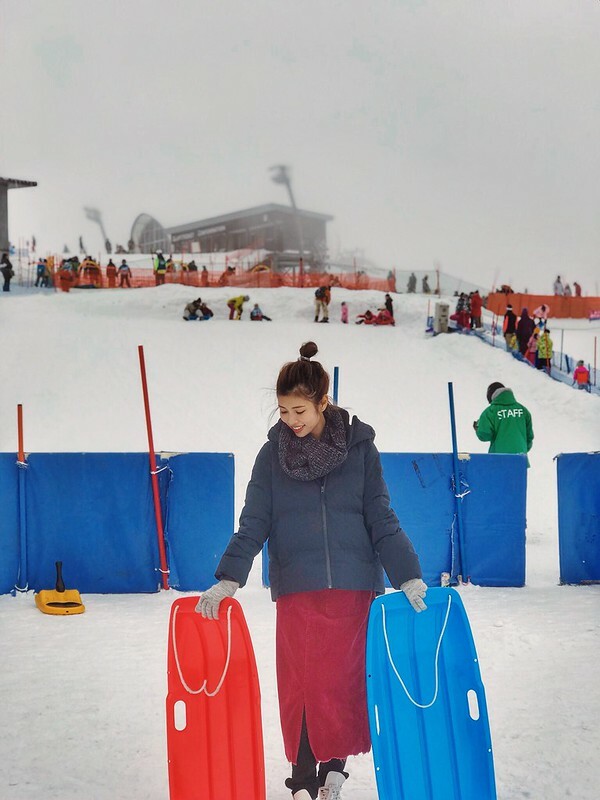 Biwako Valley is your best bet for some winter snow fun in Kansai area. You can ski and snowboard here too! If you finish your snow activity early, depart Biwako and head to Osaka to settle down for the day. 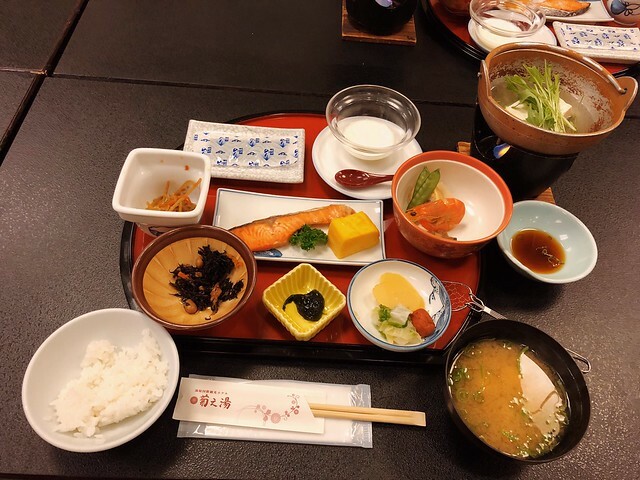 Hotel Vischio Osaka is a few minute’s walk from Osaka Station, rest assured that you can find lots of good food and shopping on this day too! 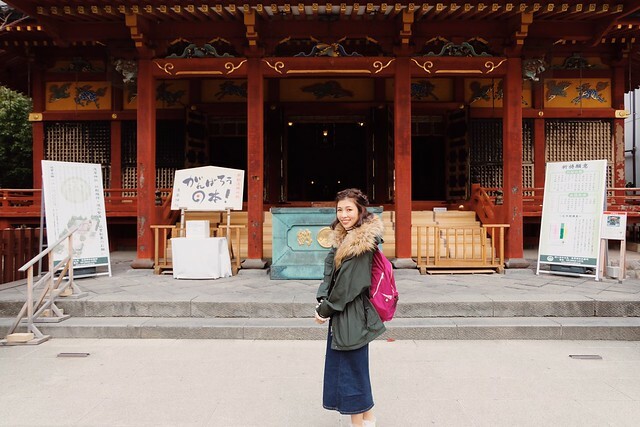 No Kansai trip will be complete without Kyoto, so do visit this historical city of Japan! 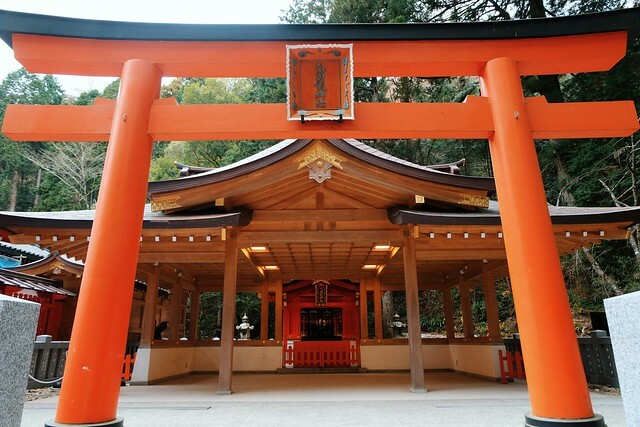 I’m sure you already know all the famous attractions such as Gion, Fushimi Inari Shrine, etc. If you do have some time to spare, I strongly recommend a visit to Kyoto Railway Museum especially if you are traveling with kids! Junya loves his trains and shinkansen so I thought of coming here to buy some souvenirs for him. I planned to spend only about an hour here but I ended up spending waaaaaay longer! Look I’m not a railway mania, I don’t even remember all the Shinkansen’s names, but I had so much fun time here!! 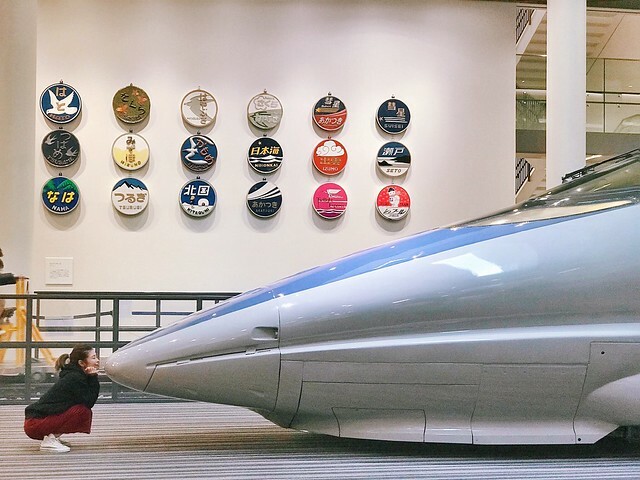 How often do you get to kiss a real shinkansen? 😀 Hopefully I can do a separate blog post on this soon! By the way! 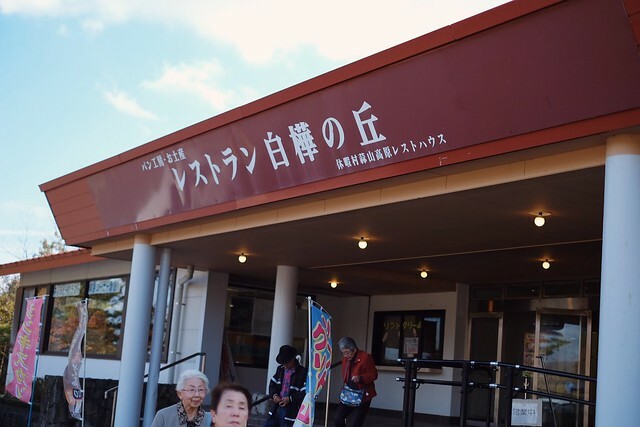 You have to take a 15-20 min walk to the museum from Kyoto Station, but starting march this year, there will be a new JR Station opening right outside the museum so that you can directly access it!! 😀 The station is called Umekoji Kyoto Nishi Station. (梅小路京都西駅). 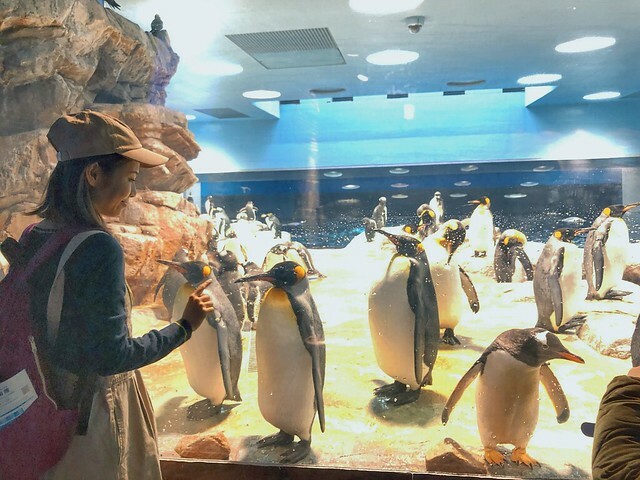 There’s also an Aquarium near by Kyoto Railway Museum, do check it out if you have time. After that, enjoy a pleasant walk back to Kyoto Station. 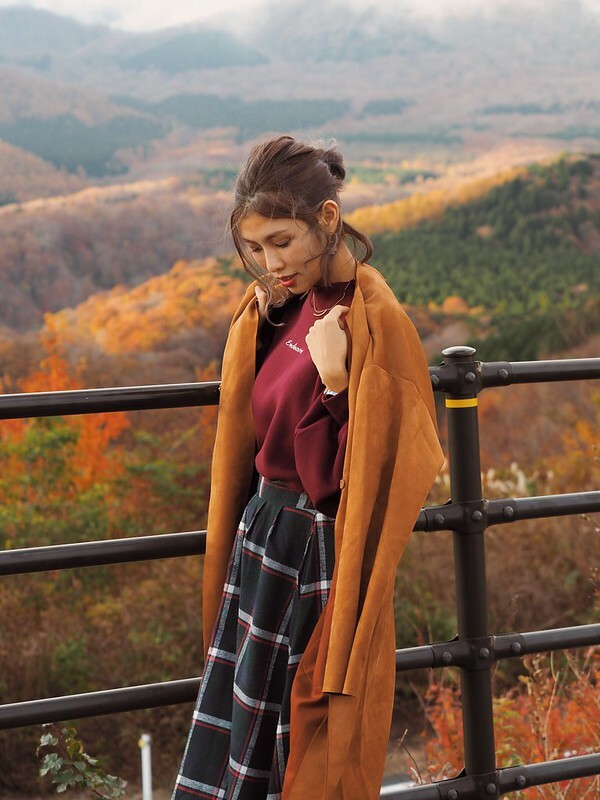 Did you know that Isetan Kyoto is a special collaboration with JR West? 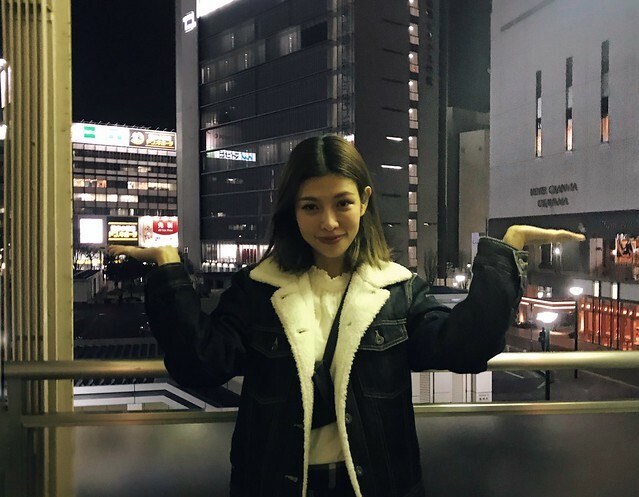 Get some unique shopping done here right at Kyoto Station! If your flight is at night, you may depart from Kyoto and head straight to Kansai International Airport. Did you know? 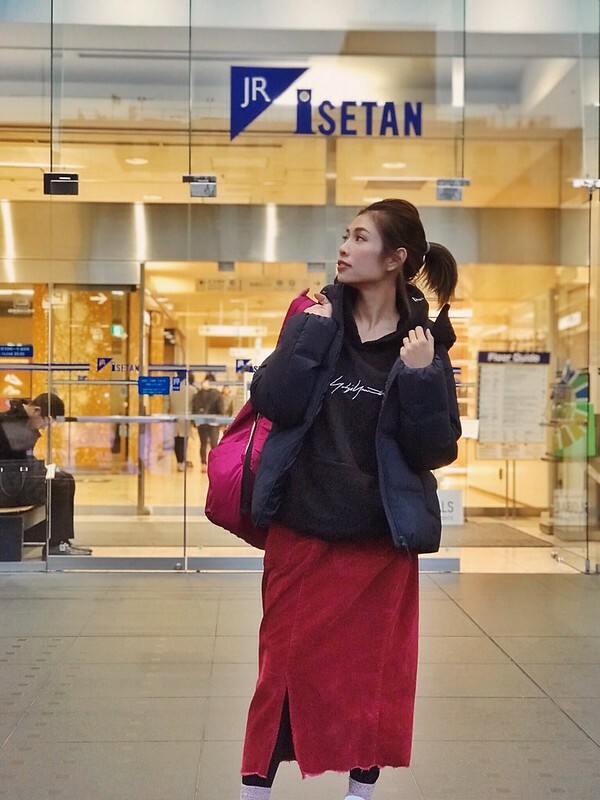 Right outside Kyoto Station, Central Gate, there’s Crosta Kyoto, a baggage service center that allows you to temporarily store your luggage, send them to airport or your hotel! You can check out their services to make your travel more convenient and comfortable :). So if your flight is night time, do consider storing your luggage here so that you can retrieve it at the end of your trip and head straight to the airport. If your flight is in the morning, I suggest you to stay another night at the same hotel! 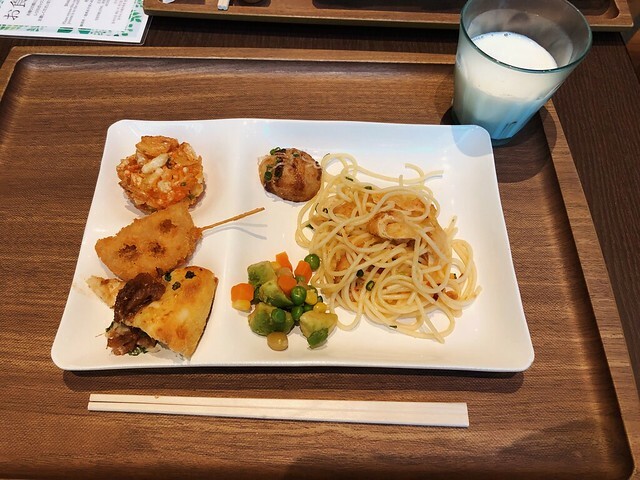 Don’t forget to try out their breakfast featuring a lot of local Osaka specialty such as Kushiage, Takoyaki, Osaka-style pizza and more! 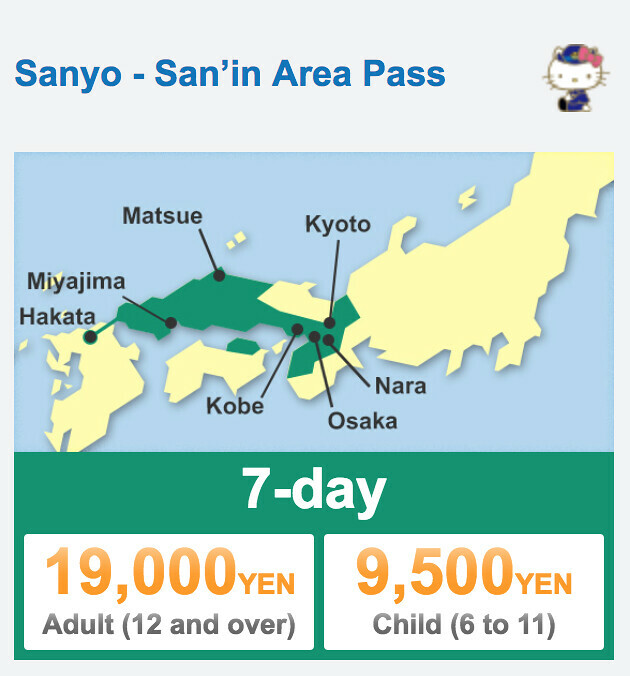 Since the JR WEST Sanyo-San’in Area Pass is only valid for 7 days, on the 8th day you will have to buy a separate ticket to go to the airport. Did you know that buying a new JR WEST Rail Pass is more affordable than paying for even one way of regular train fare?? 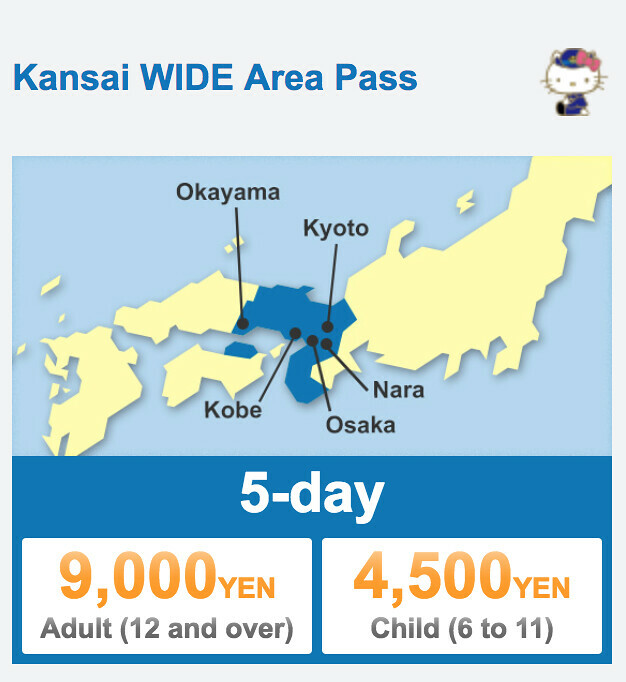 1Day Kansai Area Pass – JPY2,200. That’s all for JR WEST Rail Pass Sanyo-San’in Area Pass. In my next blog post, I will be sharing another pass that covers other areas – Kansai WIDE Area Pass. 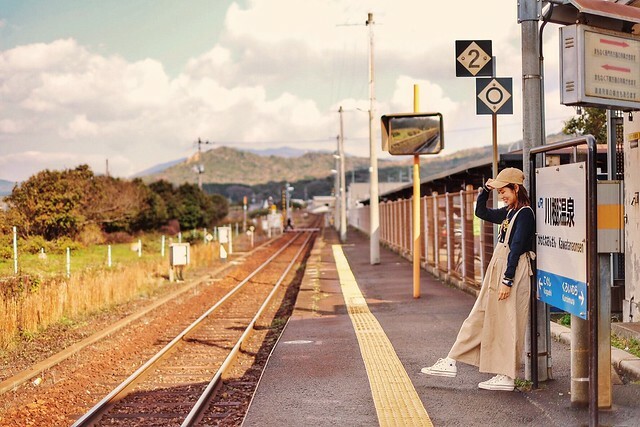 Where to purchase JR WEST Rail Pass? 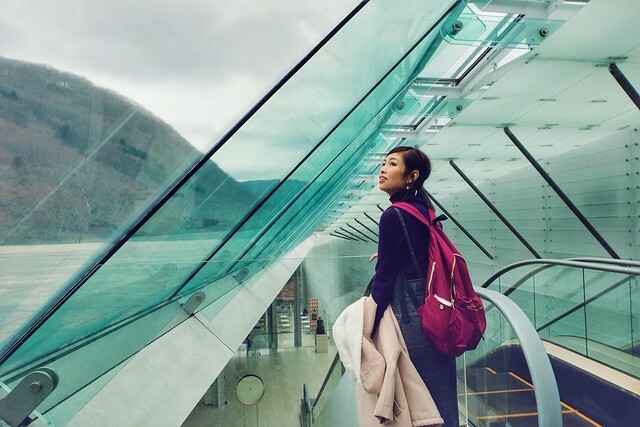 You can purchase an exchange order with travel agencies or travel portal such as Klook, and then exchange the exchange order for an actual pass at a JR West desginated station. You can make a booking directly from JR West website 27 days in advance. And then make payment at JR West station when you arrive in Japan. 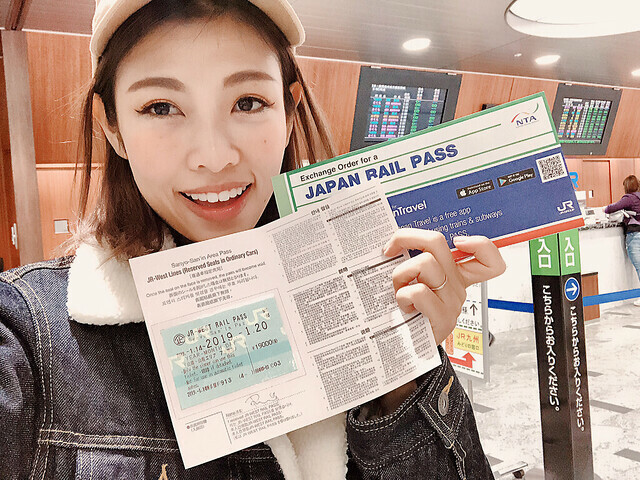 If you couldn’t make up your mind and you want to get it last minute after arriving in Japan, you can purchase it directly from any major station within the JR West Rail Pass station too! I’m so excited for this post! It was written the very next morning after I came back from my 7-day #CheesieConquersWestJapan trip. 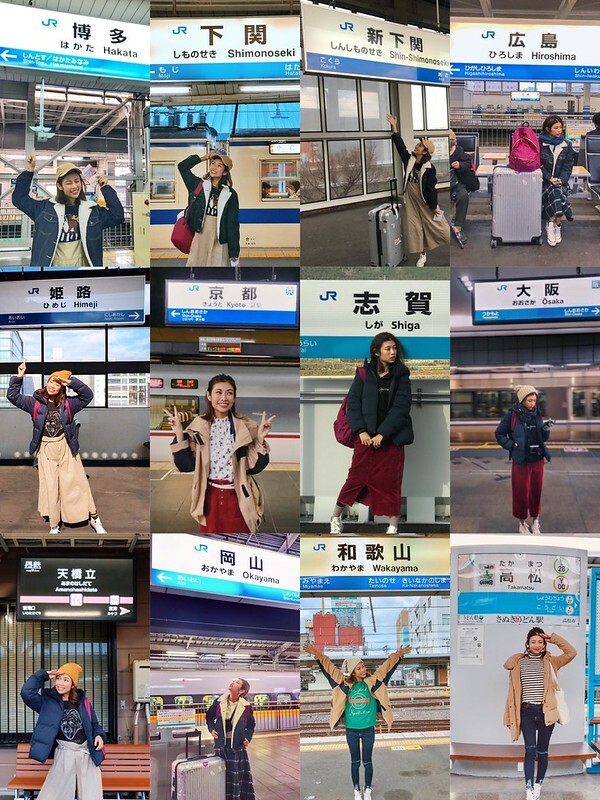 Before I even start the post, I want to thank JR West for giving me this wonderful opportunity to travel through 10 different prefectures in 7 days, conquering 3 new prefectures, meeting many amazing people (and a couple of miracle encounters along the way), laughing a lot, and most importantly, feeling the love of Japan, more than ever. I had such fun time planning the itinerary with JR West team (well, they planned most of it! I just told them the new places I wished to visit and they made it all come true), because I was really thrilled to be able to set foot on a few more prefectures I had yet to visit. 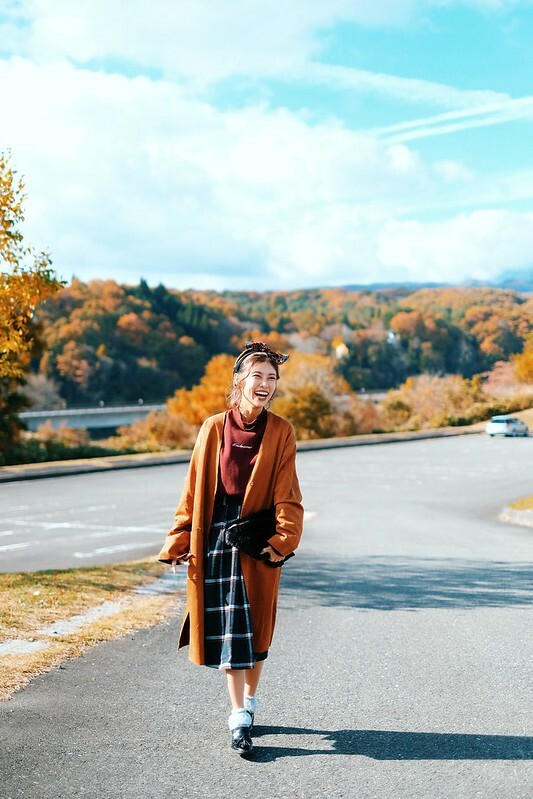 When the itinerary was finally ready, I took a glance at the time schedule, couldn’t help but burst out laughing, and at the same time I felt my heart soften, deeply impressed. On the itinerary, there’s a timetable stating the exact time of each train I will board, and the time it will arrive/depart, to the very minute. #OnlyInJapan, that you can follow a time schedule as exact and precise as this. I move about with local trains and shinkansen (and some buses and ferries) countless of times during my entire 7-day trip, not a single time have I missed any rides because… it’s Japan. You can be sure that when it says it will come at 9:59, it WILL. This is just one of the many beauty of Japan which I am way too eager to have it shared and known to the whole world. 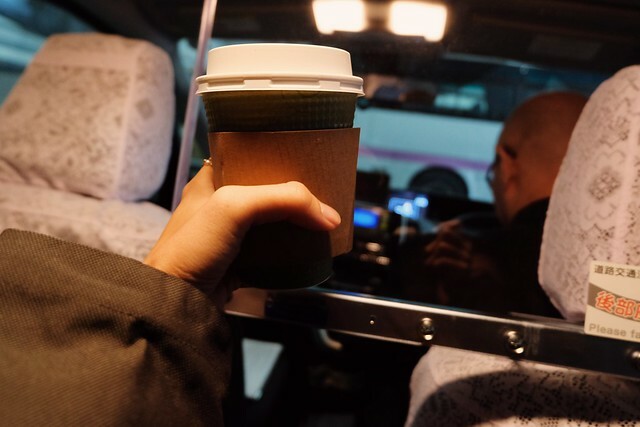 I have been on quite a number of FAM trips to Japan, most of the time we (bloggers and media) get chauffeured in a private bus or car in exchange for time and schedule efficiency, but the downside of it is that it would be hard for me to explain how I actually get to a particular place. So I have always wanted to do a trip with me traveling using only public transport, just like a regular tourist. 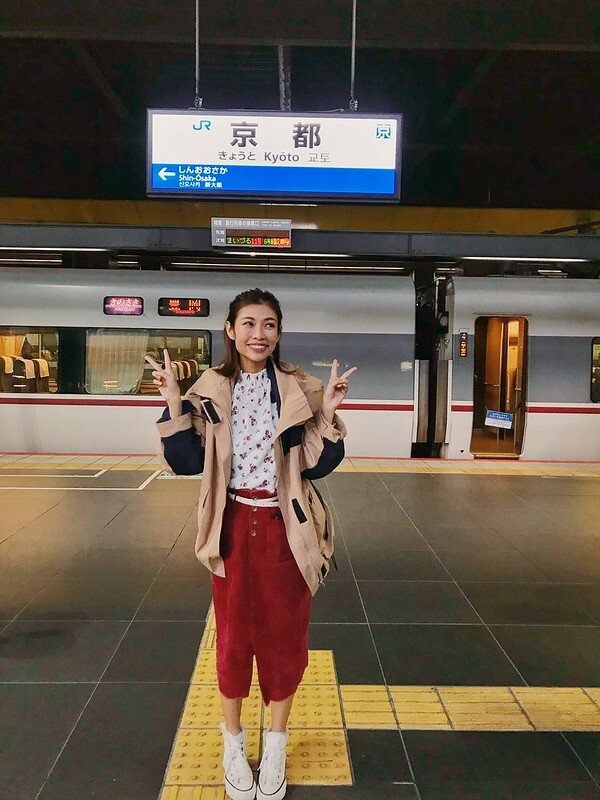 And this was it – the perfect opportunity for me to share my real experience using JR West Rail Pass conquering most of West Japan. So today, I’ll be introducing two of the JR West Rail Passes so that you guys can have a better idea what they actually are. I know, I know. I get asked so often!!! 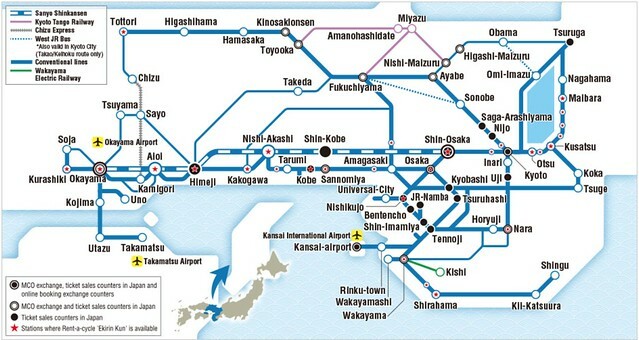 First of all, there are a total of 6 JR Railways and they are all different companies: JR Hokkaido, JR East, JR Central, JR West, JR Shikoku and JR Kyushu. Today I will be introducing passes from JR West in particular. The ones with the Hello Kitty mark are passes that allow you to ride the Hello Kitty Shinkansen! More on that later! Other than the above passes, there are also more!! Quick explanation: Chugoku Region is separated into two areas – Sanyo (山陽) and San’in(山陰). Sanyo is made of southern prefectures facing the Seto Inland Sea – Okayama, Hiroshima, Yamaguchi. San’in consists of northen prefectures facing the sea of Japan – Tottori and Shimane. The complete map of areas it covers. You can ride Hello Kitty Shinkansen with this pass! You can basically travel from Hakata (Fukuoka Prefecture) all the way to Osaka, the distance is more than 600km. If you have a whole week to spend, and conquering as many prefectures as possible is your priority, this would be a great pass for you to start your own #47PrefectureMission! Pro tip: Fly in to Fukuoka Airport (there are direct flights to Fukuoka from Kuala Lumpur by Air Asia starting 28 Feb! ), and travel all the way up to Osaka (and catch the Hello Kitty Shinkansen along the way!) and fly out from Kansai International Airport. I’ll be sharing my itinerary in upcoming posts. 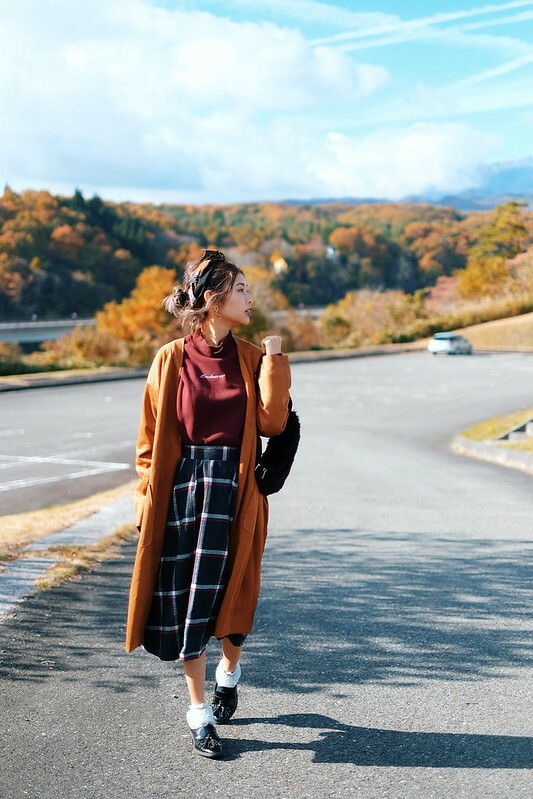 It covers a wider area than the regular Kansai Area Pass, as it includes also Okayama, Takamatsu (Kagawa Prefecture), Kinosaki Onsen (Hyogo Prefecture), Amanohashidate (Kyoto), Shirahama, Kishi & Kii-Katsuura (Wakayama Prefecture)! This is the area it covers. You can also ride Hello Kitty Shinkansen with this pass! 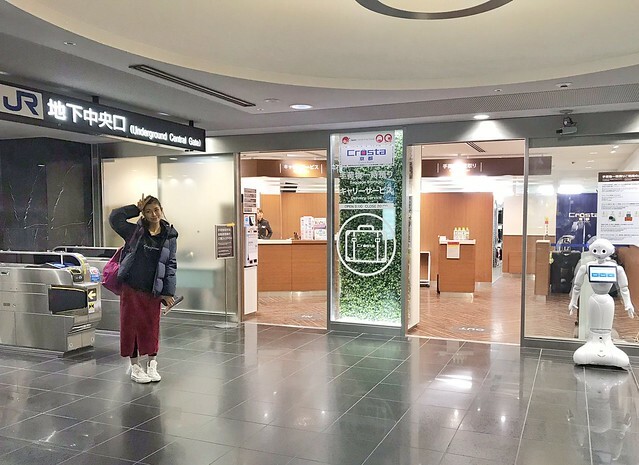 If you are only in West Japan for 5 days or less and have to fly in and out Kansai International Airport, this may be a good, affordable option to maximize sight-seeing concentrated in the Kansai region. It’s possible to conquer 5-6 prefectures with this pass during the duration! So! 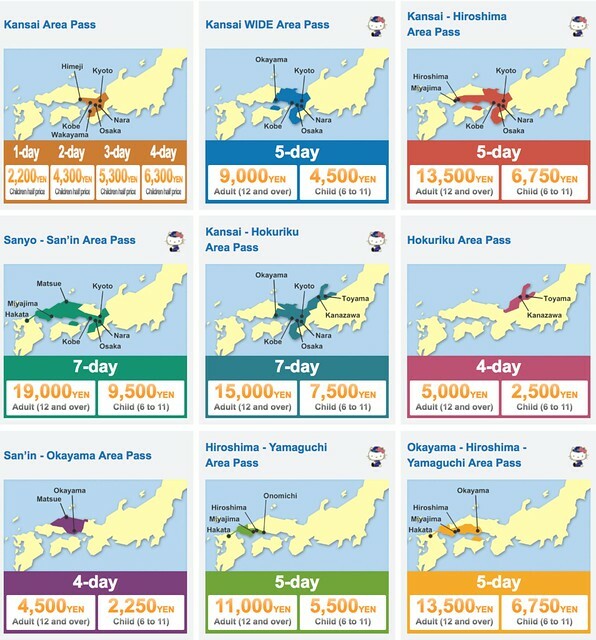 I thought you’d like to know some perks of using JR West Passes compared to other train passes. Yes, everyone knows you can use this pass and ride the trains over and over again, but sometimes it comes with a catch or two. 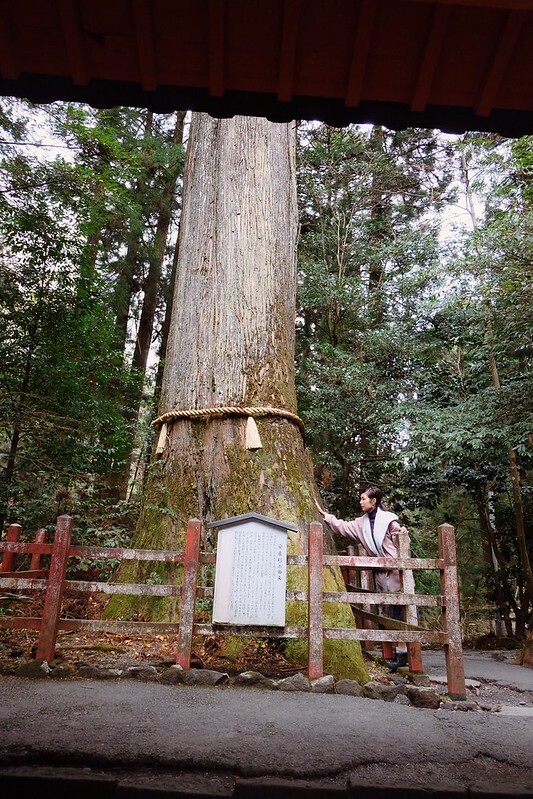 Last year, I was dying to visit Izumo Taisha Shrine in Shimane Prefecture AND travel to Nyuto Onsen in Akita just to check these two prefectures off my list (what was I thinking?! The two places are more than 1000km apart!!!!! ), so I bought a JR Whole Japan Rail Pass since these two prefectures are basically at almost two extreme ends of Japan’s main island. But did you know? That JR Whole Japan Pass does not include rides on NOZOMI and MIZUHO, two of the speediest shinkansen in Japan??? Well, I didn’t. In the end I had to use the local trains mostly and the entire journey took me one whole day. T__T. 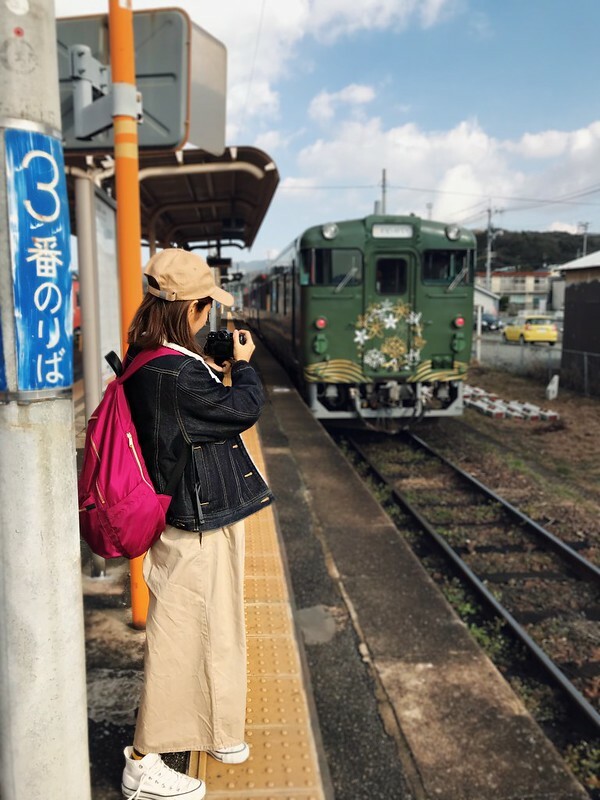 Here’s one thing even an experienced Japan-traveler like me get very confused – the different types of express trains in Japan. Some of them are “Limited Express” (Tokkyu), which you will need to purchase a separate Limited Express ticket to ride the trains. The train masters are checking quite regularly these days because I think many tourists ride them without knowing – I don’t blame them, it is indeed quite confusing. So if you are riding on a regular ticket, please make sure that you purchase the Limited Express ticket as well. So! My point is!! 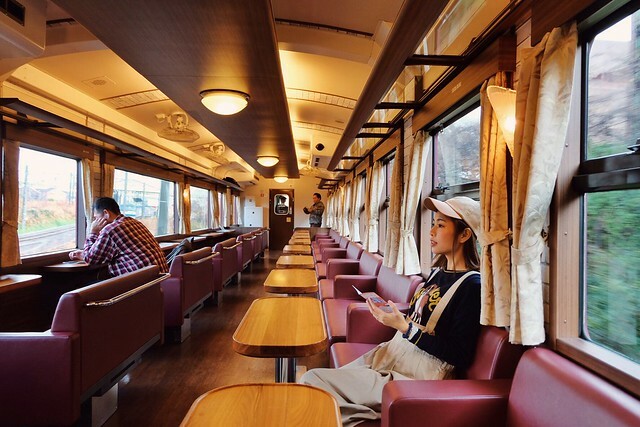 With just ONE JR West Rail Pass in your hand, you get to ride all varieties of limited express and local trains, including rapid and special rapid. I know, I know. (There’s even semi-express and others omg.) Just ignore it for now. Just rest assured that with this pass, you are able to be on most of the trains to your destinations 🙂 If you feel that it’s too daunting and you are unsure, you can check the website for more info. 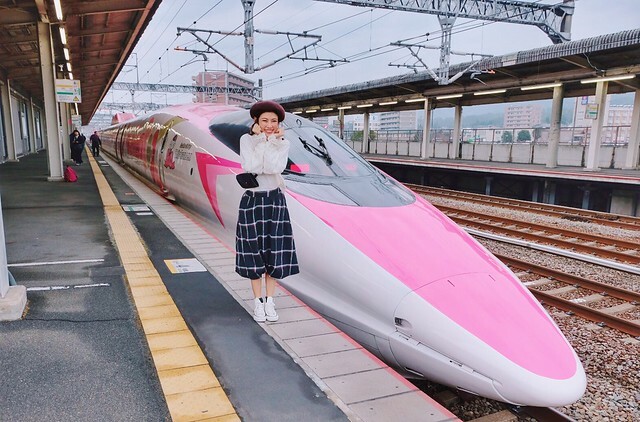 JR has many interesting seasonal and character-themed trains, such as of course, the Hello Kitty Shinkansen (I LOVE IT!!!! ), the scenic Maru Maru No Hanashi that runs along the coast of sea of Japan, and the very nostalgic SL Yamaguchi, etc. Sometimes you get on one without even knowing, what a nice surprise! You don’t have to pay anything extra for it. You can read my blog post on Hello Kitty Shinkansen here. This is where things get interesting! Sometimes you will see a train that’s not run by JR West. But JR West has many special collaborations so certain passes allow you to even ride on other railway companys’ trains! 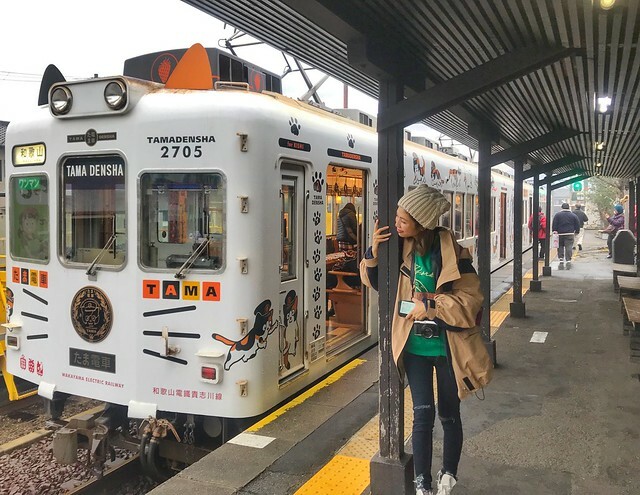 For example on Kansai WIDE Area Pass you get to ride the super adorable Tama Densha run by Wakayama Electric Railway, to meet the famous super train master cat. You can read my blog post about Tama Densha here. This pass also lets you enjoy lots of discounts and benefits such as restaurant discounts, shopping coupons, entrance ticket discounts and more. Did you know that you can get 10% off car rental fee, and even rent a bicycle for free with the special “Ekirin Kun” service?? In the above picture, I used my JR West Rail Pass for 10% off Kyoto Railway Museum admission ticket! There are simply too many benefits to list down so you can refer to this page for more info! 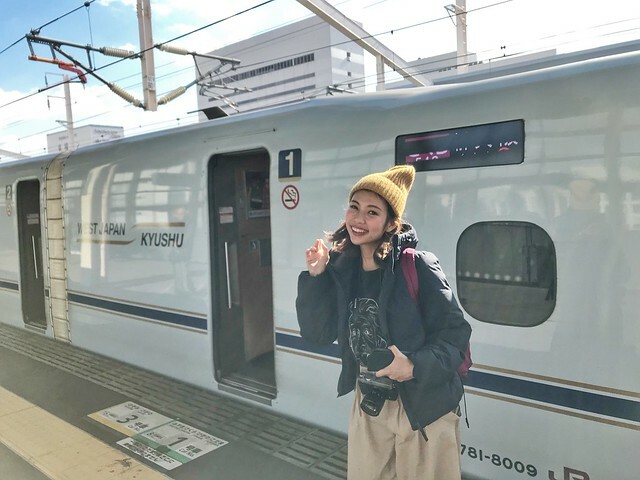 In my next blog posts, I will be sharing two sample itineraries using these two JR West Rail Passes, so that you can enjoy what I did in West Japan! 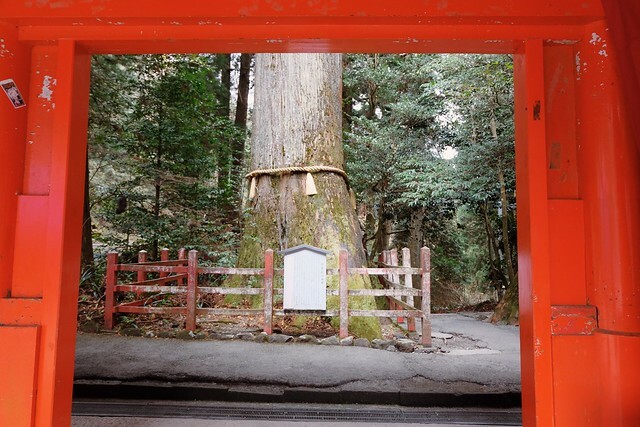 This is the second blog post of Tokyo Sightseeing Taxi. 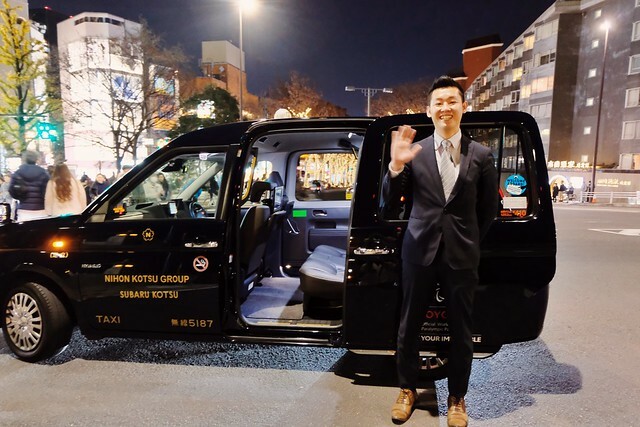 I have blogged about a full blog post earlier about the super advantages of opting for a chartered taxi tour in Tokyo. 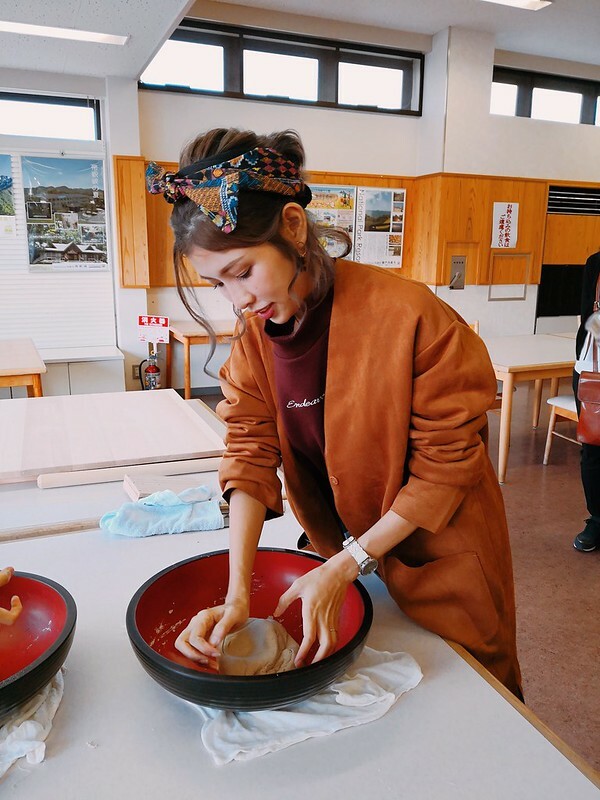 On my second last day of Tokyo trip this December, I have gone on yet another half-day mini tour in Tokyo with Tokyo Sightseeing taxi again, and this time I went for a modified version of Model Course 6: Japan Culture, Art and Artisanship. You can view all the model courses on this website! 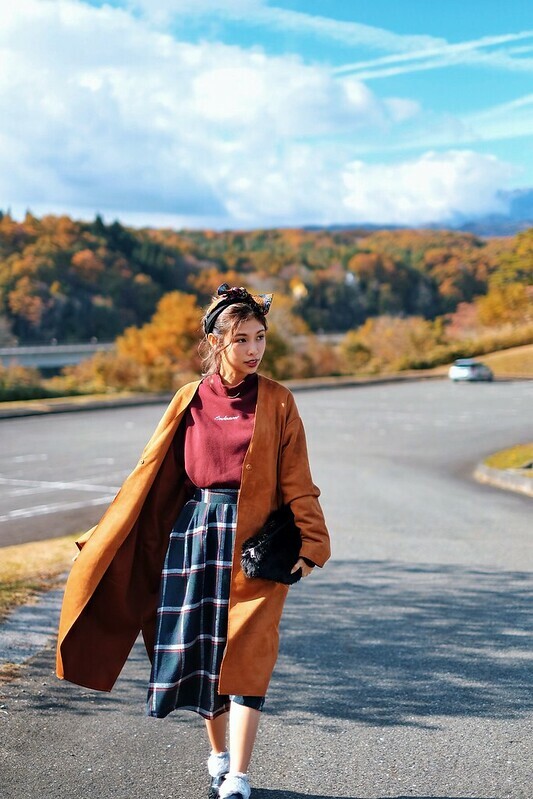 I have been to Tokyo countless of time, mostly for yummy eats, trendy fashion shopping, and all the fancy new places and theme parks. 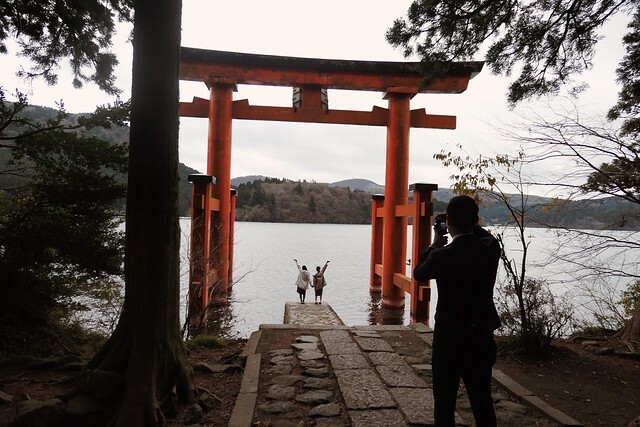 Recently I have taken an interest into exploring the more traditional side of Japan. I am starting to appreciate Japanese Gardens, traditional craft and I’ve even started picking up Wadaiko. 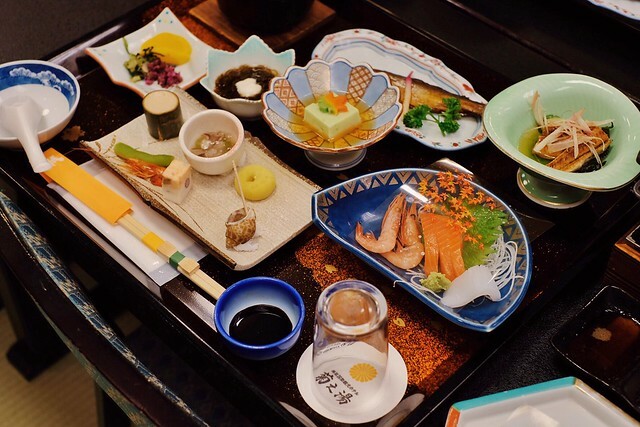 You don’t need to go to Kyoto for a taste of culturally rich Japan. 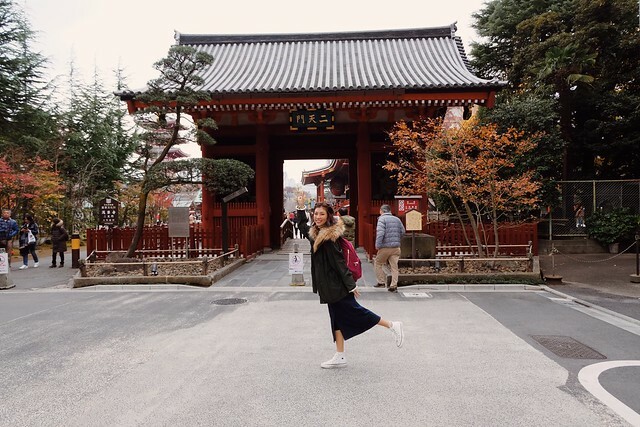 Asakusa is the historical capital of Tokyo and it’s the perfect place to immerse yourself in all things traditionally Japan. 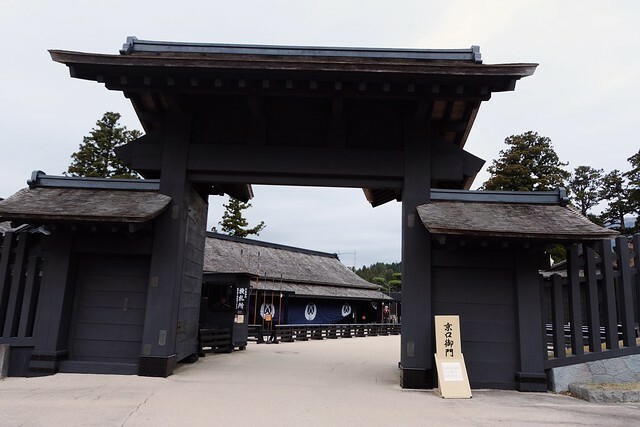 Sightseeing course Course: Japan Culture, Art and Artisanship. My private chauffeur/guide of the day is a different gentlemen from another taxi company. He drives a swanky 7-seater and he welcomed me with warm greetings in perfect English, a sign with my name on it, and his little contact card written in English. 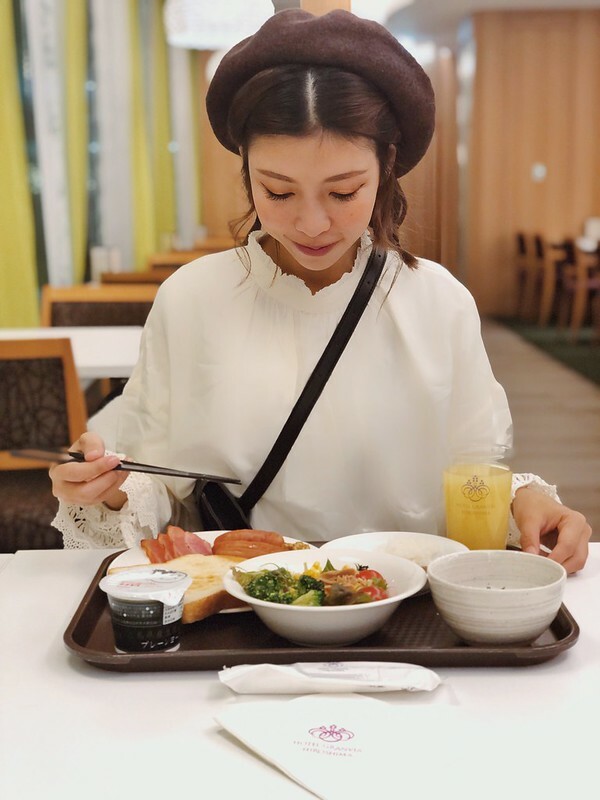 During sightseeing tour, some guests prefer to be on their own especially during shopping and meal time while the driver standby and wait at an appropriate parking area, so it is important that you exchange contact with your driver so that you can communicate with each others smoothly. It was a little drive to our first destination, and before we reached the spot I have already heard so much travel tips from him. He’s a ultra friendly and chatty gentlemen, I felt really really at ease with him as if catching up with an old friend I’ve known for a long time! 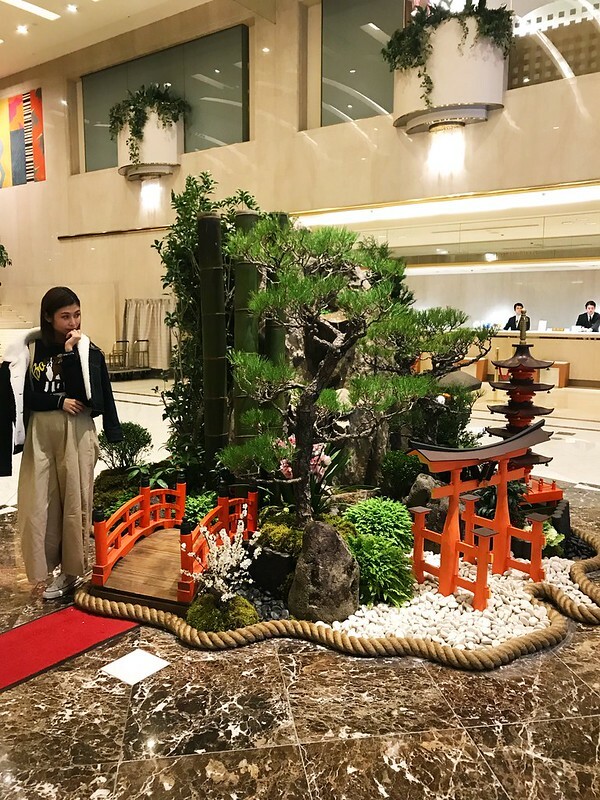 To be honest I’ve never taken an interest in bonsai until 2017 when I visited Tobu World Square and witness everything super miniature including cherry blossom trees! 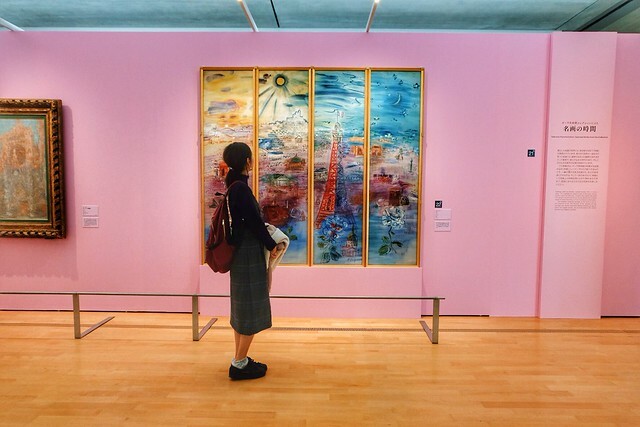 The museum is located in Edogawa district, slightly far out from Tokyo city center, and a little tricky to access by public transport since you will have to get on a train and bus before walking there. So a chartered taxi ride would be perfect! 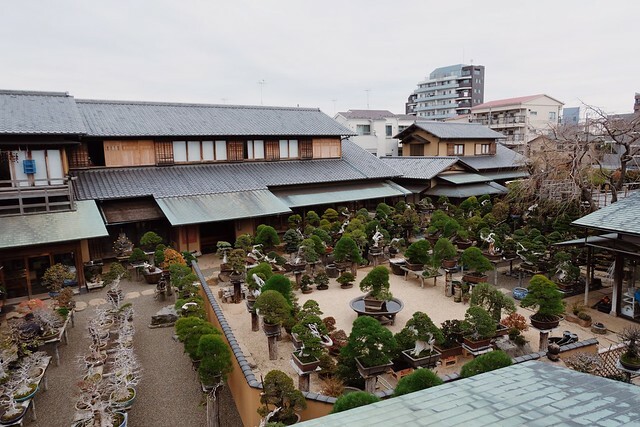 To understand this expression of Japanese culture and nature deeper, we have arrived an Shunka-En Bonsai Museum, a bonsai garden and museum founded by Bonsai Master Kunio Kobayashi. The entrance fee is 800 yen inclusive of a guided tour. 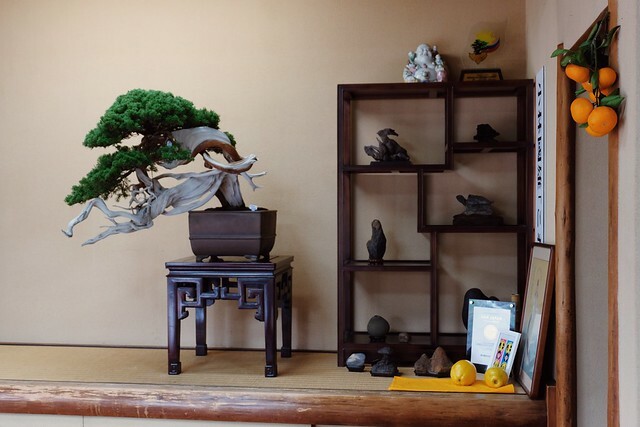 The bonsai garden features a wide variety of bonsai including really famous ones, we were told that some of these miniatures are worth hundreds of thousand dollars! An overview of the garden. There’s also a koi pond. If the weather wasn’t exceptionally chilly, I would have spent more time here just relax in this serene atmosphere. It’s mini persimmon!! I really didn’t know that even fruit trees and be miniature! (Come to think of it, isn’t there mini apples?) 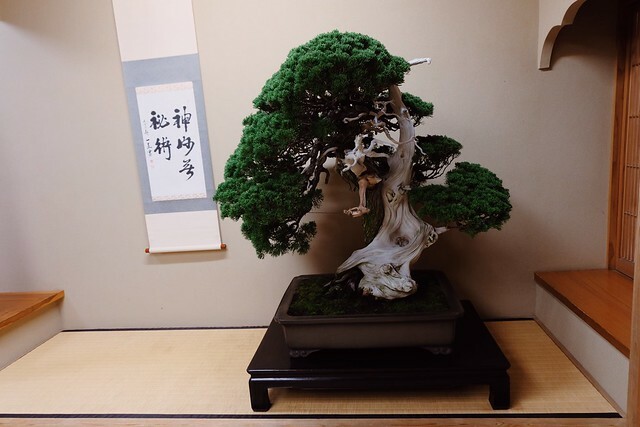 Now I find bonsai really interesting and would really like to learn more about it. There are really still so much culture I have yet to explore and discover in Japan. 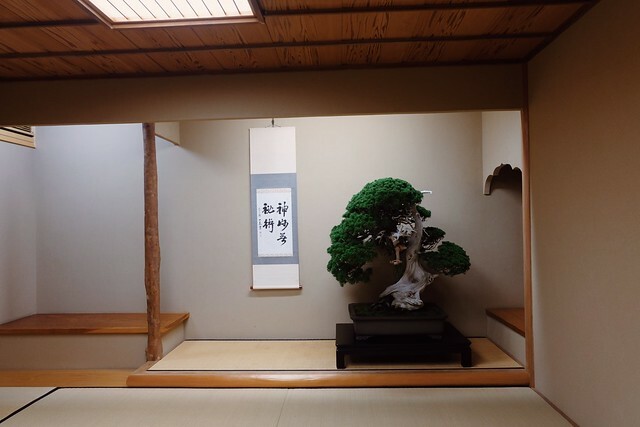 In the building (museum), you will find many “Tokonoma”, a space where Bonsai are displayed for artistic appreciation. 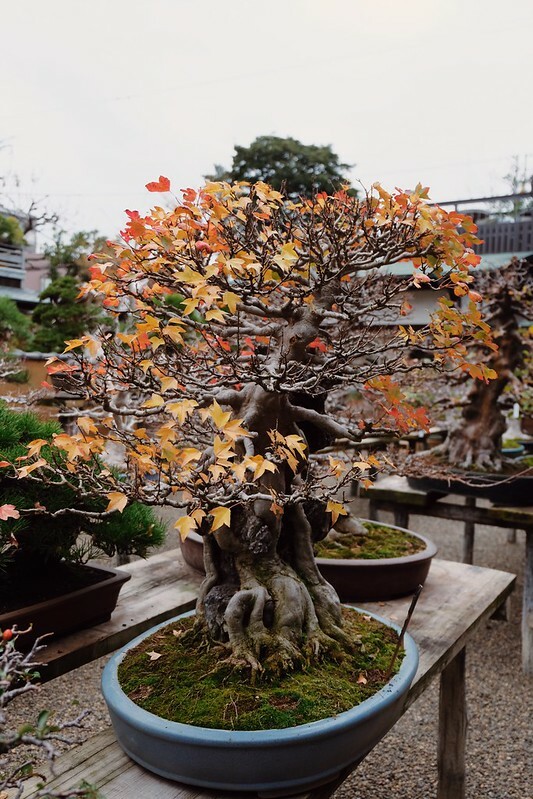 Bonsai enthusiasts can spend a long time just staring at the art of bonsai and immerse themselves in traditional Japanese living. This is a display at the reception area. 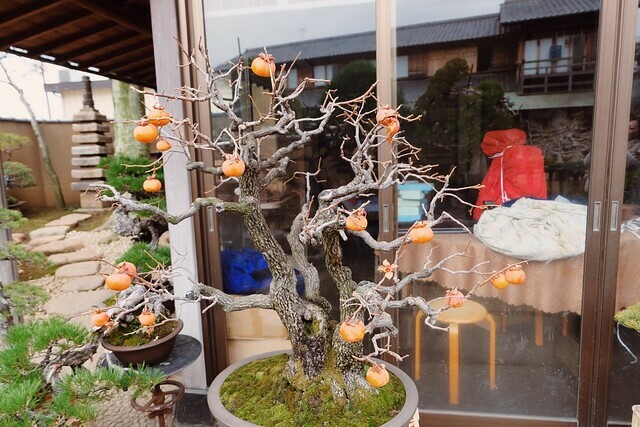 And this, my friend, is the most valuable bonsai in the entire premise. Take a guess how much it costs? 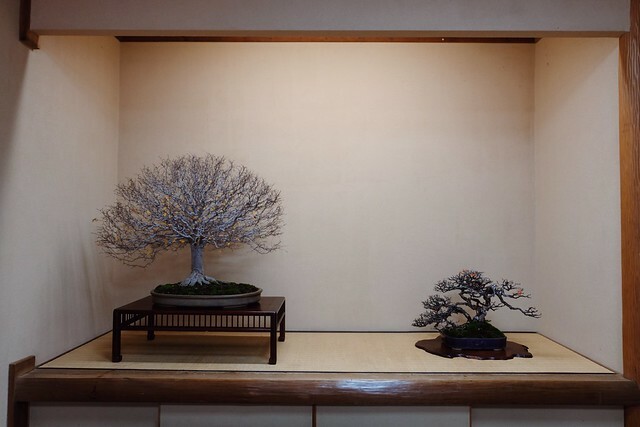 This bonsai apparently is worth 1 million US dollars!! 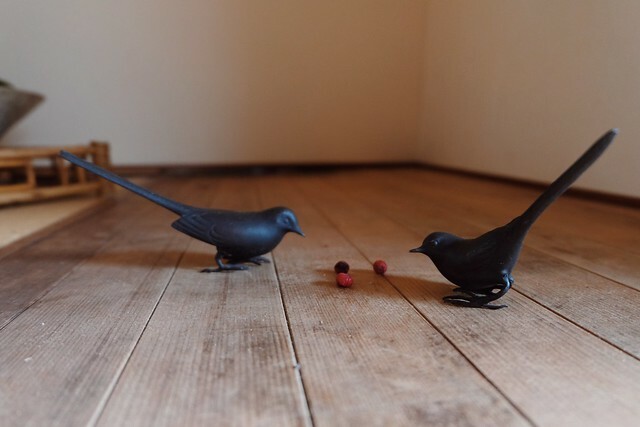 My favorite is this piece displayed along the corridor, long, skinny branches with tiny little red fruits. Look at the details, isn’t this the cutest thing!! 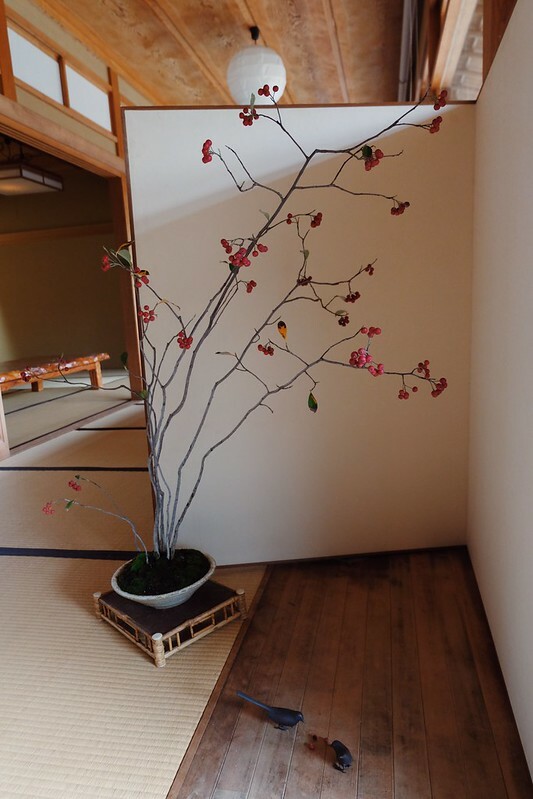 You can also sign up for Bonsai Experience for a fee if you wish to learn more about this beautiful living art. 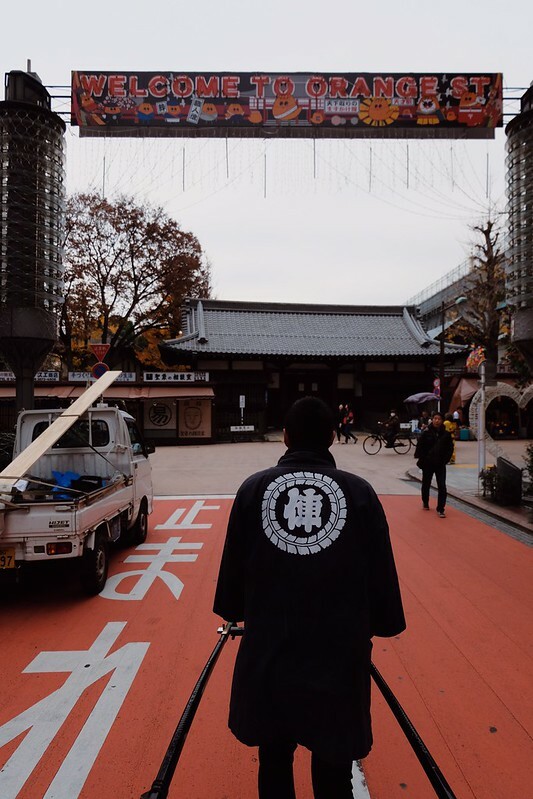 Asakusa is probably one of the most famous tourist spots in Tokyo, and while it is easily accessible by trains, you will still have to beat the tourist crowd. 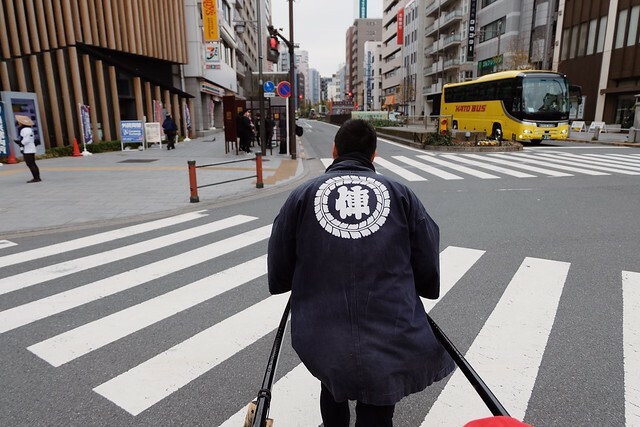 With an experienced driver and guide, he can show you just the perfect route to navigate Asakusa area to best experience Edo culture. 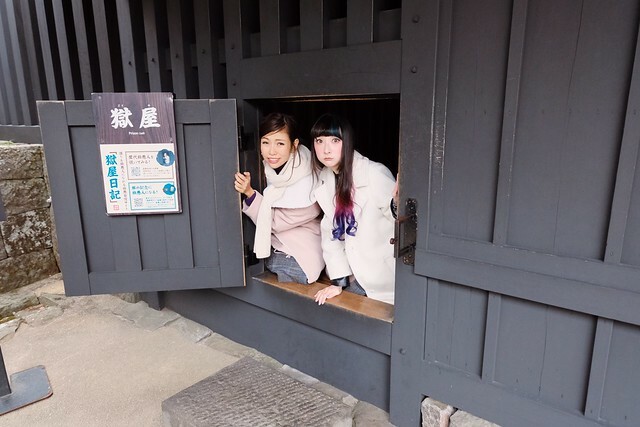 We parked our taxi in a nearby parking lot, and Yuki came with me to give me a guided tour at Sensoji! 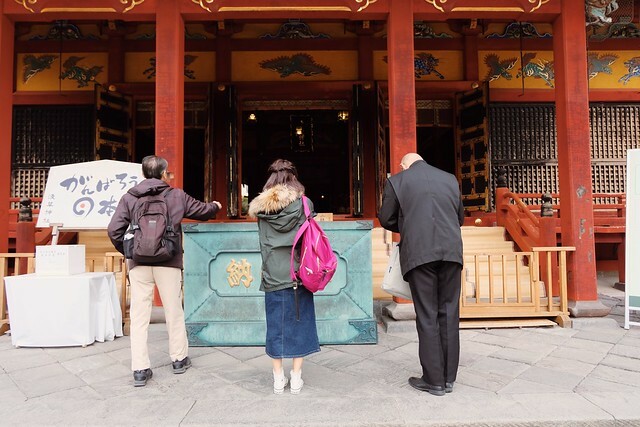 It’s also perfect for first time travellers in Tokyo as your guide can teach you the proper way to pray at the temple and give you a little historical background of the temples and shrines. You will never be a clueless tourist newbie anymore!! Yuki is also super attentive T__T. 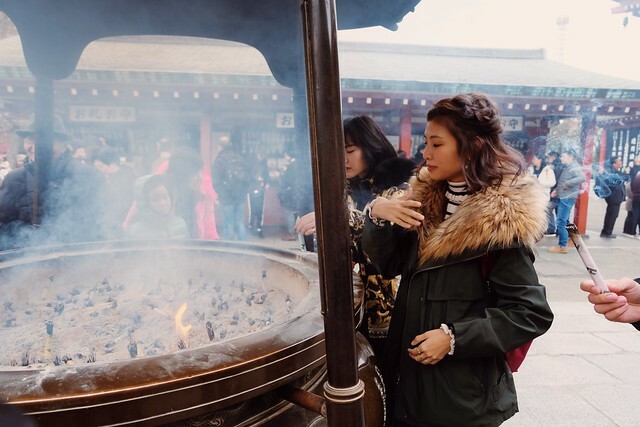 While I was trying to cover myself with the “divine smoke” as it is said to bring good luck, blessings and healing effects, Yuki brought me an incense to burn at the incense burner! Just after a couple of hours I feel like he’s my super knowledgeable travel buddy. I asked him why he speaks such good English, he told me that he has traveled for decades all around the world when he was younger, but returned to Japan and have been an experienced driver for over 20 years! The years just doesn’t add up as he looks too young to have that much experience haha. Yuki explaining the story behind a statue in Sensoji. I think Tokyo Sightseeing Taxi is probably also perfect for solo travellers. 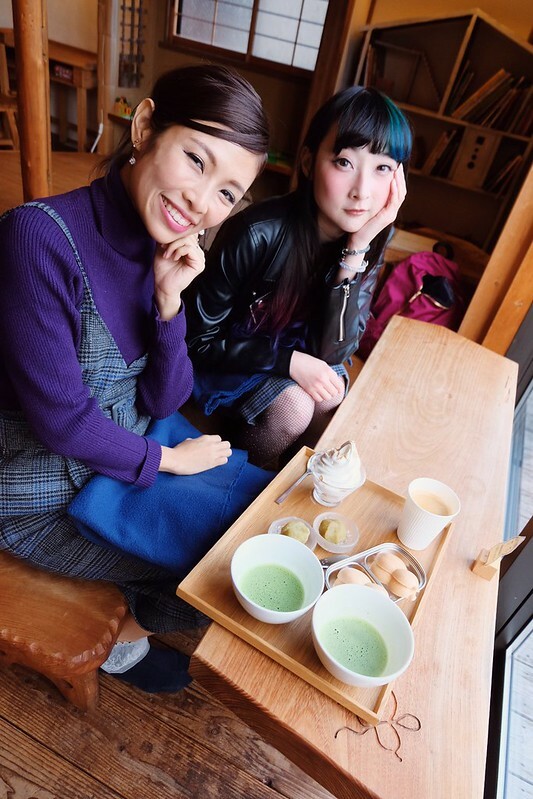 I enjoy traveling alone especially in Japan, but sometimes it is just so much fun to have someone to talk too and share your excitements with! A little bit of shopping in Asakusa. And then I took a small lunch break and enjoy super affordable sushi near Kaminarimon. This whole set – 10 pieces of sushi PLUS maki PLUS miso soup PLUS chawan mushi, was only 1,500 yen!! The next activity in line was rickshaw ride. 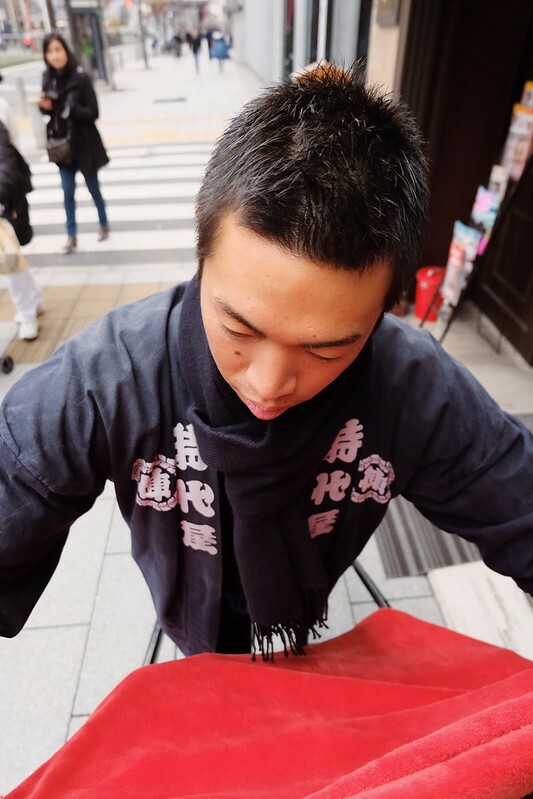 I’m sure you have seen one of these when you visit Asakusa or other historical areas in Japan. I’ve always wanted to try it because all the oniisan are super ikemen and macho HAHAHA. 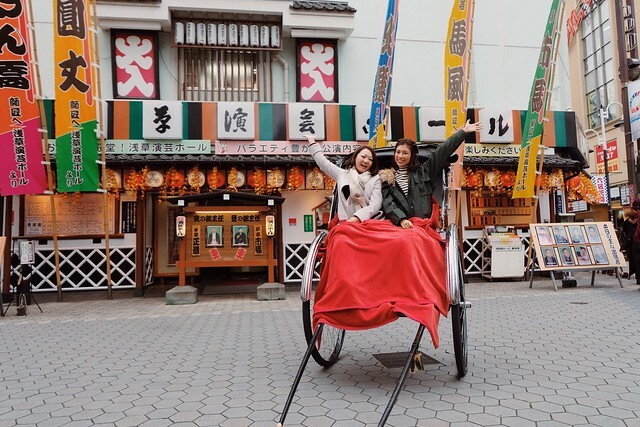 Also, did you know that the word “Rickshaw” actually comes from the Japanese word 人力車 – Jinrikisha (literally human-strength car”!) and that rickshaw is invented in Japan? Jinrikisha is also legit vehicle!! He was running on car lanes! There are several courses you can pick depending on your interest. 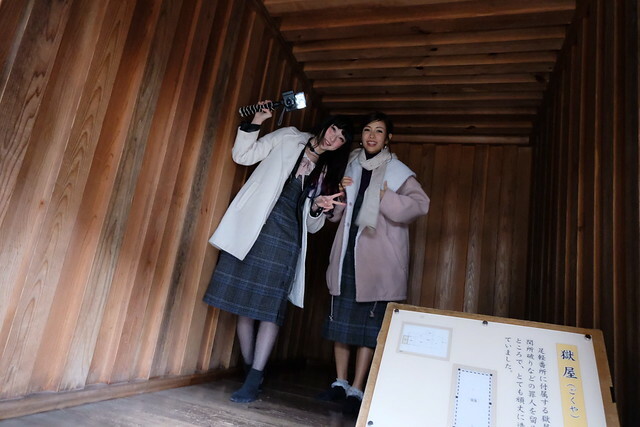 I picked the cultural old town route with lots of historic stores, performing theatres and the first ever arcade in Japan!! Your runner will be able to guide you through the 30-minute course in English. Wow check out this fancy Asakusa Donki! He also takes photos for us in front of Hanayashiki, the oldest amusement park in the whole Japan since 1853!!! The roller coaster ride is also said to be very thrilly just because of how old it is haha. By the way this is Mika, in case you are wondering, she was the one who helped me take all the behind-the-scene photos! 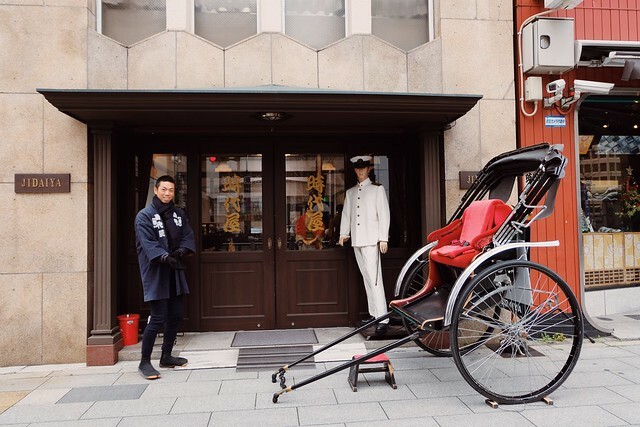 Jidaiya has the longest history of running rickshaws in Asakusa! 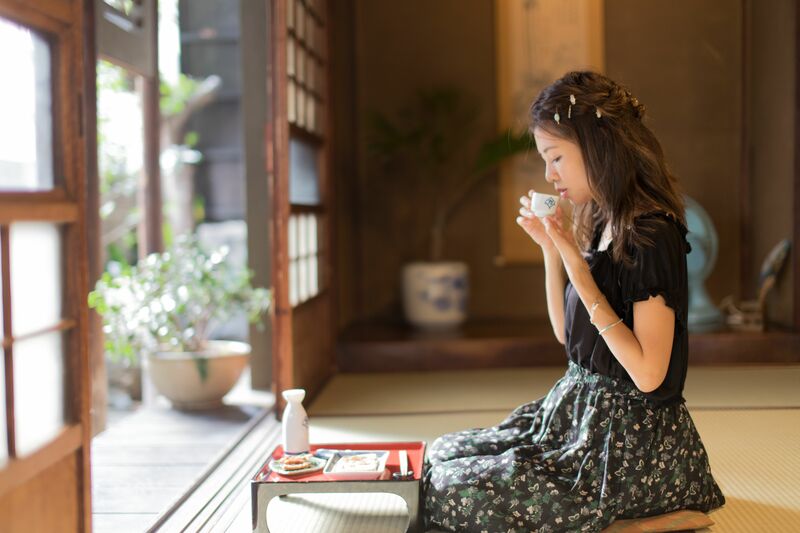 They also offer many other authentic traditional Japanese experience such as calligraphy, tea ceremony and of course kimono experience. Check out their website for more! Rickshaw was my last activity of the day and I contacted my driver to pick me up at the end of the tour. He was waiting at a nearby car park and guess what? 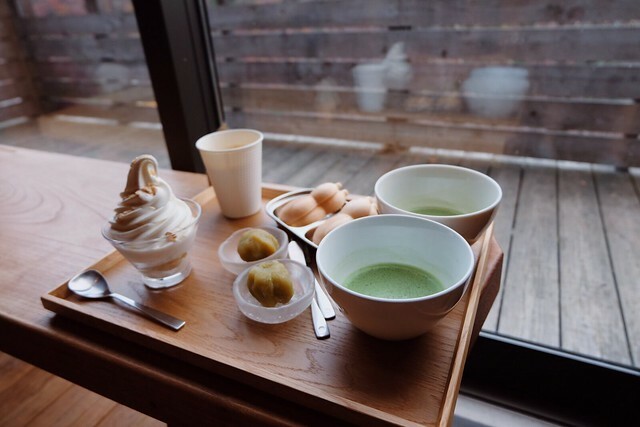 It was such a chilly day, in fact it was probably the coldest day I’ve experienced in Tokyo, and Yuki got me a hot cup of matcha from Asakusa T______T. And that’s not all!! 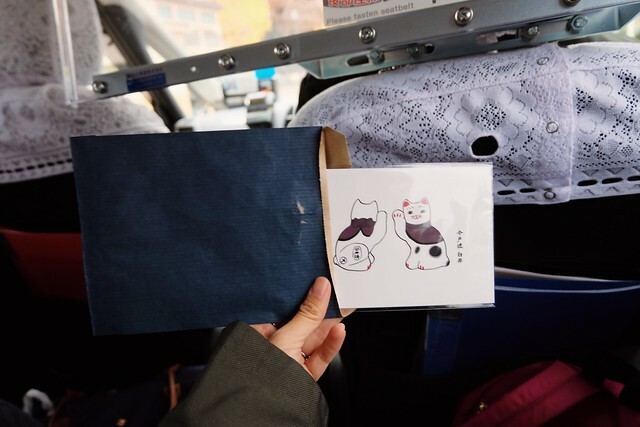 He even gave me a little postcard as souvenir. Such a gentlemen. 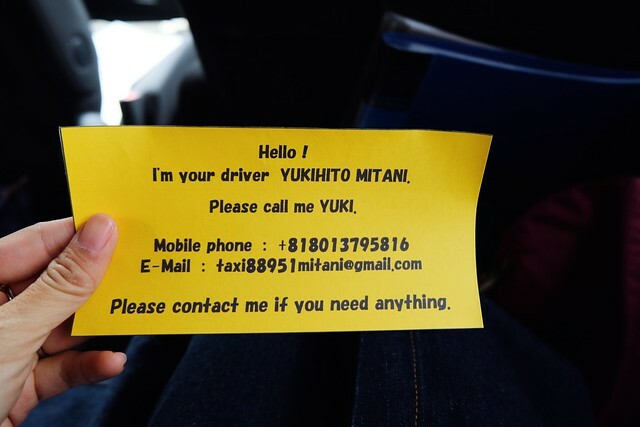 Yuki is really one of the best drivers I’ve ever met! It makes my journey even more unforgettable. It was time and Yuki dropped me back to my destination. 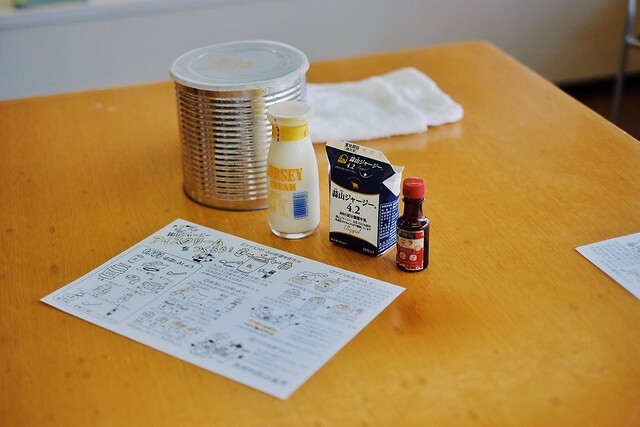 This course is a 5-7 hours course that ranges around 25,000 yen t0 35,000 yen. 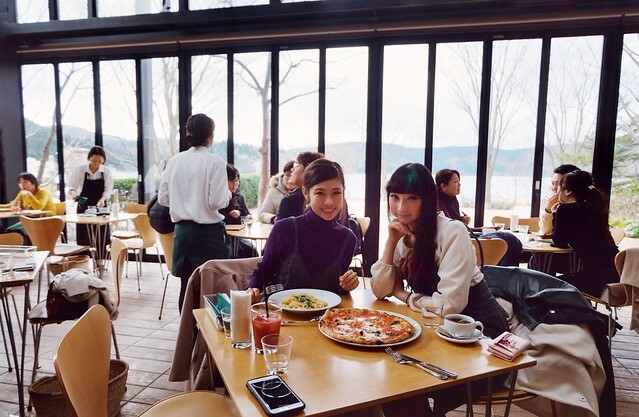 If you split the cost with 5 other friends, you are only paying about 4~5000 yen each person! To me that’s super worth it. Reservation is needed for the service and there are different ways to make a reservation depending on the taxi companies. You can either call in, write an email or use their application forms. 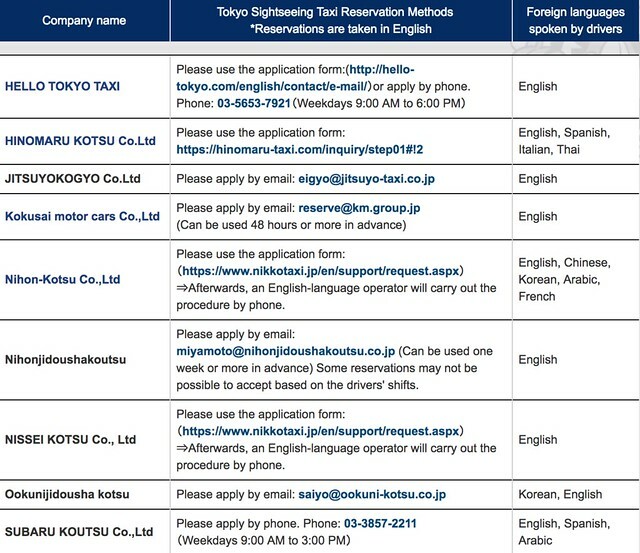 You can go to Tokyo Sightseeing Taxi’s website for more info! 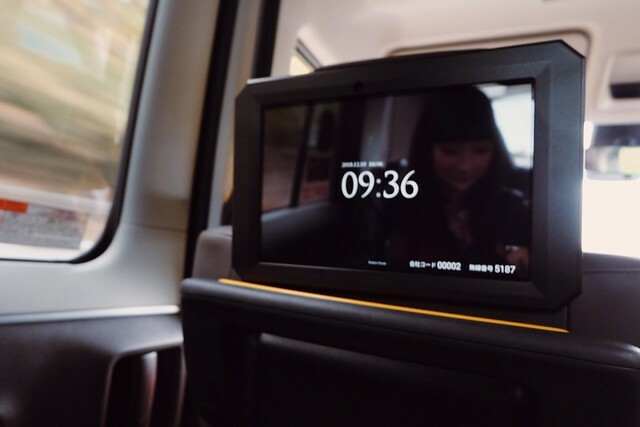 Thanks for reading this blog post, it is supported by Tokyo Metropolitan Government to encourage the usage of taxi for better sightseeing experiences for all travellers! Tokyo is such an iconic, fascinating city that I think many people in this world would love to visit at least once in their life time. I don’t speak any Japanese, I’m gonna get so lost everywhere. I am traveling with very young, energetic kids and I am intimidated by the complicated train system. I have to push a stroller and I panic when my baby cries in a crowded train! I am traveling with my family/parents/in-laws and after walking for 5 minutes they complain about knee pain. My MIL also needs to go to the washroom every 2 hours. 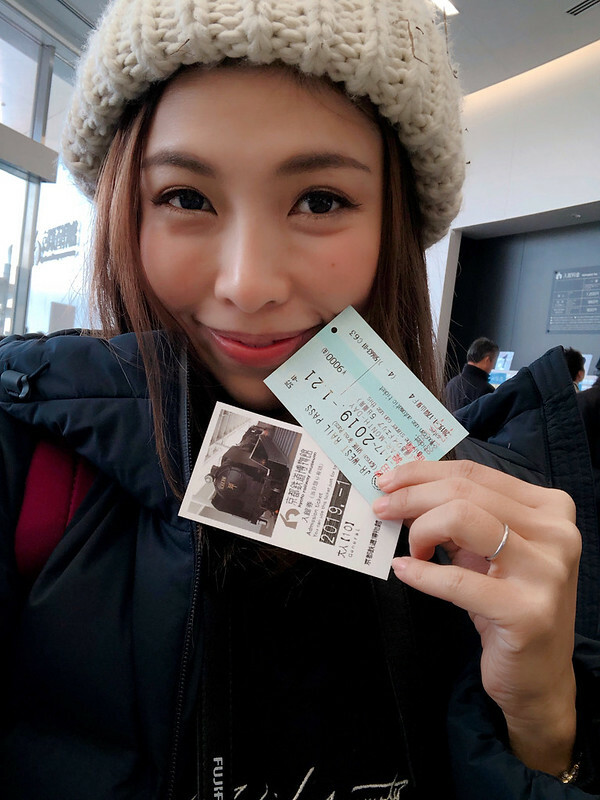 It’s my first time so I want to see Tokyo Tower, Tokyo Sky Tree, Sensoji temple, Meiji shrine, the Imperial Palace… and I only have ONE day in Tokyo… and a flight to catch later. I want to buy 10kg worth of fresh groceries and I don’t want to carry them with me up and down the stairs through 3 different train rides and I just don’t want to deal with looking at the train map or GPS arghhhh. Omg I’m really so loving the fact that Tokyo is getting more and more foreign-tourist-friendly, leading up to Tokyo Olympics 2020. I’m so excited! 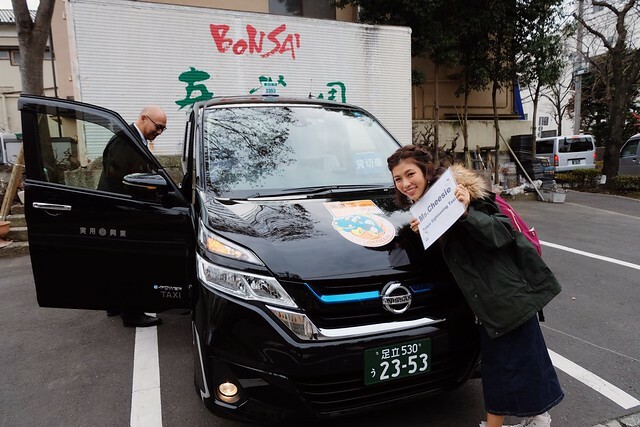 What is Tokyo Sightseeing Taxi? Yes, it is a chartered taxi just for you (and your travel companions). 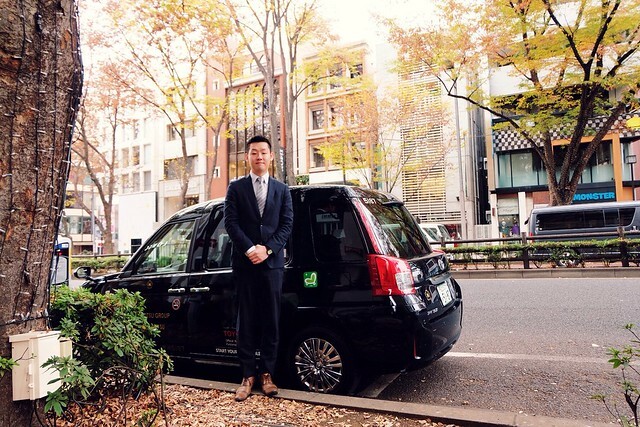 Tokyo Sightseeing Taxi will pick you up and drop you off where you want while touring Tokyo’s famous sights with guided explanation from the driver. 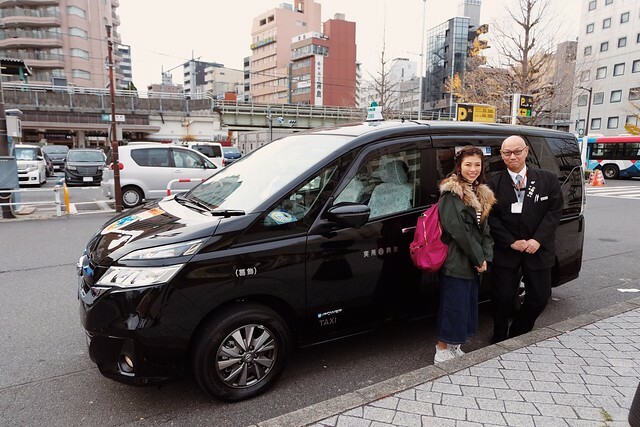 In another word, Tokyo Sightseeing Taxi is your door-to-door personal chauffeur. The gentleman in the photo is Yoshi, my personal chauffeur of the day! Wow, that’s gonna break my bank!! You must be thinking right now. Well, I don’t blame you. All of us have heard that taxis in Tokyo are really, really expensive. But is it really so? We will find out soon! 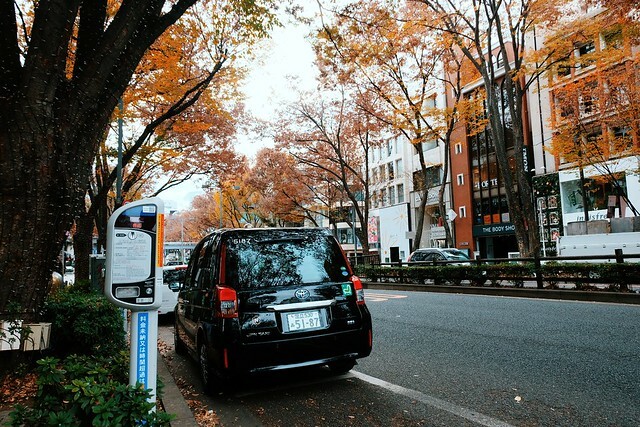 What are the benefits of using a taxi for sightseeing in Tokyo? Oh my god I probably need 10 blog posts for this, but let me summarize it for you. Nope. You don’t have to wake up early to catch the bus or train or anything else anymore. Just let your chauffeur know what time and where to pick you up. Even right in front of your hotel’s door! I told my driver to meet me in front of Meiji Jingumae outside Tommy Hilfiger as I will be waiting for another guest to join me and it’s also just minutes’ walk away from my accommodation. The car was waiting right there for me even when I arrived 15 minutes early!! 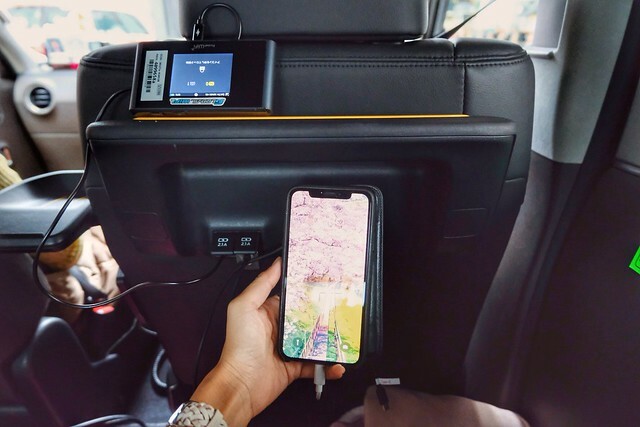 Of course for dropping off at the end of the day, you can request the driver to send you back to your hotel or any other destination you may like. 2.You can share the ride with your friends and family and split the cost! 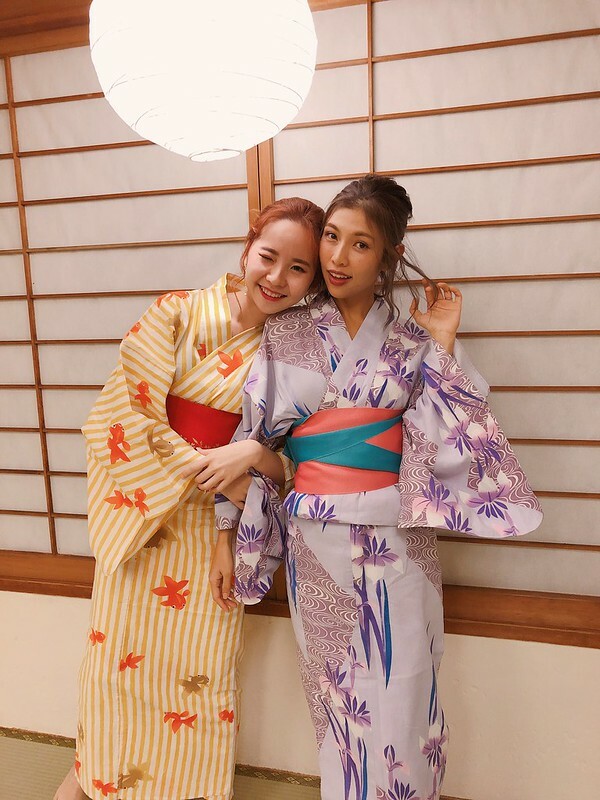 Here’s my guest -RinRin!! 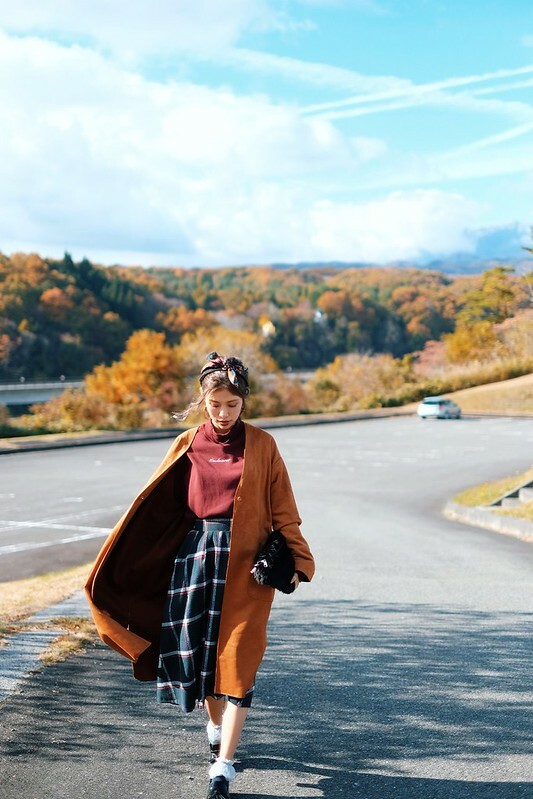 She was my companion of the day, and we were going to Hakone together for the first time! 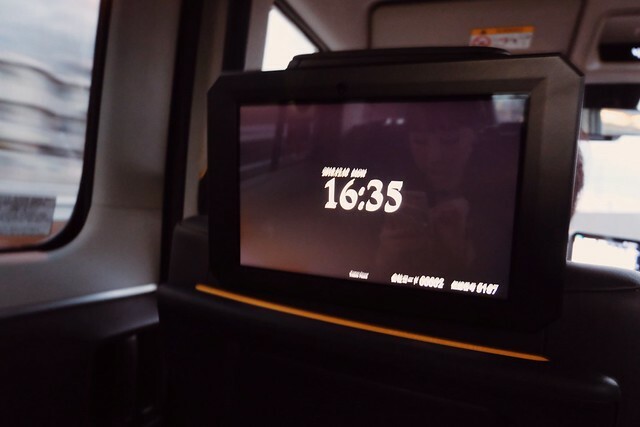 Chartering a taxi is of course a luxurious way to travel, but if you have a group of friends, it may be even more worth it than taking the public transport! Think about the effort you save planning a route and the time you save waiting for the next transport and looking at maps! The usual taxis are sedan type, but you can also request up to a 9-seaters! So now it means you can split the cost with 8 other travellers! 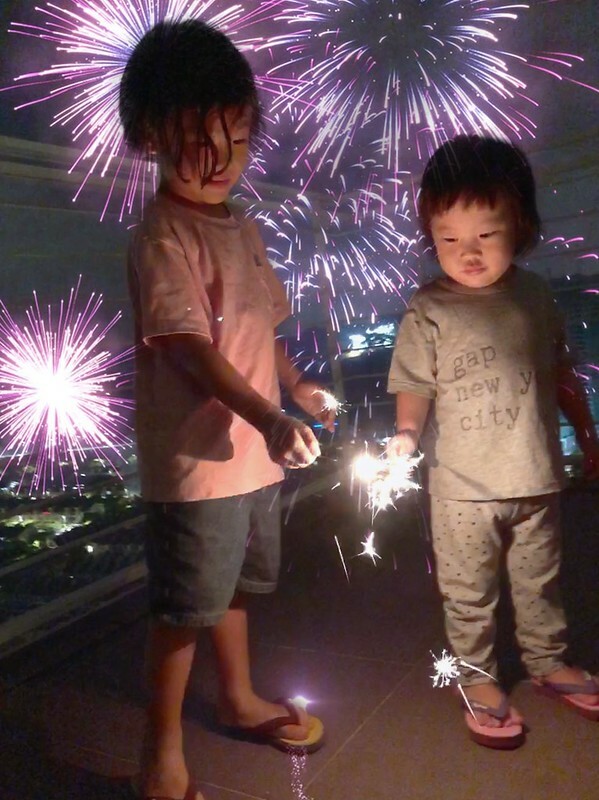 I think it’s really perfect especially for Malaysian/Singaporean because we have the culture of annual family trips (sometimes in-laws and yee ma ku che also come along right? Haha). You also don’t have to worry about your grandma’s knees anymore! Since you won’t be fixated on the timetable for the next train and busy looking up the GPS, you can leave it all to your driver and just… relaxxxxxxxxx. Yes, you can eat, chat, listen to music, or talk to your driver about all things in the world too if you like! I was having my breakfast (egg sandwich from combini, yums!) and RinRin was doing her make up. These are very precious perks especially for people who don’t like wasting any time! This is super useful if you are the paranoid type of traveller who needs to bring everything with you; a mommy traveling with baby and stroller and a million big medium small bags; someone who lugs along heavy luggages and wants to see all of Tokyo before catching a flight back; a photography enthusiastic who carries 3 different big medium small cameras and tripod and stabilizers; or a shopaholic who just… shops too much. This is a bonus – you can wear heels!!! 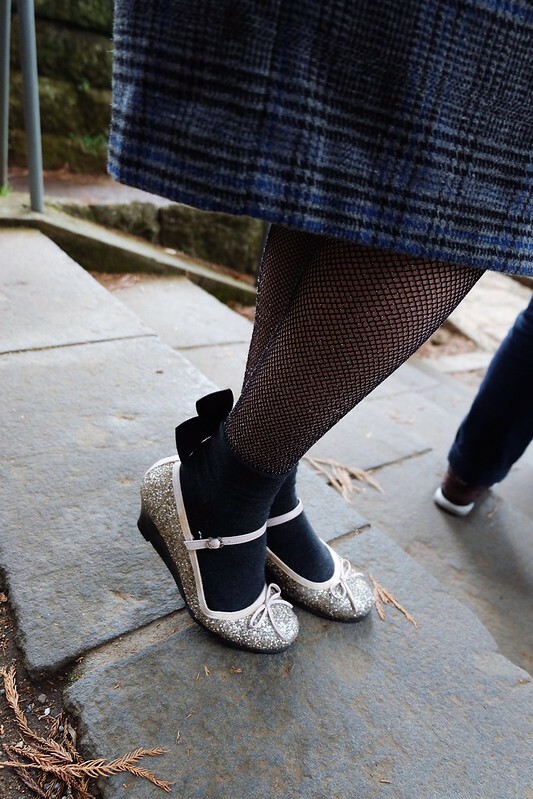 Unless you are going to climb a mountain, you can finally wear that pair of gorgeous kicks and not worried about your legs breaking as you will do very little walking since you have a taxi to bring you everywhere now. Lots of things can go wrong even if you are an experienced traveler, especially if you are using the public transport. Am I at the right platform for the train? Are we getting off the right station? Do I have enough time for transits? Can we make it on time for all the itinerary?!? It could get really overwhelming. Trust me. Been there done that. Countless of times. Haha. With a taxi, the only worry you have is probably road traffic. Even so, you are still going to make it to your final destinations instead of wasting time waiting for the next train or bus or think of an alternative solution if you missed the one you are supposed to take. This is one of the most important points. 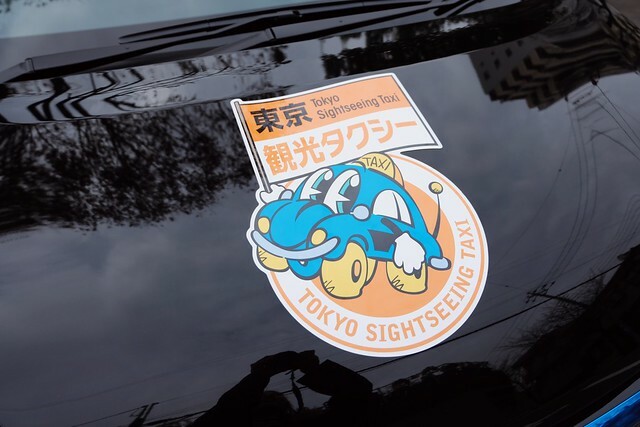 All Tokyo Sightseeing Taxi Drivers are certified drivers by the Tokyo Hire-Taxi Association and have completed a set of trainings. They are not just taxi drivers. 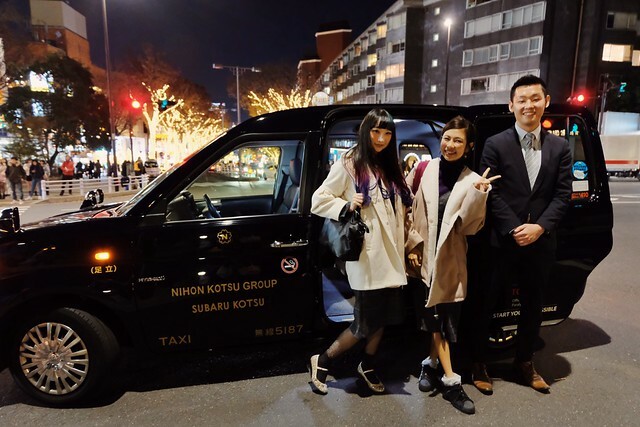 They are highly qualified drivers who have obtained 3 official certifications: Tokyo City Guide Examination, Universal Driver Training, and Tokyo Sightseeing Taxi Certification Training. All drivers can confidently provide guidance about the attractions of Tokyo. Our driver Yoshi (only 26 years old, he is so young!) was so well-versed with Hakone he could even tell us the history of each sightseeing spots and could gave us many useful recommendations. I was very impressed. And of course, he speaks perfect English and guided us only in English. He’s also very friendly and helpful, it really made our trip very pleasant. For those who are worried about communication and language, your driver will always be happy to help you out to make sure you have the best of your journey. 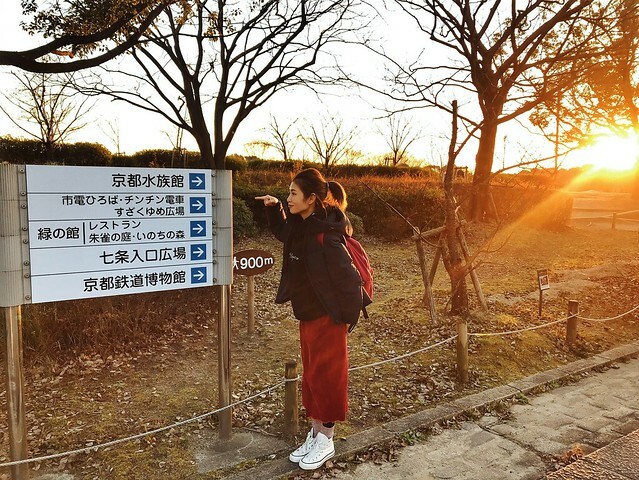 You can of course plan your own itinerary and determine a schedule at your own comfort, but there are also some model courses you can use as reference! 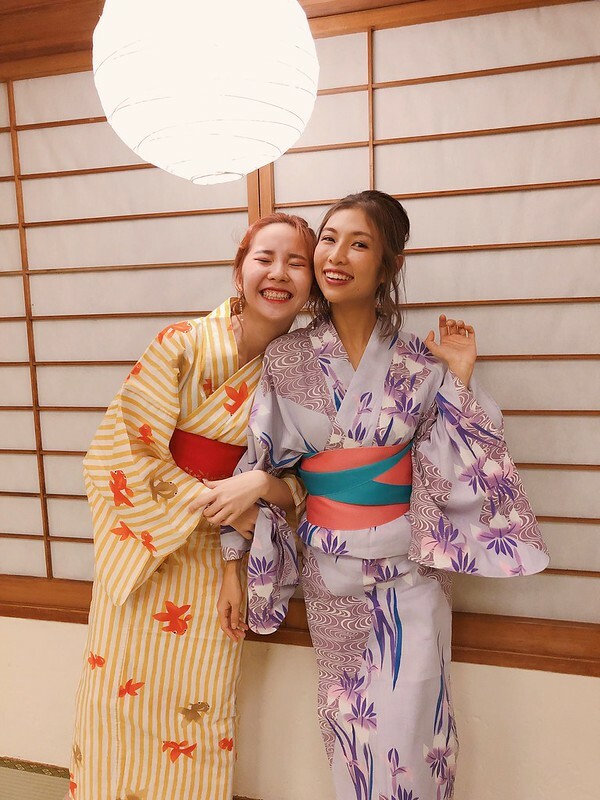 I have picked Model Course 9 – Spa Time: Rejuvenate yourself in famous onsen waters just a short ride from Tokyo but I did slight modification to it (yes! You are totally allowed to make last minute changes or add in other locations). Our first stop was Pola Museum of art. 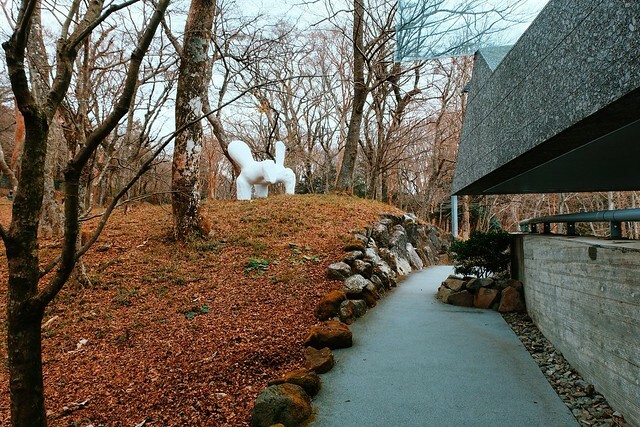 Hakone is famous for all its art museums, and I haven’t been to this one before. 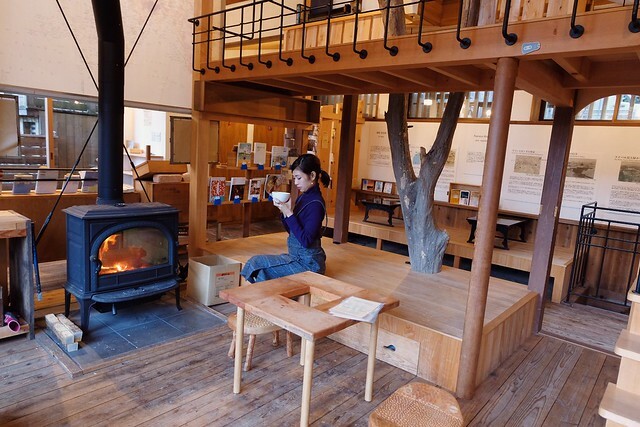 It is a museum blended in the nature in Hakone featuring paintings of impressionists such as Monet, Renoir and Gogh. 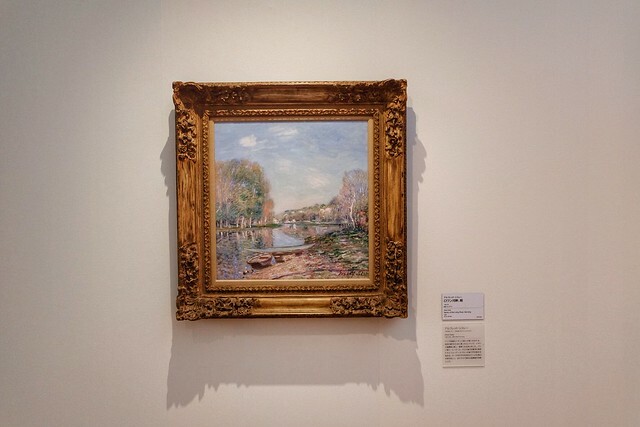 RinRin was quite a fan of art and she was really excited to see some of the renowned paintings in real life. 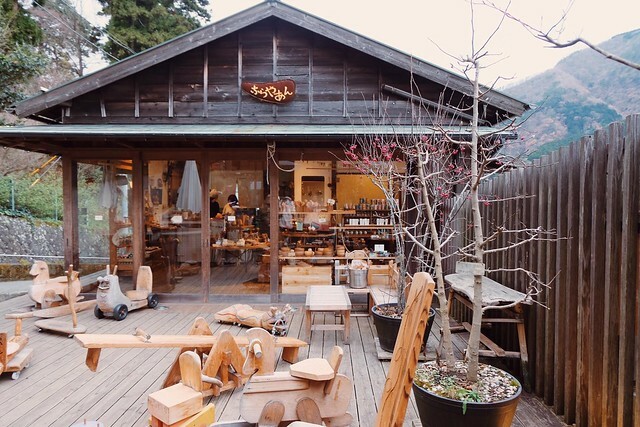 It’s really a very refreshing short stop, recommend to talk a walk in the serenity of Hakone woods. The main shrine is currently under renovation. This is the newly renovated Kuzuryu Shrine, said to give really good luck in terms of business and wealth. This is out of the driver’s job scope but… hey if you need someone to help you with a photo or two, I’m sure your driver will be so happy to help you out! 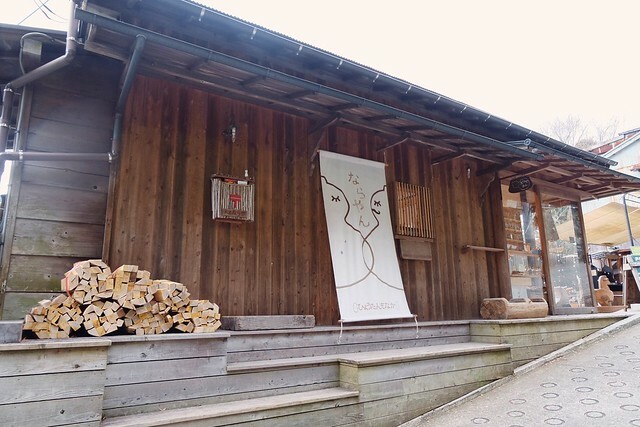 I’d really recommend this cozy little restaurant for lunch if you visit Hakone Shrine! It’s just a very short drive away. 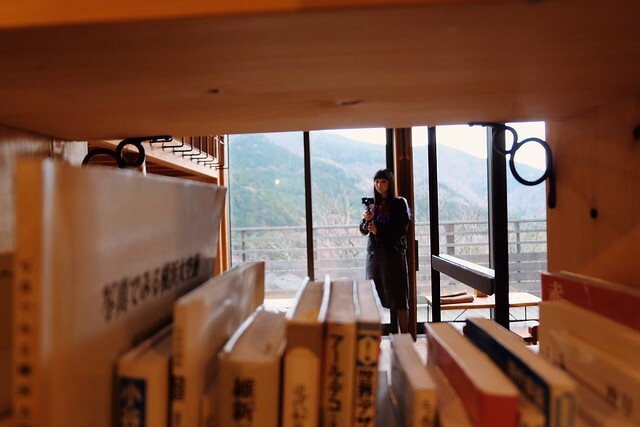 Enjoy the view of Hakone mountains and the entire lake! It’s a newly opened pizzaria serving really good food with ingredients sourced locally. Love their pasta!! I had the Shirasu & Negi Fettuccine (1,300 yen), it was really good! Next stop, we are on our way to Hakone Sekisho. Hakone Sekisho was a gateway, installed during the Edo period to observe people traveling on the Tokaido road (sort of like the immigration & custom of olden days!) and was a place of trial for travelers for some 250 years. This gateway passage has been faithfully restored to how it was. Actually it’s not too bad. Just really cold without heater haha. 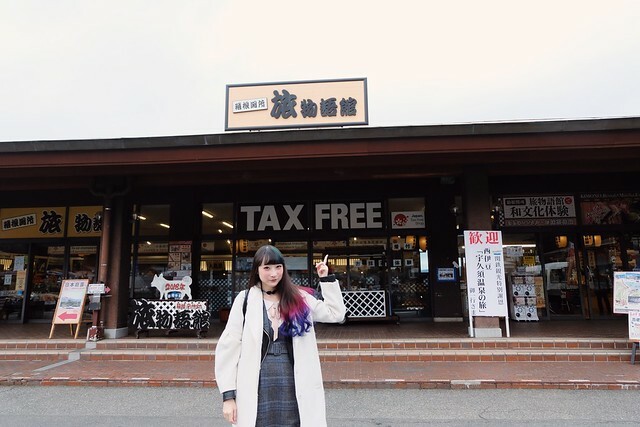 There’s also a tax free shop if you’re looking for some local souvenirs! My favorite in the store is this series of “Himitsubako” – Trick box. It’s like magic+puzzle box. Check them out it’s really super cool! 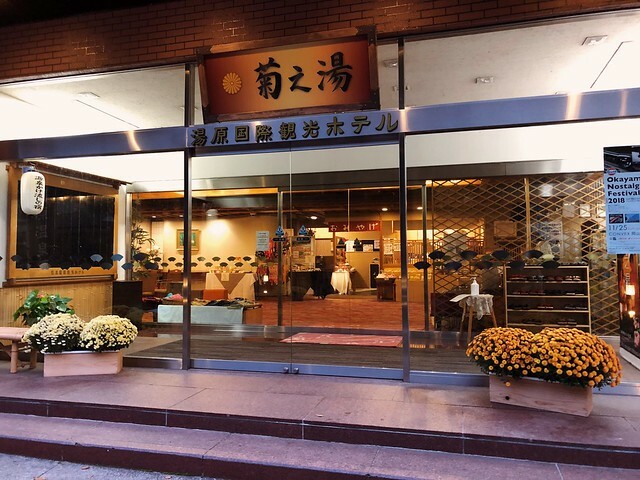 If you don’t have time for an overnight stay in onsen ryokan, enjoying ashi yu (onsen footbath) at a unique cozy cafe might be something you’d like to put on your list in Hakone! 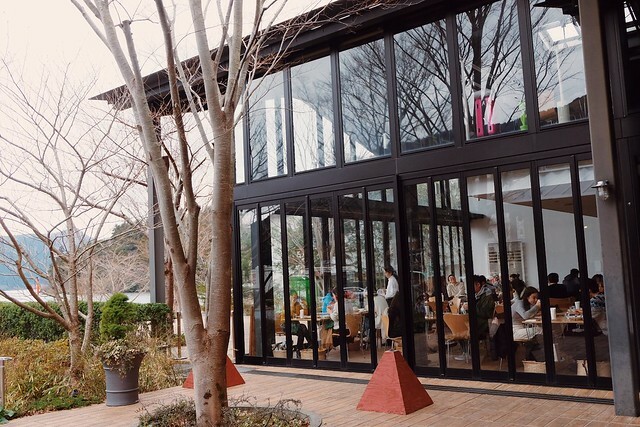 Naraya is a cafe with a gorgeous view of the mountains, it’s especially beautiful during autumn. 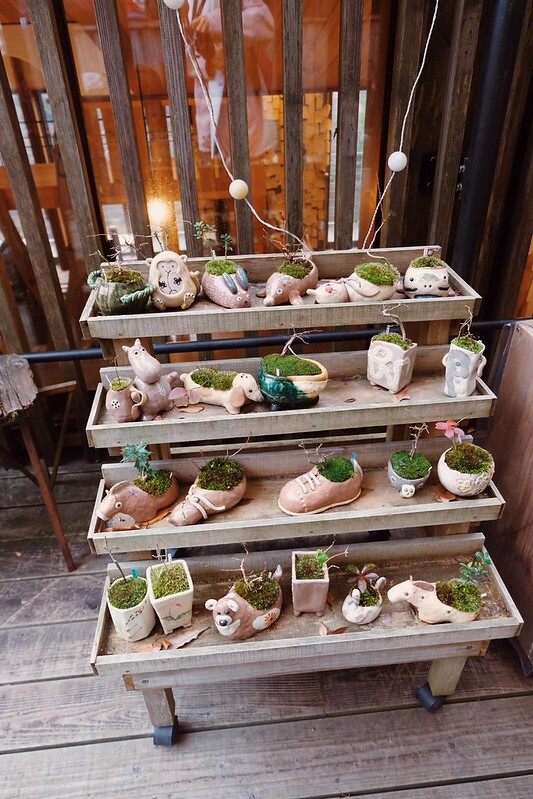 Almost everything is made of different kinds of woods. A soak in natural hot spring! Ahhhh feels sooo good! Remember not to wear stocking when you come here! If the foot bath is full, you can also head down to the basement to sit next to the fireplace to warm yourself up in cold winter time. It’s like a book cafe! Our hot matcha, soft cream and Monaca (bean paste filled wafer). 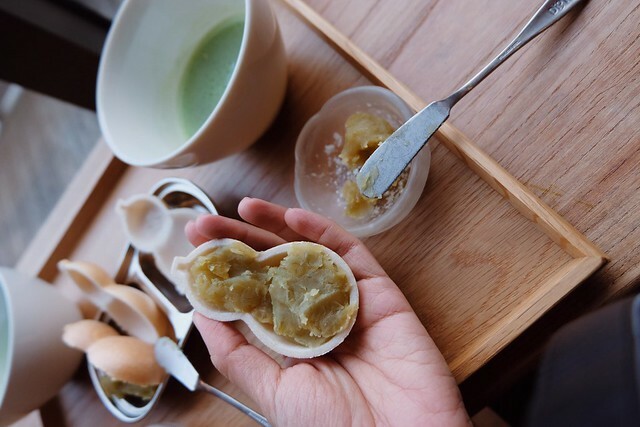 Fill your own bean paste! That’s all for our day trip to Hakone! On the journey back RinRin also took a little nap haha. Arrived back at Harajuku before RinRin and I went on to enjoy the night illumination at Omotesando. Bye bye! Thank you so much for your hospitality, Yoshi! The fees depends on the chartered hours, but here are some samples for your reference! 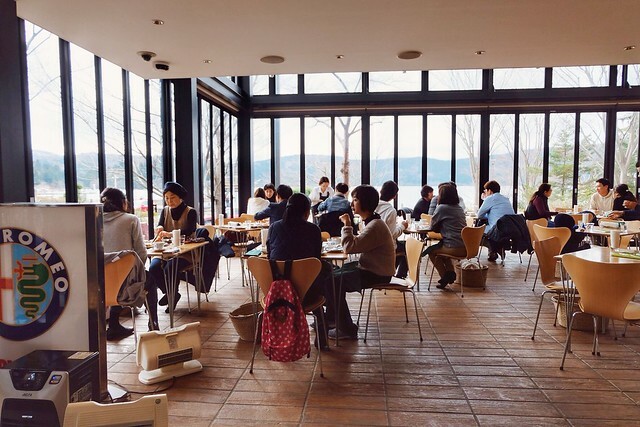 6-8 hour course for 30,000-40,000 yen! It’s costly if you travel alone, but imagine going with a group of friends of 4, you will each pay only 10,000 per person!! TO HAKONE! That’s really not too bad considering if you buy the public transport tickets individually. Also, I was told that some taxi companies can provide 6 or 7 seaters at no additional charge even (what is this awesomeness, Japan??! ), so imagine splitting the cost with even more people, making it super affordable!! To be honestly I’d most definitely recommend using this service for Hakone day visit. 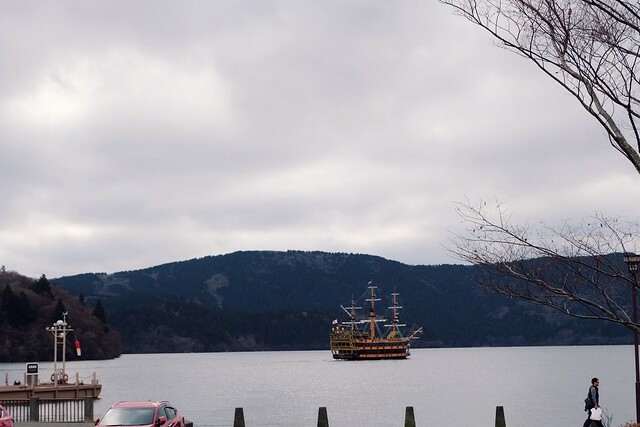 Many readers have asked me before what’s the best transport to travel to Hakone, and I was not sure because all I know is that it is not easy. 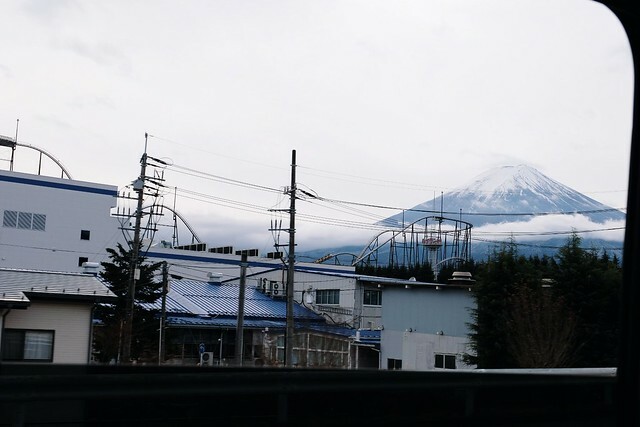 It involves trains, buses, cable cars, ropeways and boats to access from one place to another among all the popular attractions in Hakone. Another reason I couldn’t really give any advice is because almost every time we rented a car and self-drive. But it’s tiring of course. 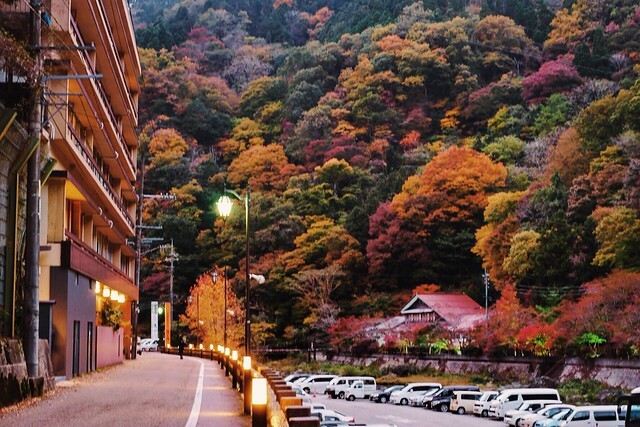 So I think Tokyo Sightseeing Taxi is definitely your best bet when it comes to Hakone! 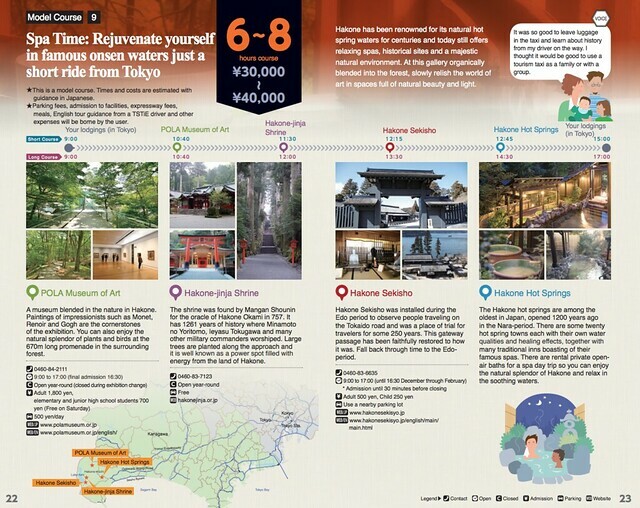 I definitely think it is one way to enrich your travel experience in Tokyo for better comfort, smoother journey and most of all, lots of attractions covered! Ok before I start the post you’ll have to bear with my many portrait shots. I mean I couldn’t remember the last time I had so many to choose from that I didn’t immediately delete. I’m at this stage where it’s almost too awkward to have my photos taken alone. Haha long time no pose. 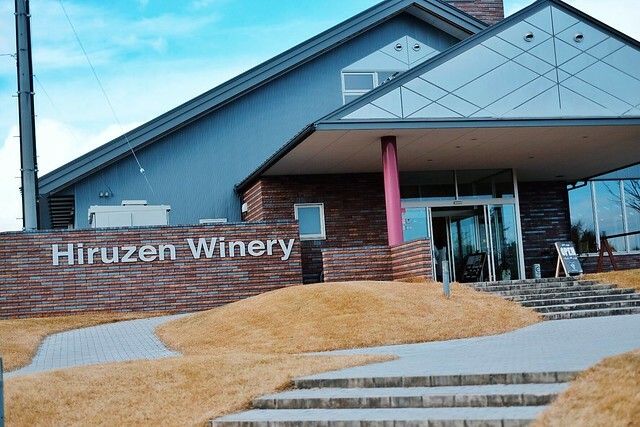 Hiruzen Kogen is located in Maniwa (真庭 ) city, Okayama prefecture. Maniwa is home to a great number of natural island and riverside hot springs. 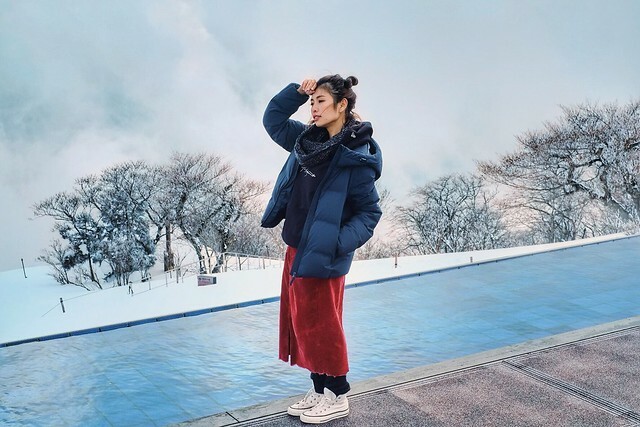 Hiruzen Kogen is one of its natural attraction, famous for mountain climbing in summer time and alpine sports in winter. 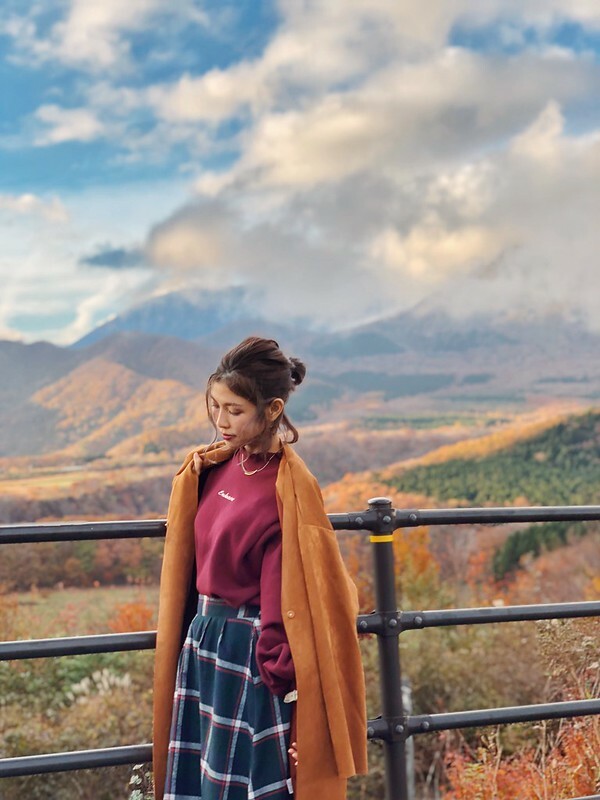 Enjoy the stunning autumn scene! Look at how different it looks between summer time and autumn! A complete opposite of hues. 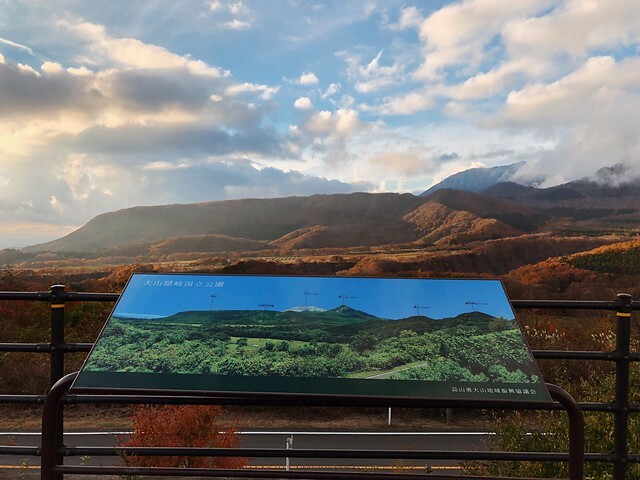 I am at KImendai Observation Deck, a rest area located halfway along the Hiruzen Daisen Skyline with a vast view of stunning fall colors of the mountains. There are many things you can do in Hiruzen Highland, including horseback riding, milking at Hiruzen Jerseyland, river trekking and more! This is more than just a lunch place. 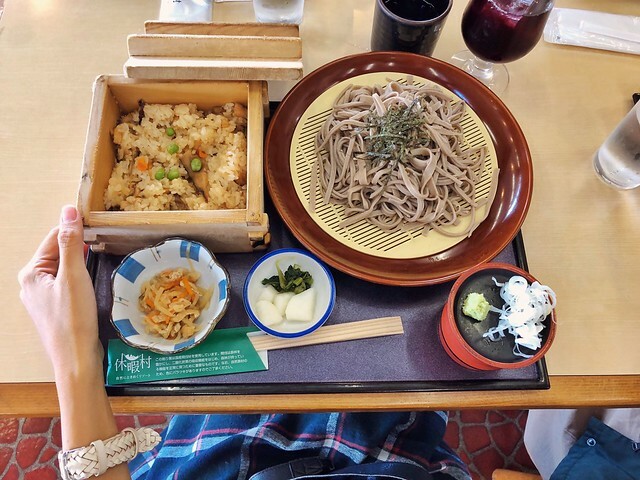 You can make your own soba for lunch here! If you have a couple of hours to spare, this is quite a fun experience. 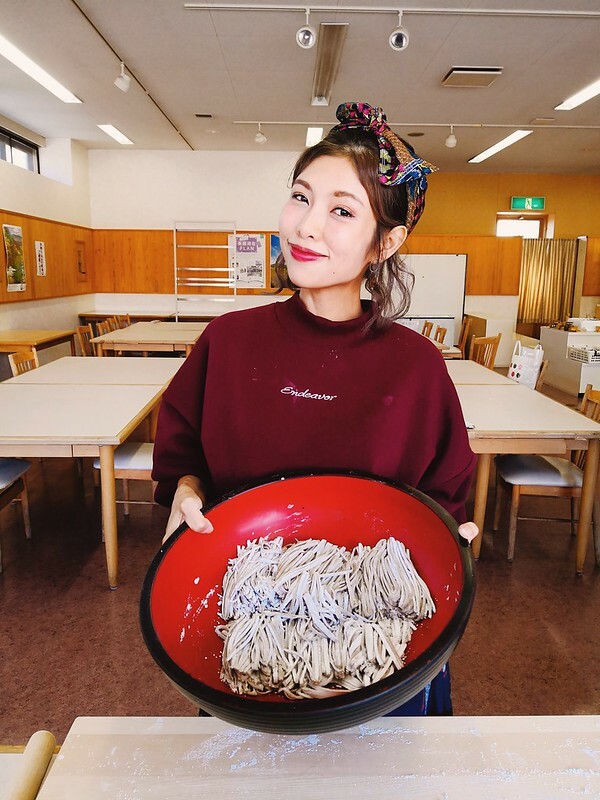 You can make soba noodle here from scratch, and I was really surprised at how simple it was – just mix water with half soba flour and half wheat flour and knead. I wonder if we could make this at home! Roll it really really thin, the thinner the better for soba. And then cut it into even strips. Obviously with my skill, some are likely to turn into waist belts. You can also make ice cream with just these few things (and salt and ice that’s not seen in this photo). Amazing right? It just requires a good 20 minutes of rolling back and forth haha. 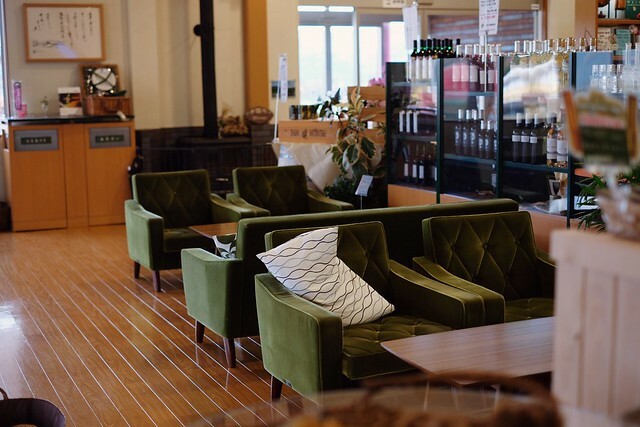 There’s a cozy space as a cafe where you can enjoy cheese together with wine and have a relaxing time up in the highland. 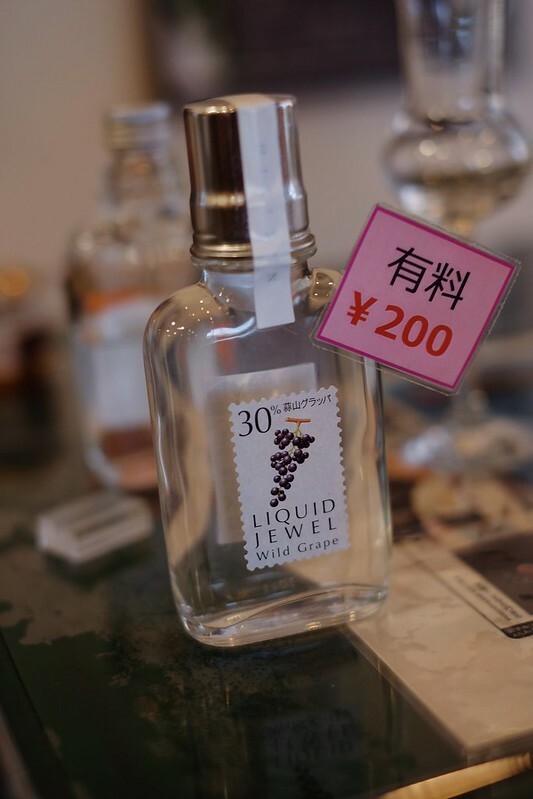 You also get to test all kinds of wines, liquor and sparkling for free or for a small fee of 200 yen. By the way when you see the kanji word “有料” (Yuuryou), and if you happen to be Cantonese, please remember that it is not the opposite of 冇料 as in 冇料到 lolol. 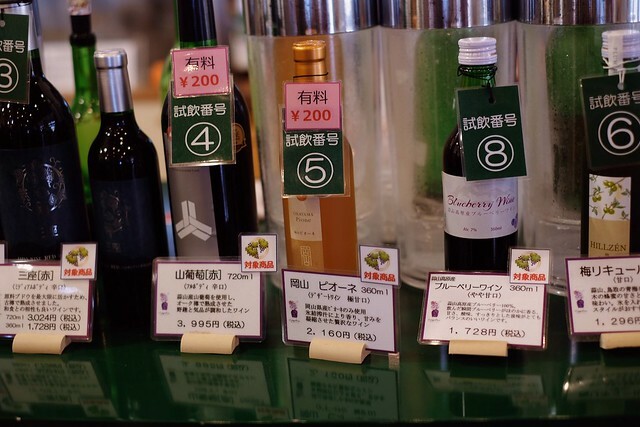 Before you get excited that these labelled wine are super qualified like 有啲料到, 有料 simply means that it is not free, or chargeable. The opposite is 無料, which doesn’t sound very nice cuz it feels like 没有内涵 liddis haha. When you see this word you should be happy because that means “free of charge”. Yeap. This super special Liquid Jewel is 有料. Please try their soft serve!!!!! It’s made of wild grape that’s used to make the wine, and I love it so much!! I was warned that it’s very sour. I love my sour stuff so it was one of the best soft serves I’ve had. 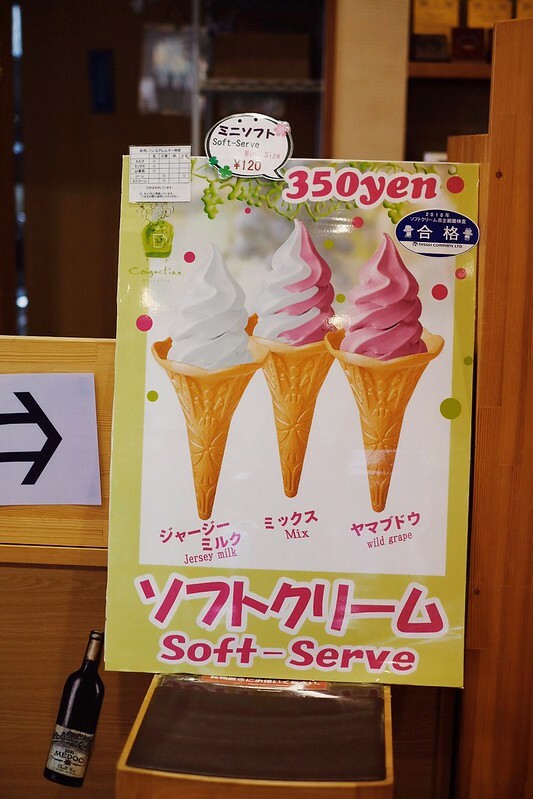 And I don’t even like soft serves! 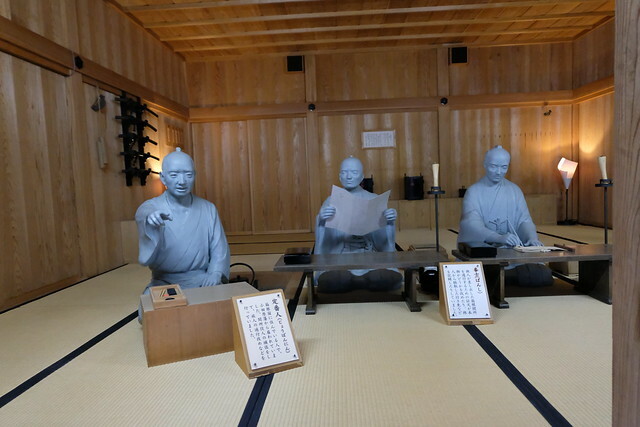 I was really looking forward to writing this part of the post as I think it’s the highlight of my Okayama experience! 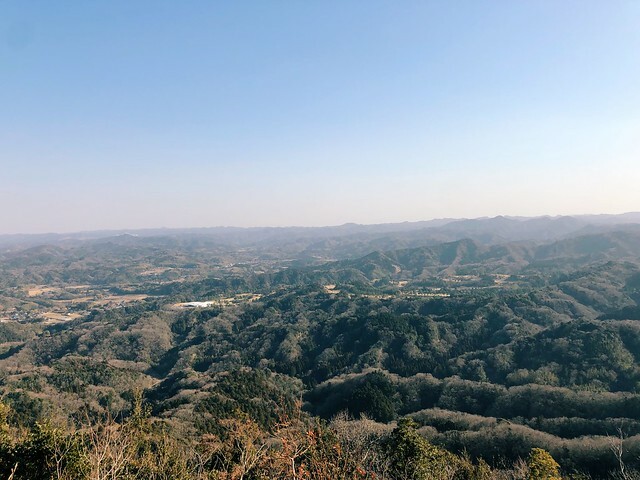 I’m not sure why this place is not more popularly known (granted, Japan has waaaaay too many great onsen), because, look at that stunning view! Again I’m so thankful to feel extra lucky – Japan always welcomes me with its best seasonal surprises. It was one of the most beautiful autumn scenes for me at Yubara Onsen. 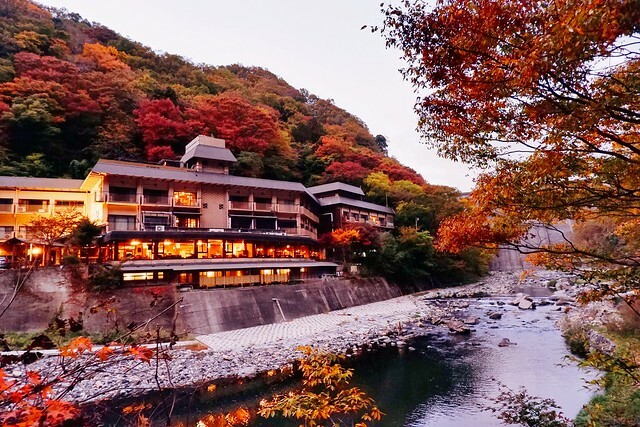 Traditional ryokan lined up along the hot spring river. Yes, the river *IS* a hot spring!! It comes bubbling from below the ground, making this a unique outdoor mixed bath with an amazing view. More on that later. Is the hotel we put a night at, located just a few minutes’ walk from the outdoor hot spring. Mommy radar lol. My eyes were caught by this cute play area for little kids. An adorably bassinet too! You can have a family trip here! I know, I know, I empathise with those who are too shy to get into public bath or have tattooes. 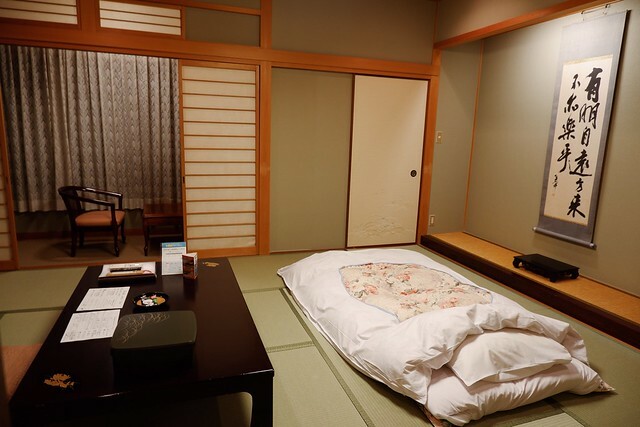 Mark this ryokan down! It has a Kashikiriburo – Private bath. 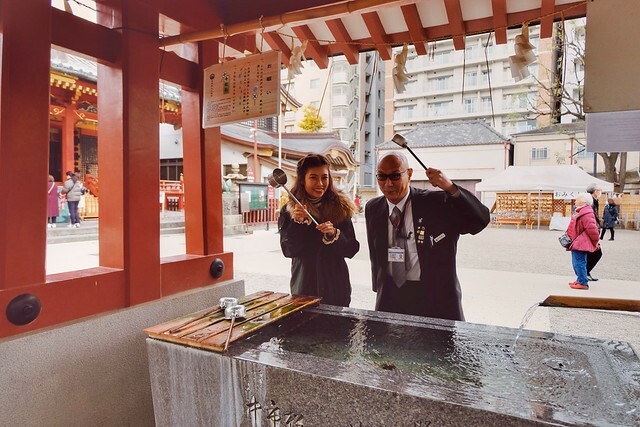 And that’s not all, it is Gensen Kakenagashi – which means that the spring is 100% free-flow hotspring water directly from the original source. Did you know? 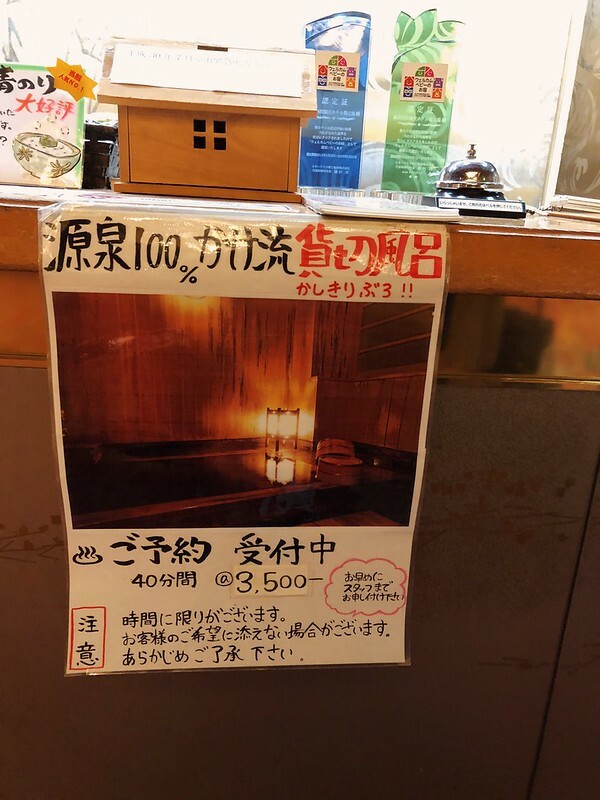 There are many types of onsen, the one in the city especially are not “pure” onsen, as they are very often mixed with water for temperature control, is circulated, filtered or has anything added to it at all. And it is said that there are only less than 5% of the thousands of springs in Japan that are Gensen Kakenagashi! I have been to a few and the most memorable for me was the one (and the first!) I visited in Sendai. 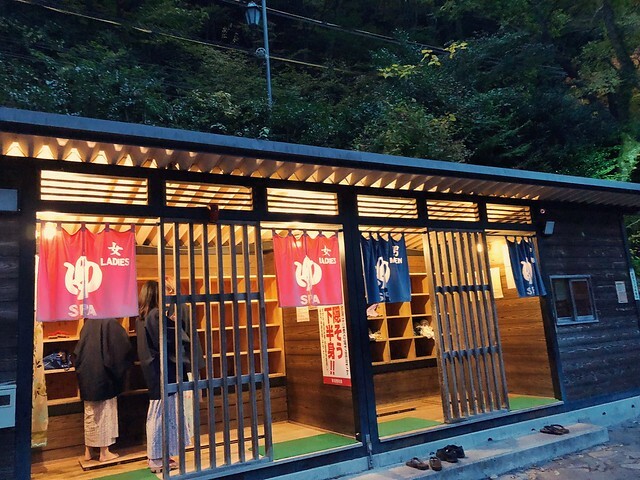 There’s actually a Gensen Kakenagashi Onsen Association in Japan, this i show much Japanese people love hotsprings. This is my tatami-style room. Seeing how cozy it is, I am for sure going to have futon in my future Japan house if I ever have one!! Do keep in mind that kaiseki ryori always comes with rice at the end, despite all these food you see!!! So please let the staff know that you want less rice or no rice if you think you can’t finish it. Once it is served to you it cannot be served to anyone else, so let them know in advance. 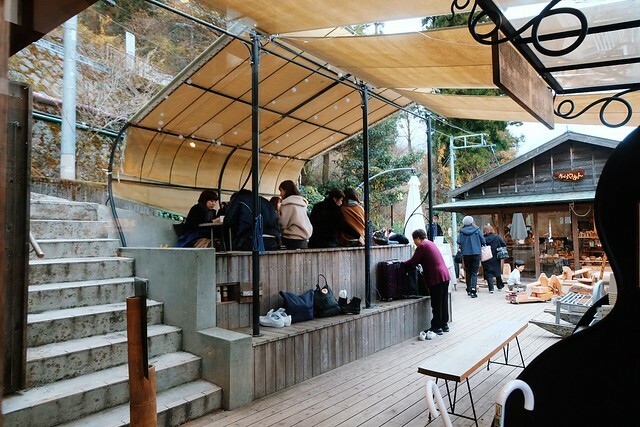 Sunayu is the name of the outdoor natural hotspring in Yubara onsen. And since it is outdoor, it means that it is it is open 24/7, throughout the year! This is it!!! 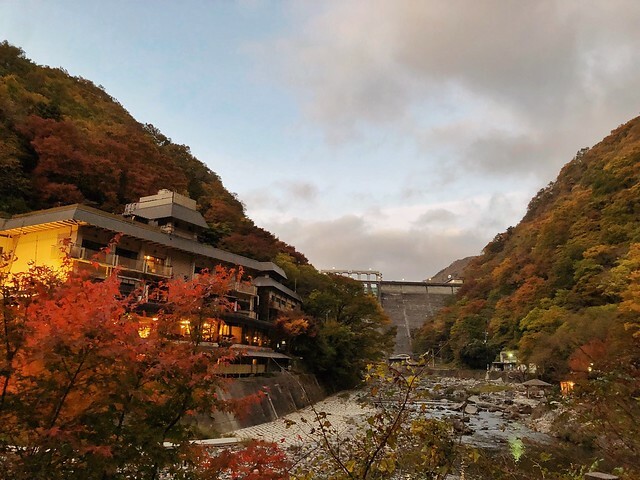 It’s overlooking a dam by the river You may think… where is the onsen?? Yeap, the river *is* the onsen. Part of the river is surrounded by rocks making it a “bath”. Do take note that Sunayu is a public mixed bath, meaning that both males and females can use the same hotspring. And for this reason, females are allowed to wear a bathroom which you can rent from your hotels. In our hotel we rented it for 500 yen each. There’s a little changing space next to the spring for female and male respectively. 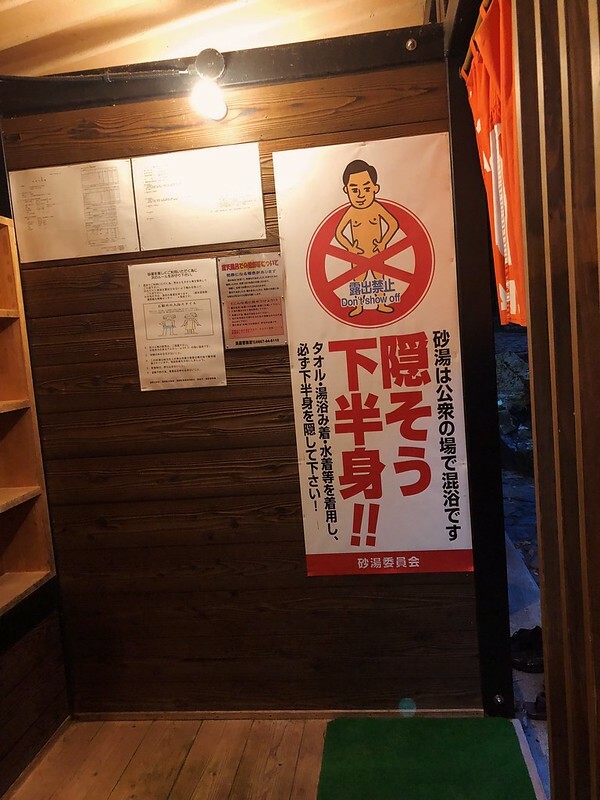 There’s also a sign that reminds male visitors to cover their lower body with a towel/swim pants cuz the local ojisan like to walk around naked lol. We woke up 5am just to visit this onsen (as we still gotta go back for breakfast and leave by 8am!). I was surprised that even at 5 there were quite a few visitors at the spring already! Mostly ojisan haha. So here’s how it looks! He stood up.😅 I had to stamp him off the photo. So yea, I understand that many visitors would love to take some photos especially after traveling all the way here. I mean, LOOK AT THOSE MAPLE FOLIAGE!!! Really like TV commercial haha. Went back to have our hearty breakfast. I asked for less rice. “Raisu Sukuname” – less rice. That’s all for this time around. 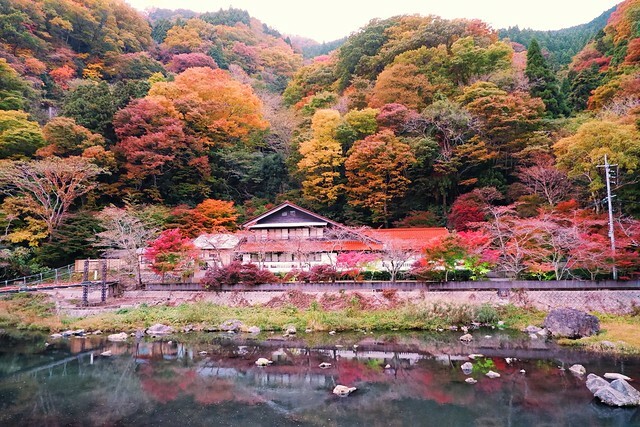 Ending it with a super pretty photo of Yubara Onsen in autumn!